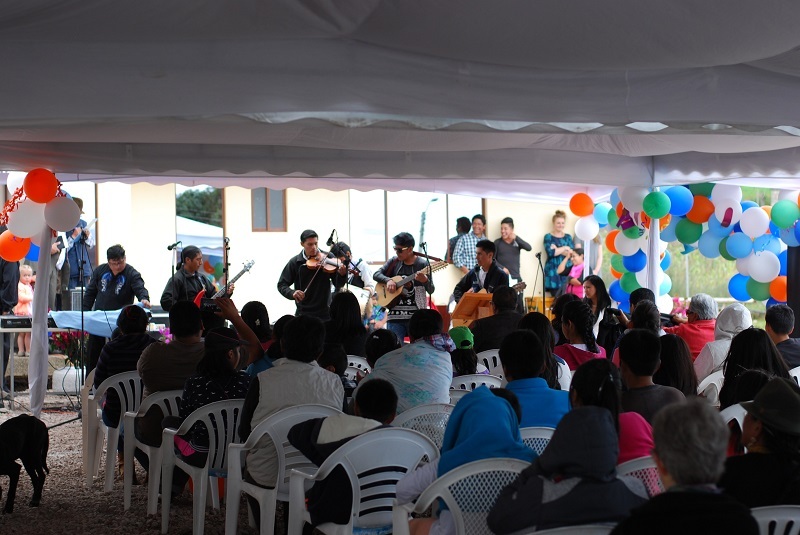 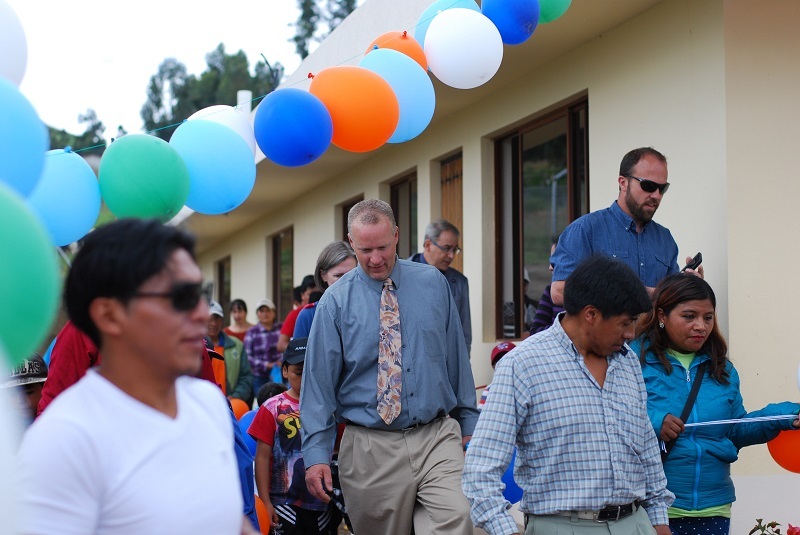 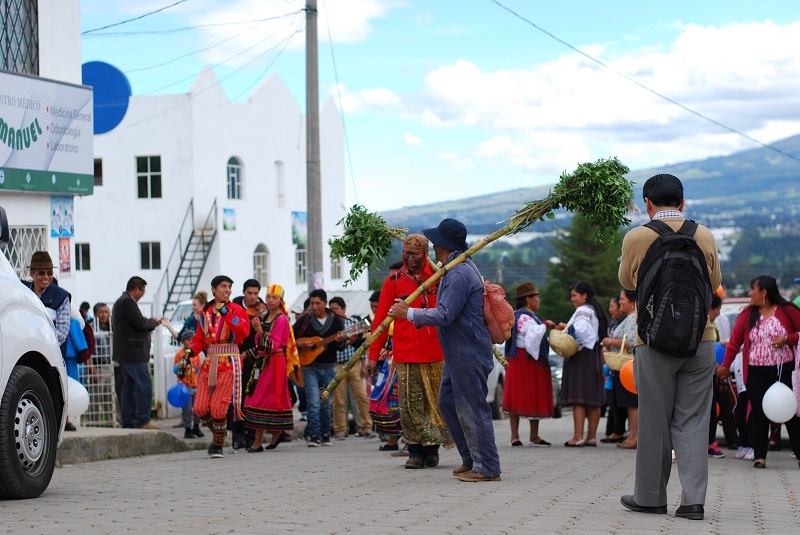 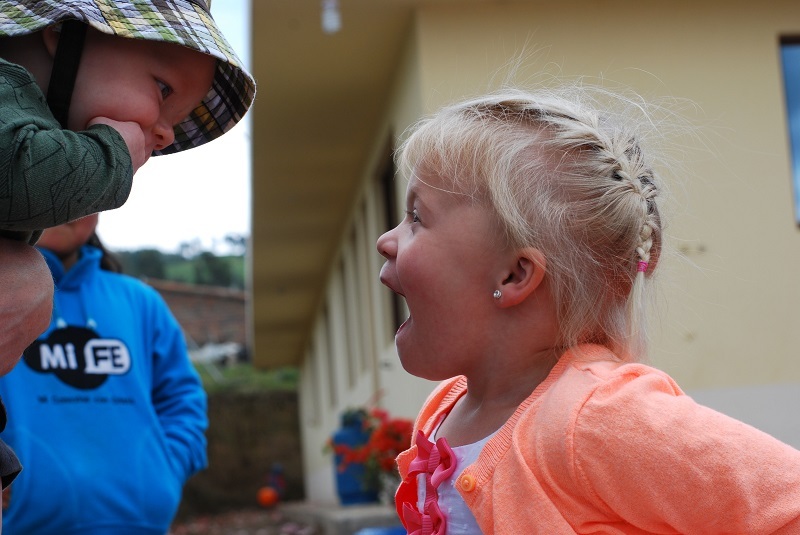 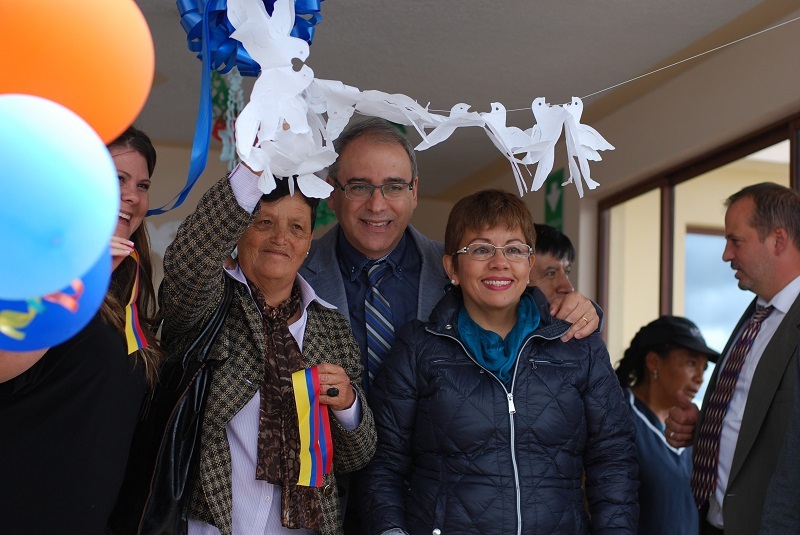 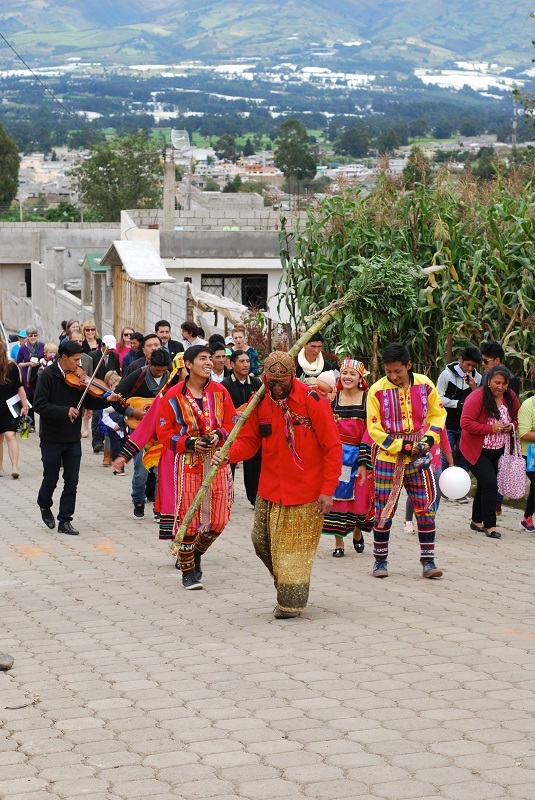 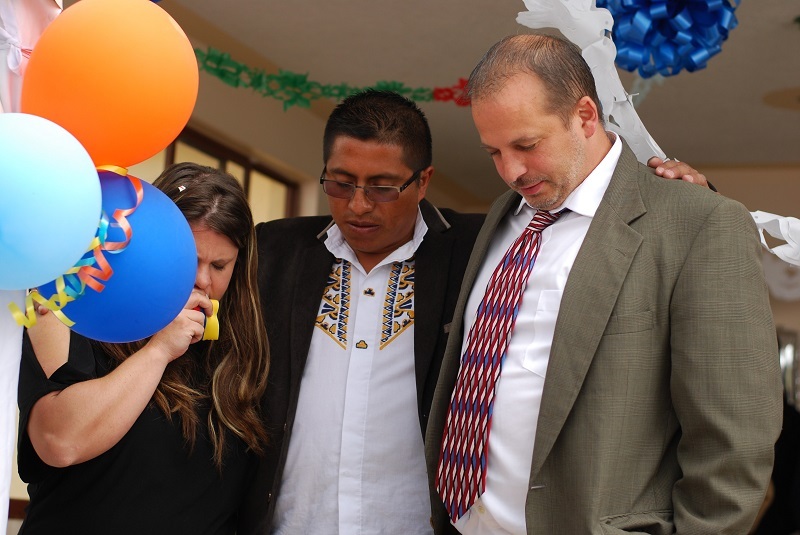 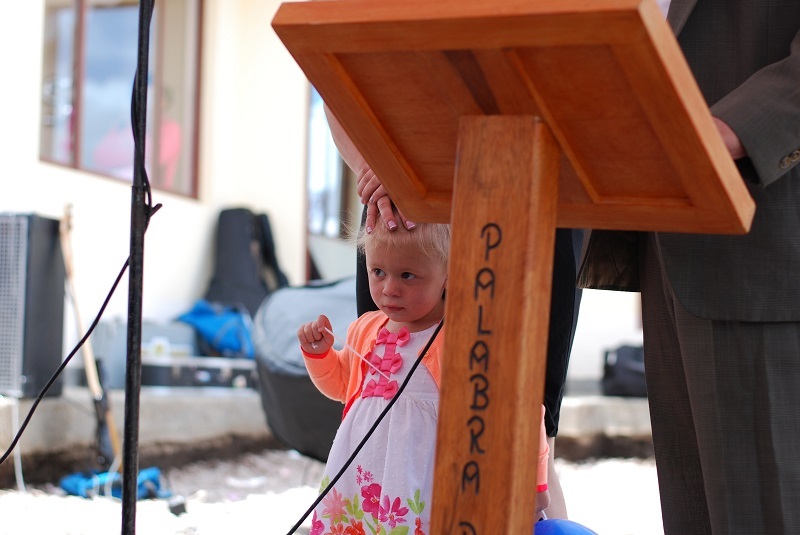 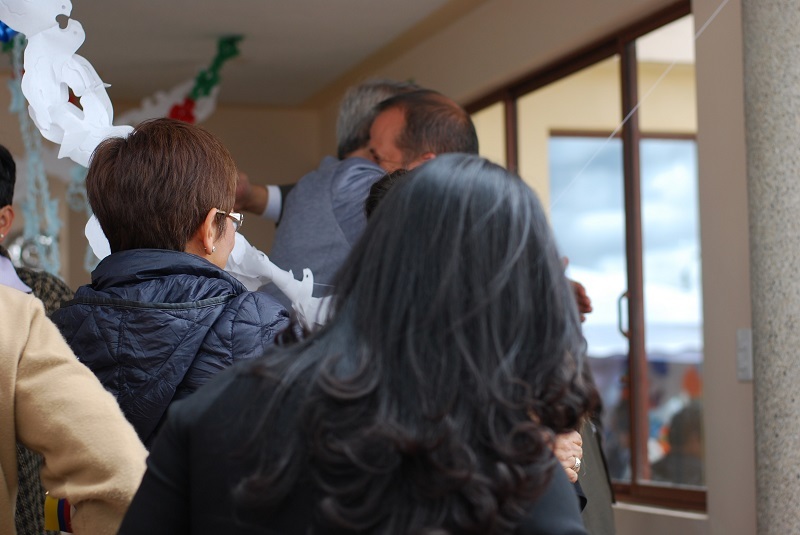 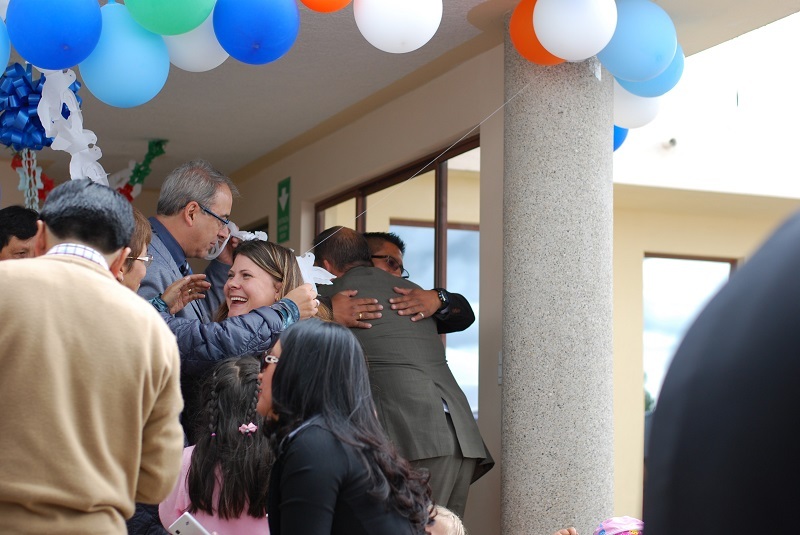 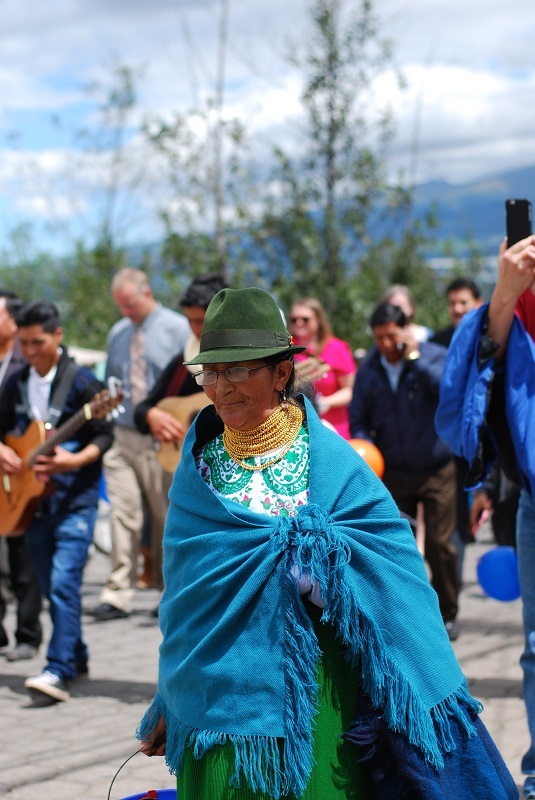 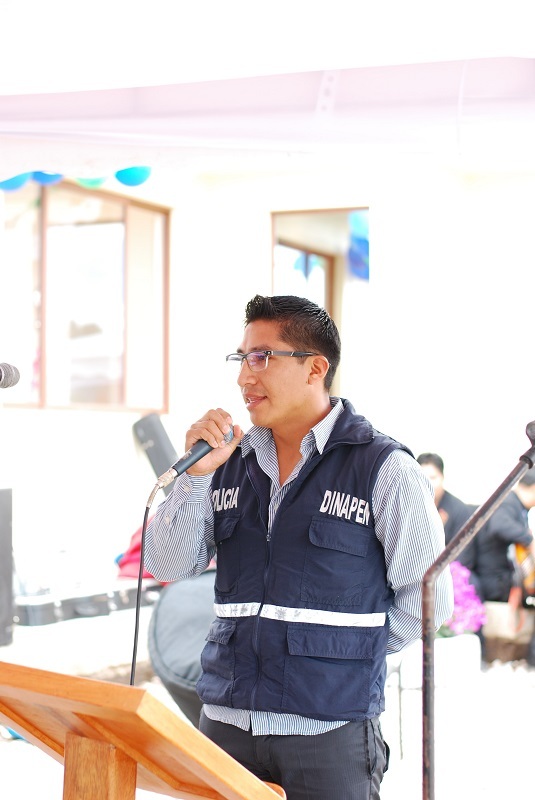 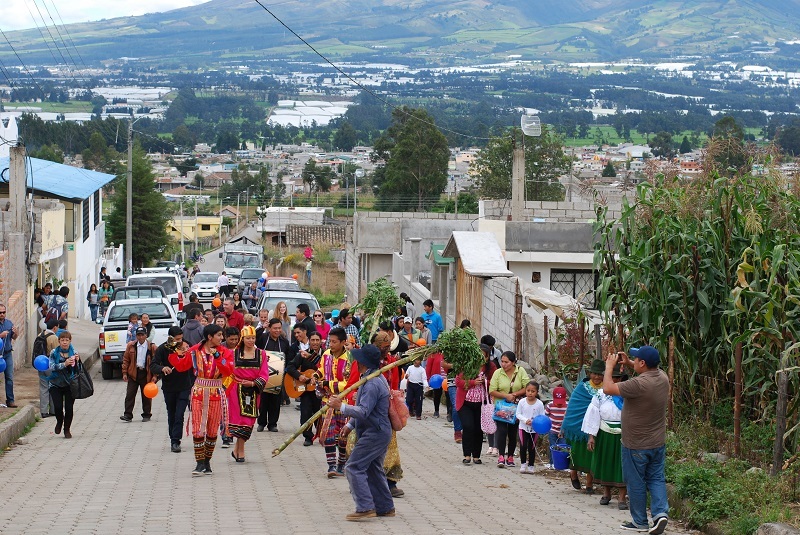 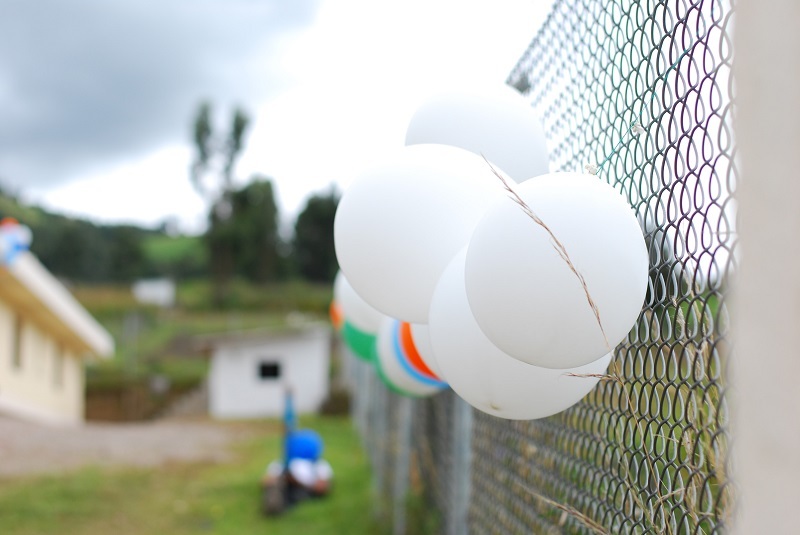 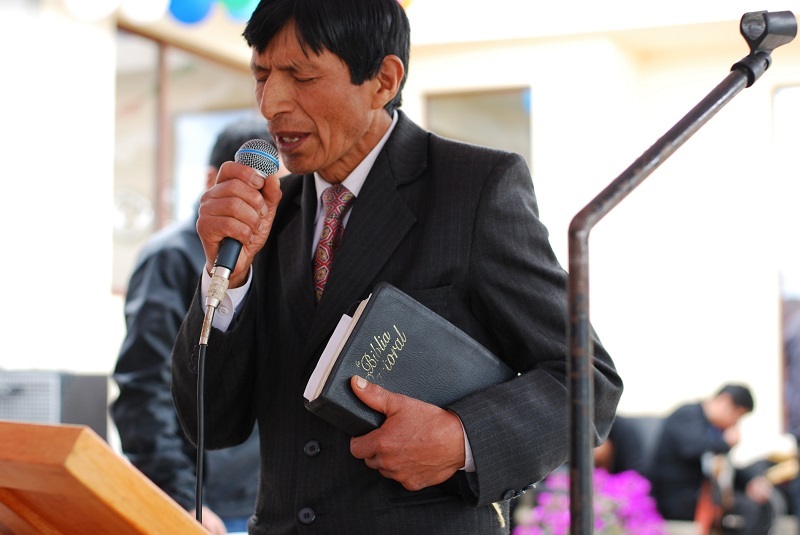 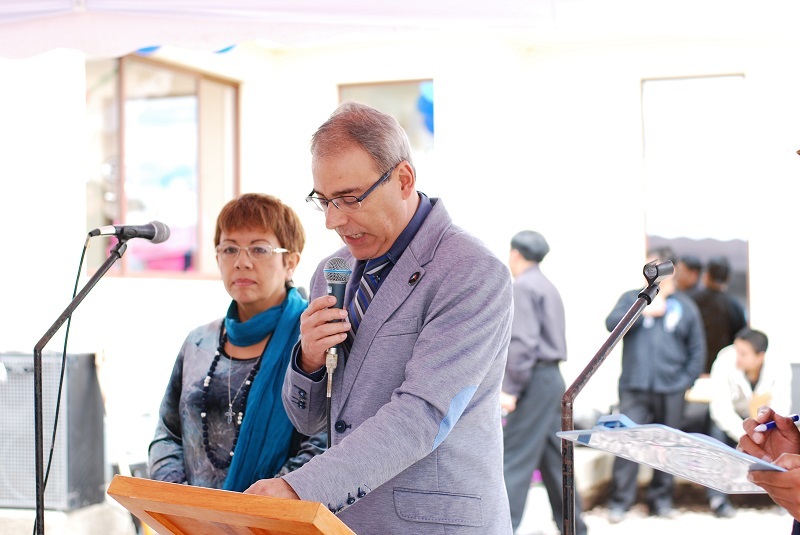 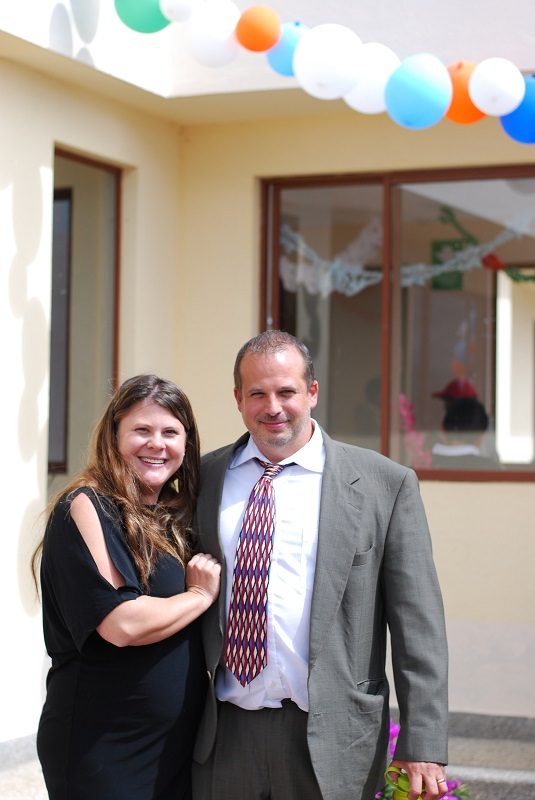 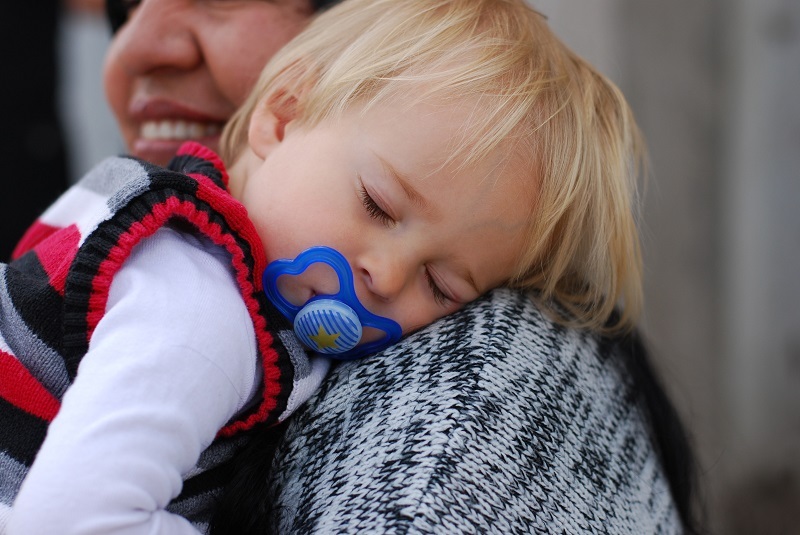 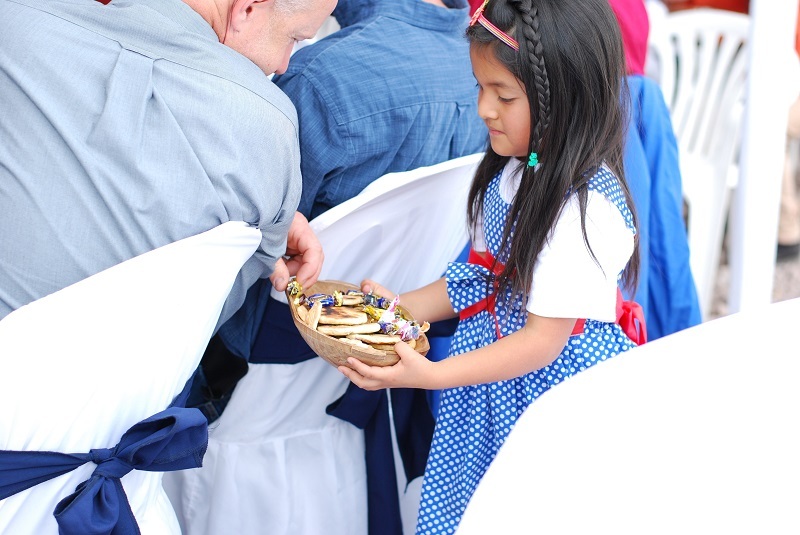 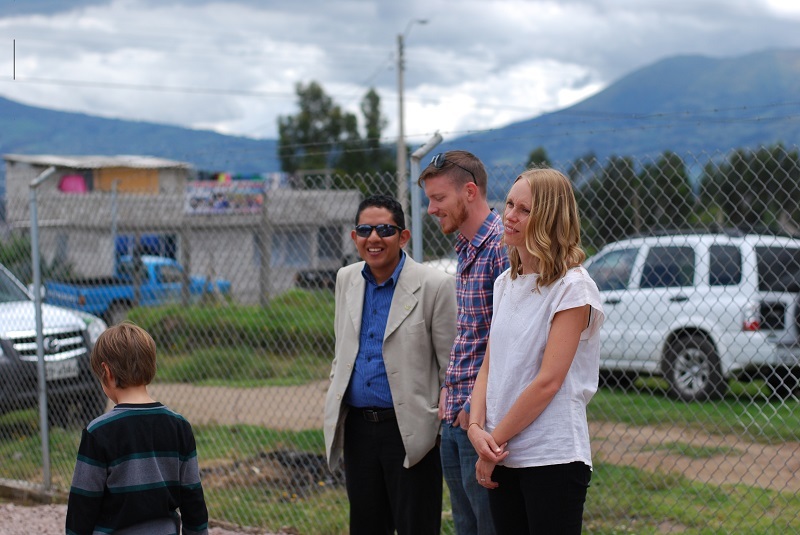 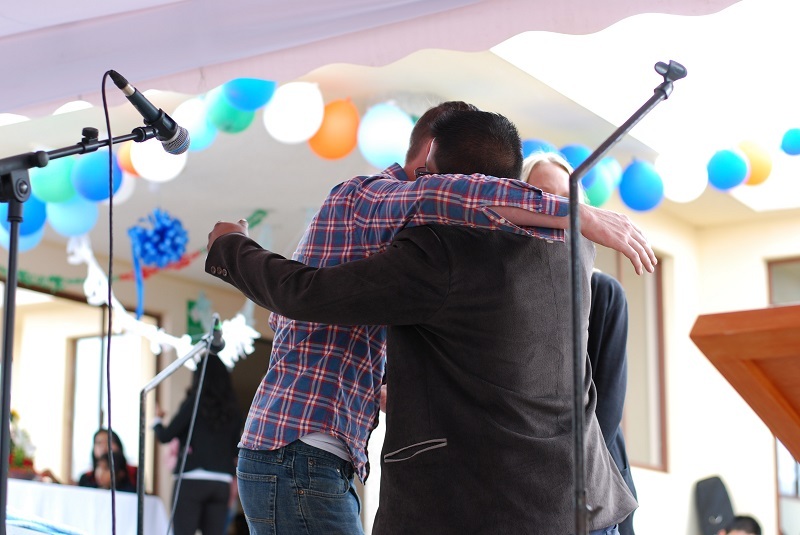 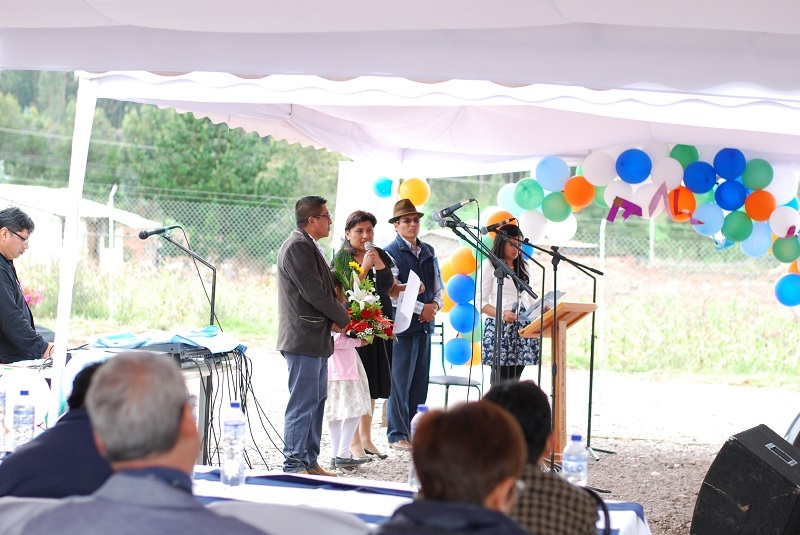 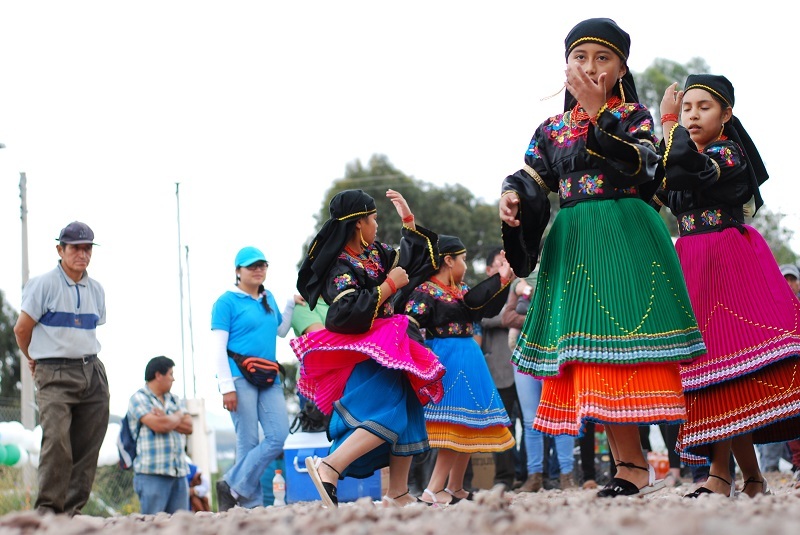 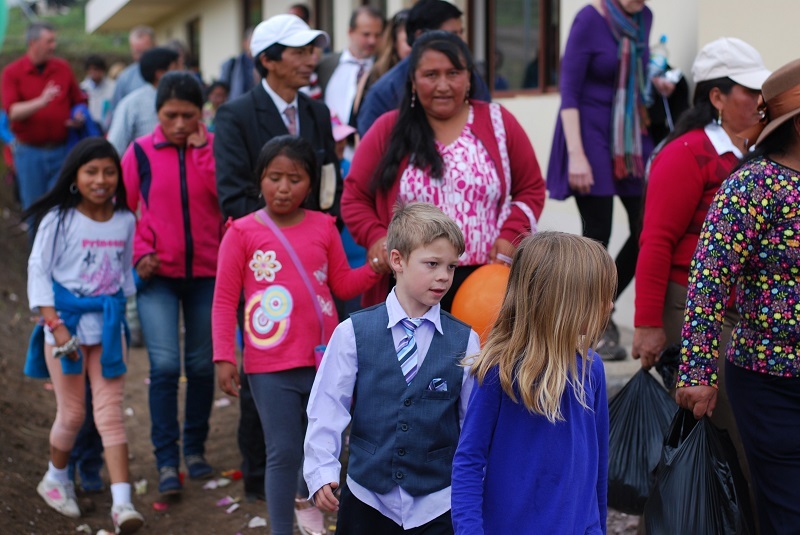 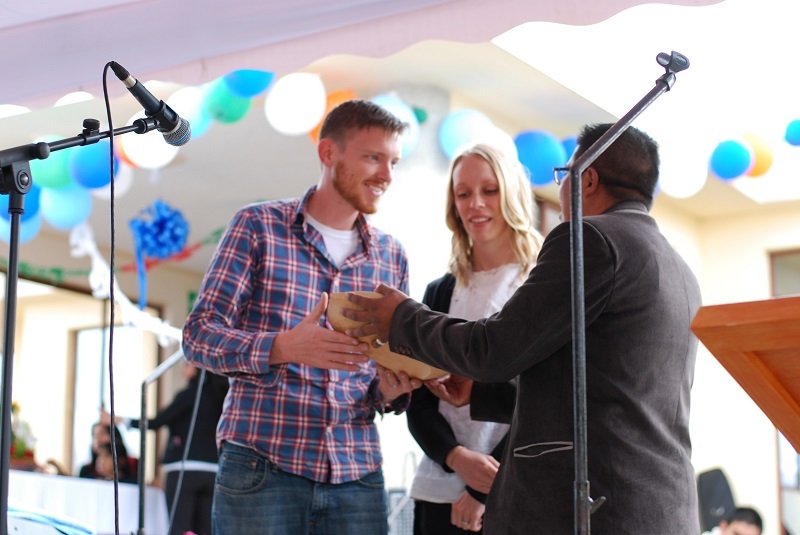 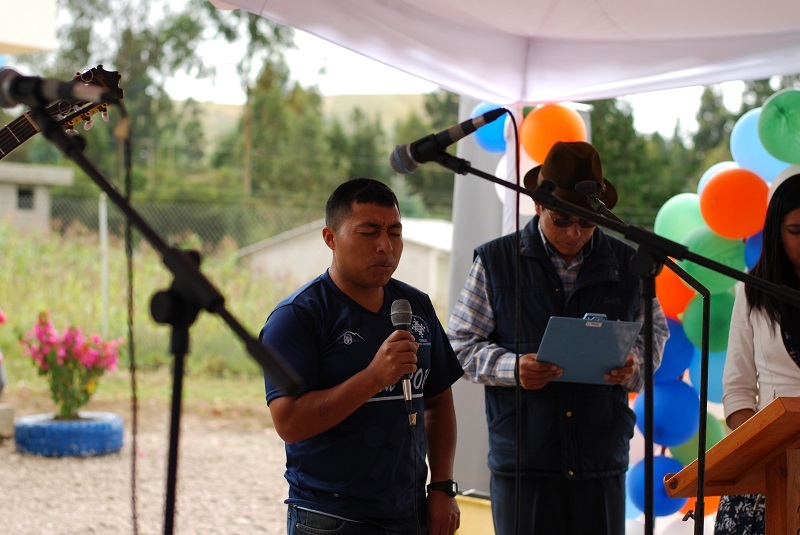 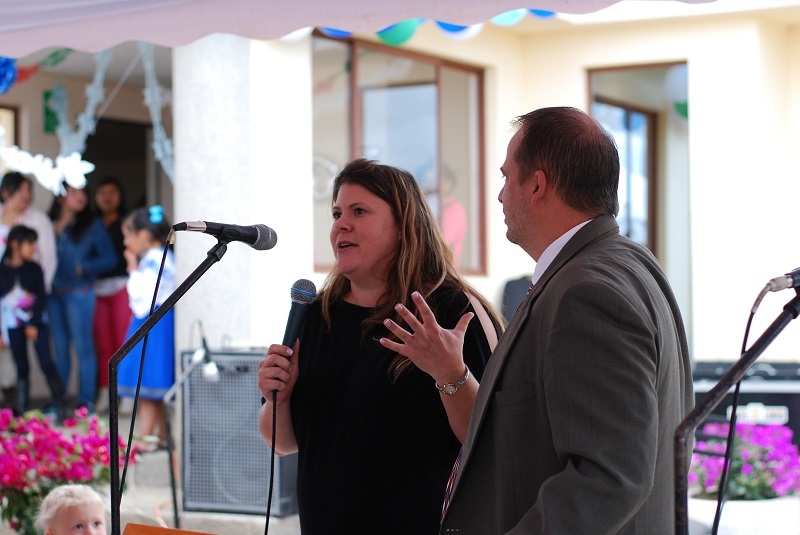 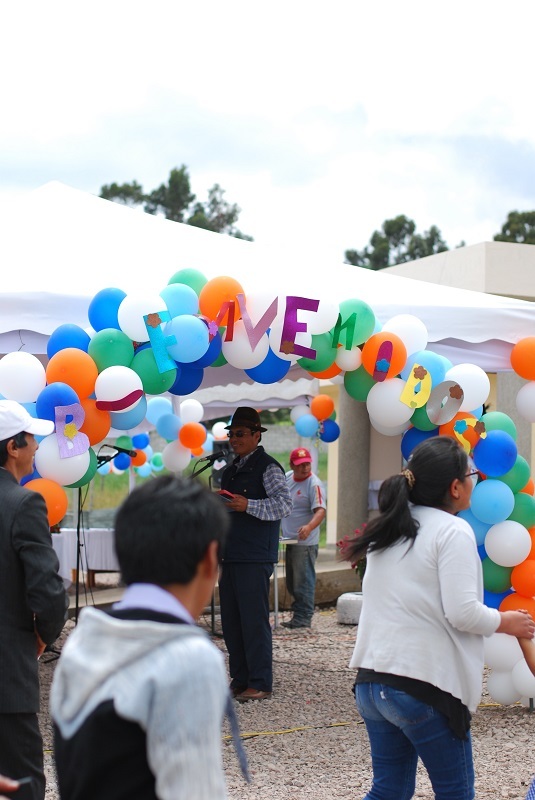 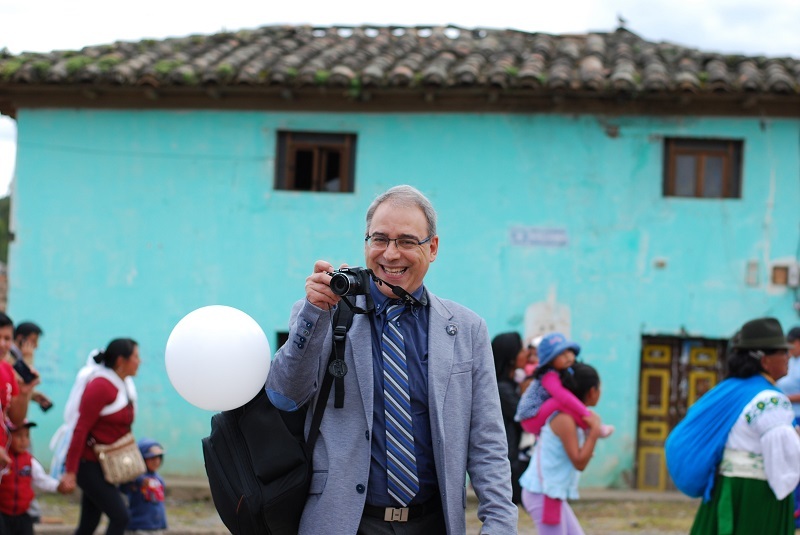 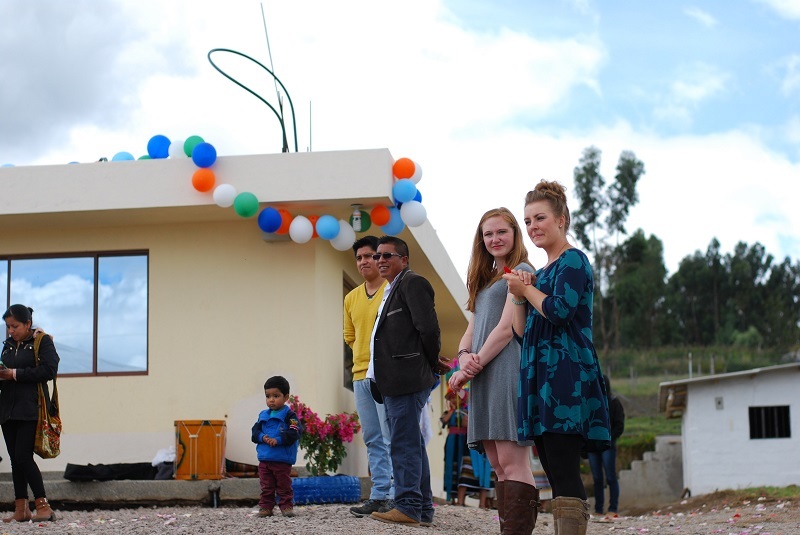 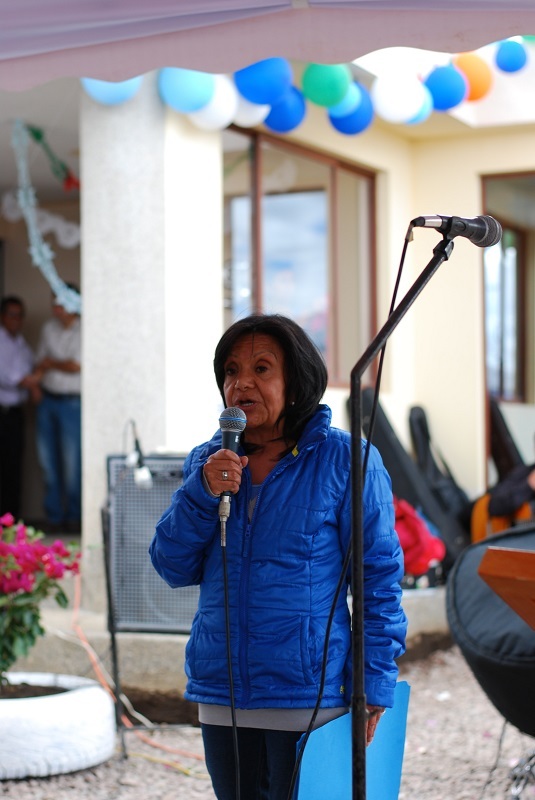 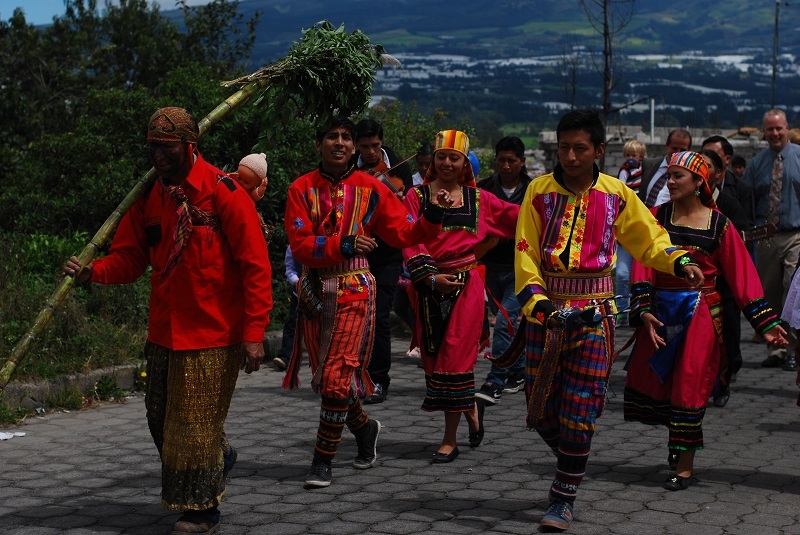 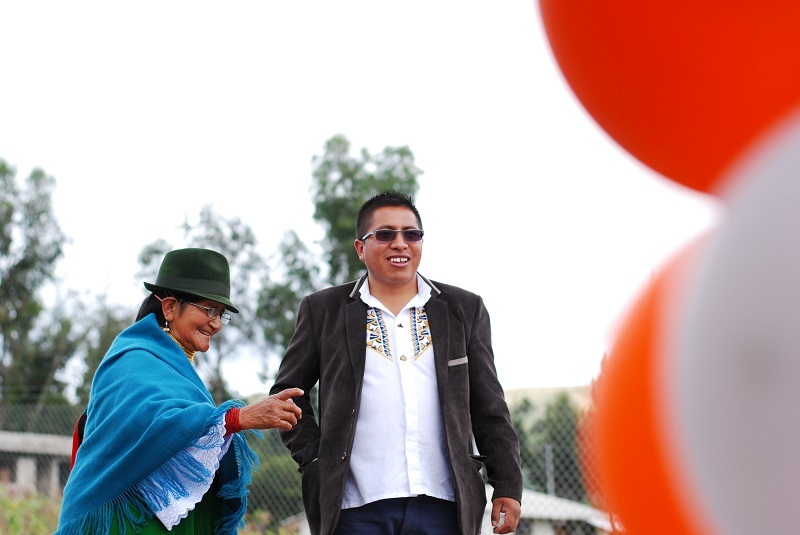 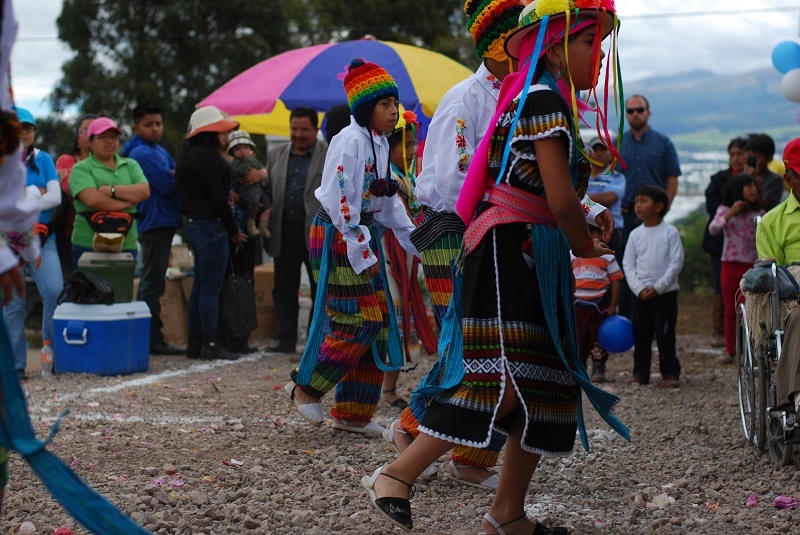 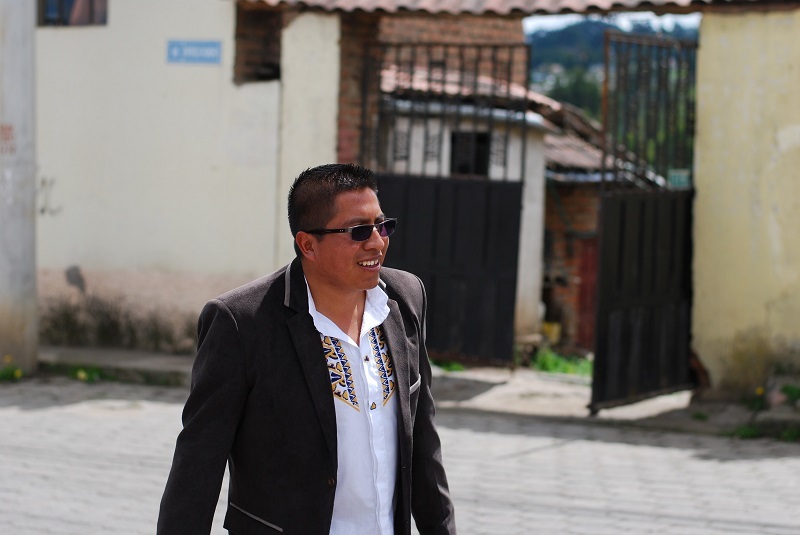 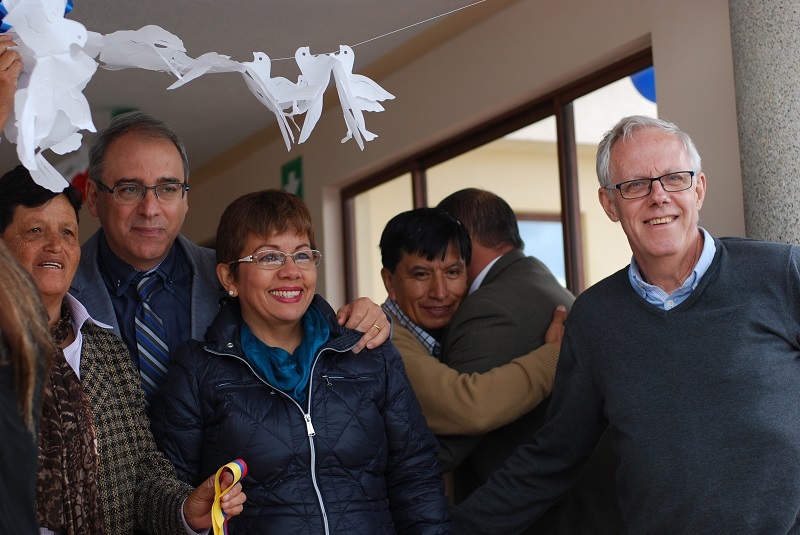 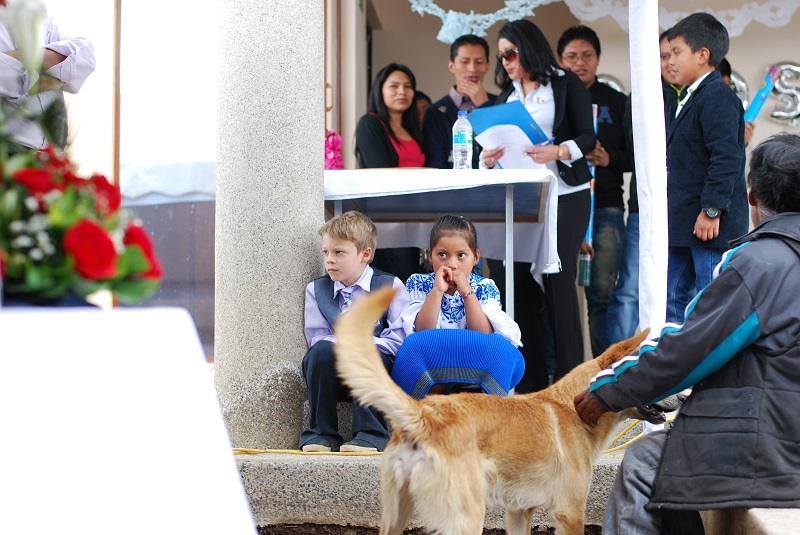 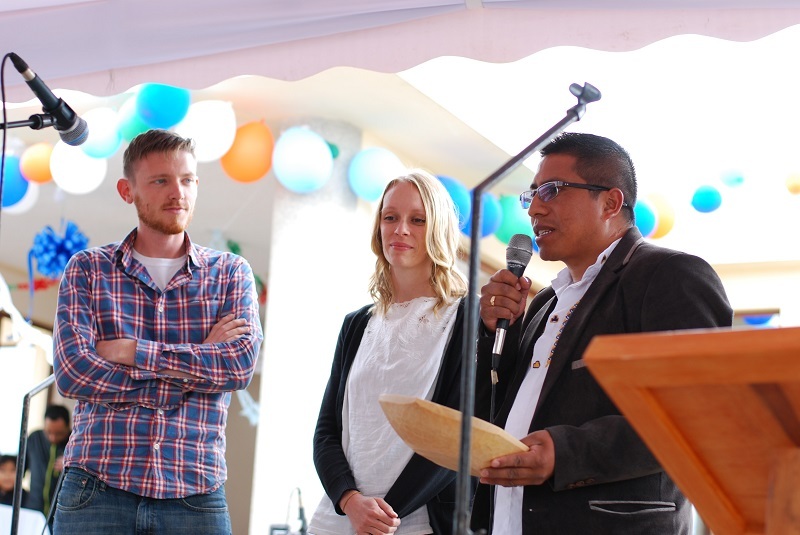 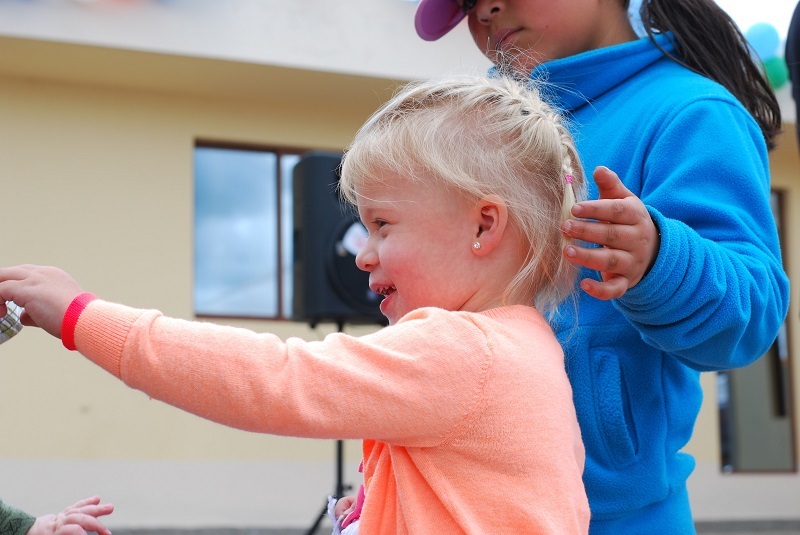 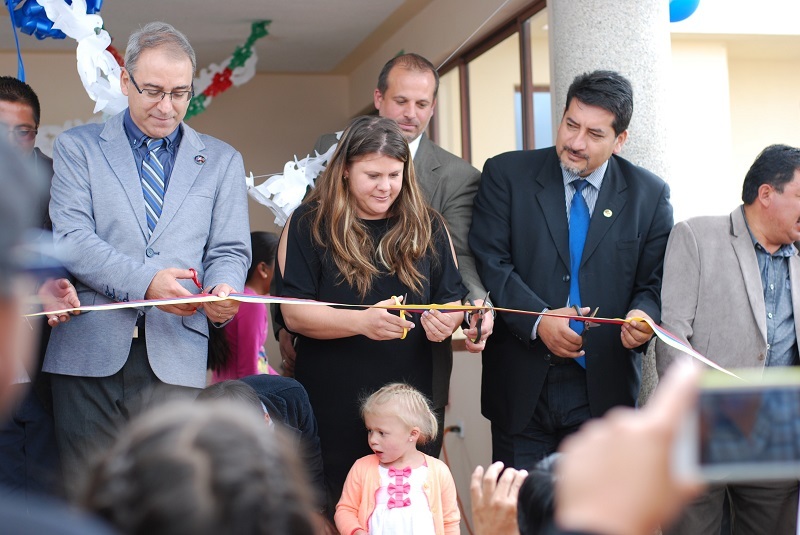 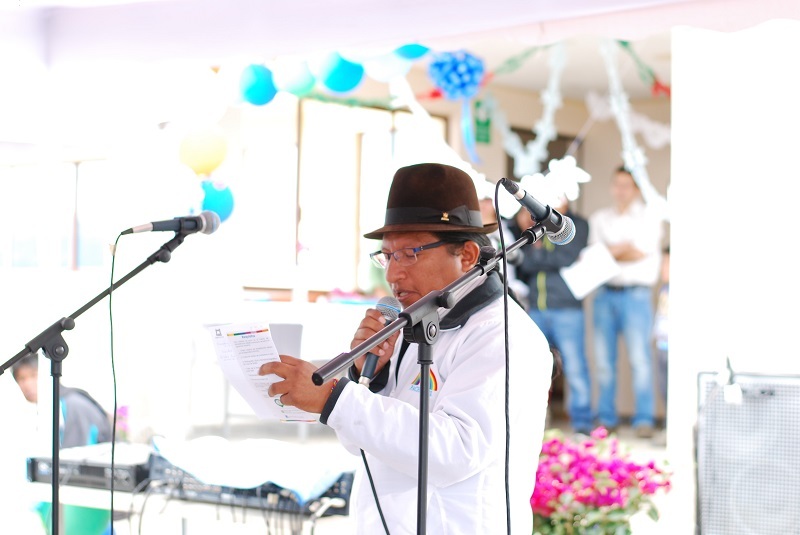 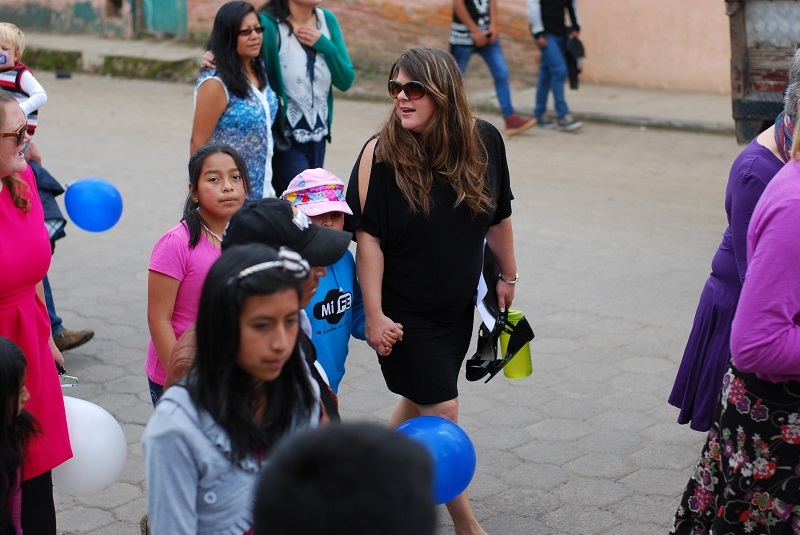 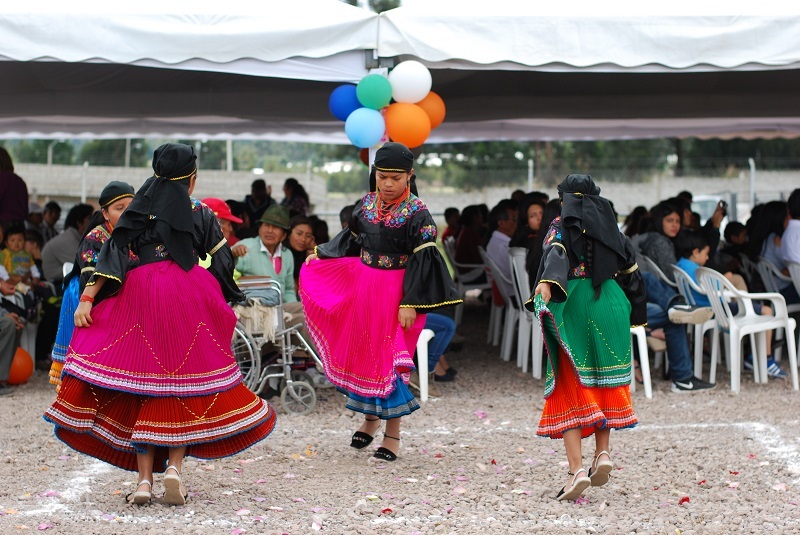 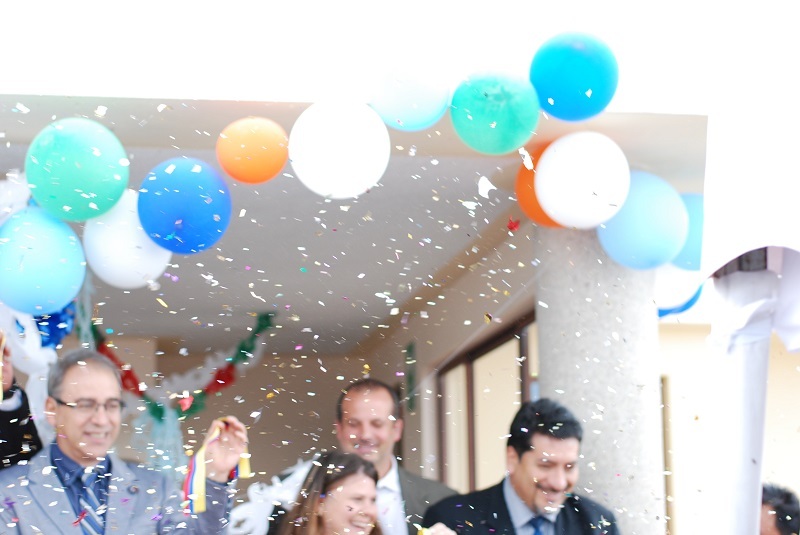 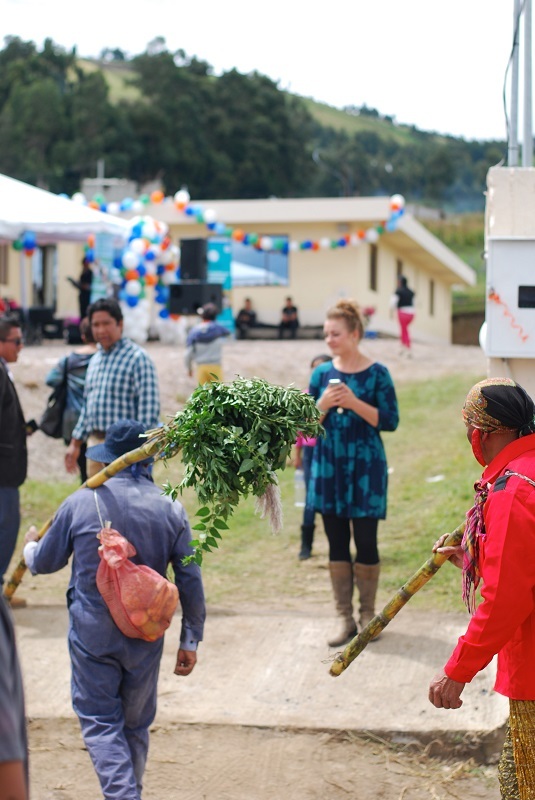 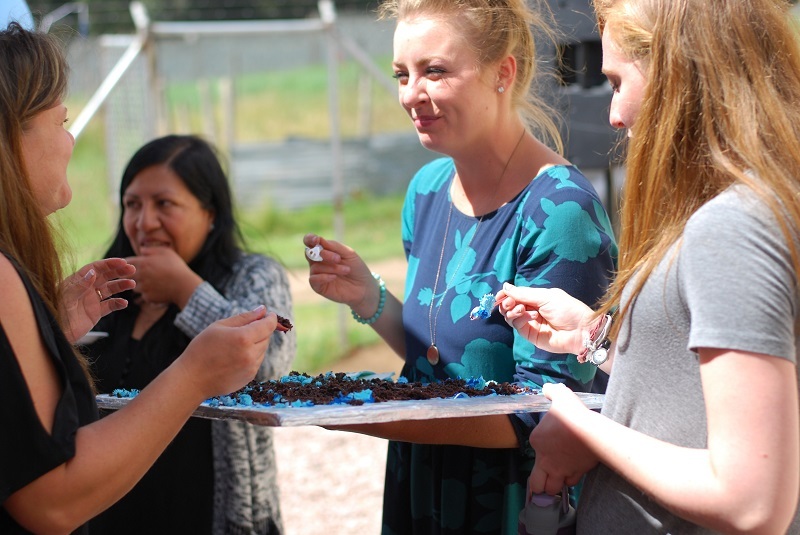 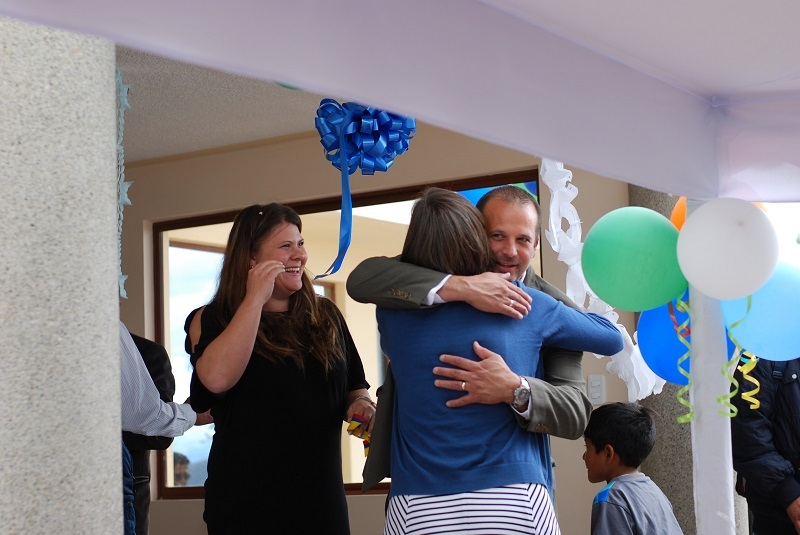 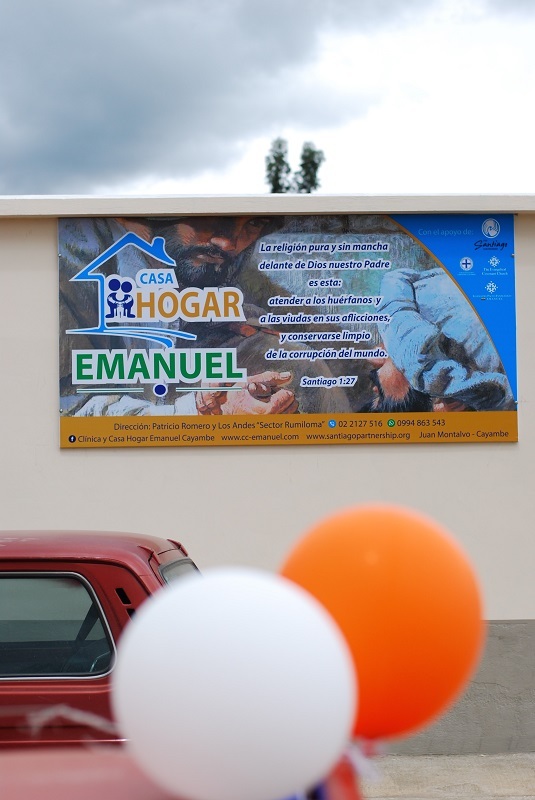 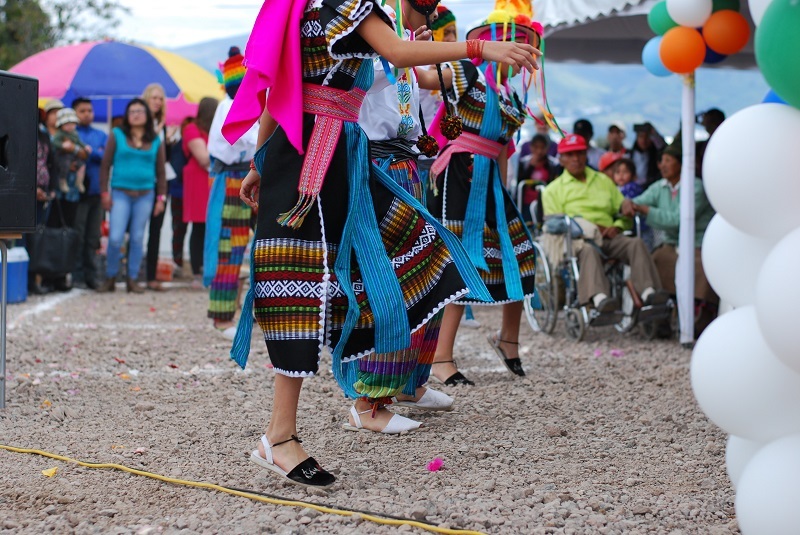 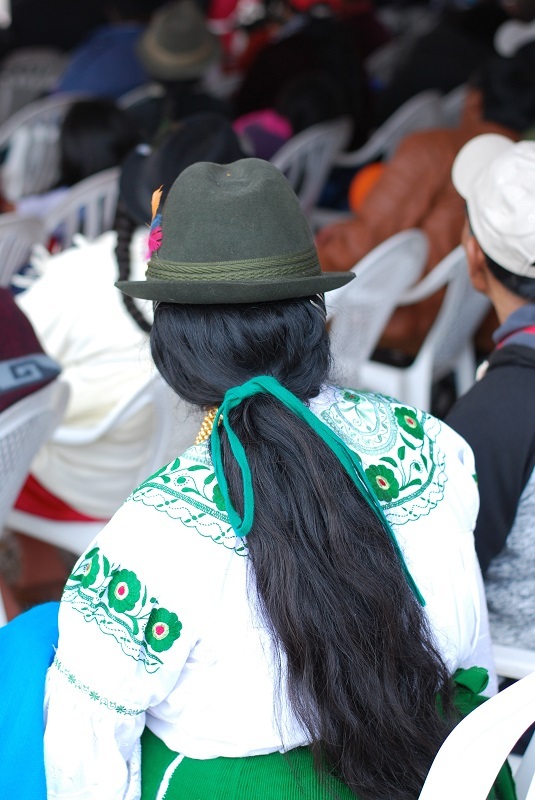 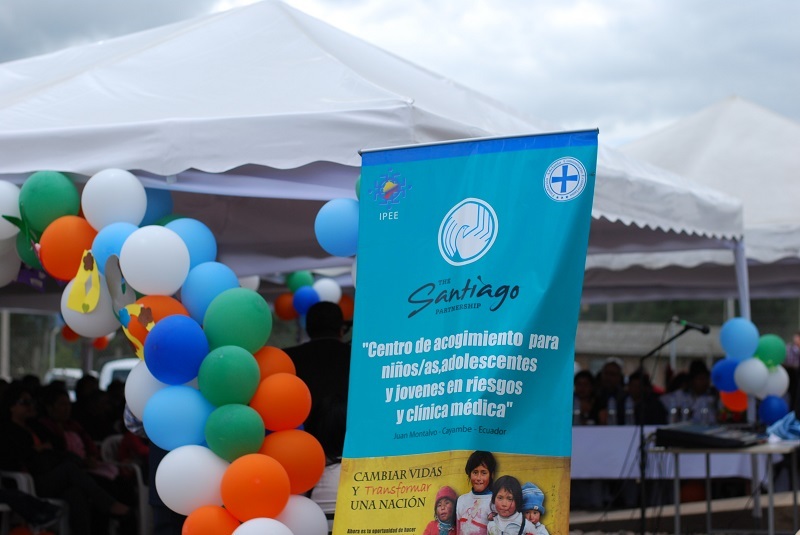 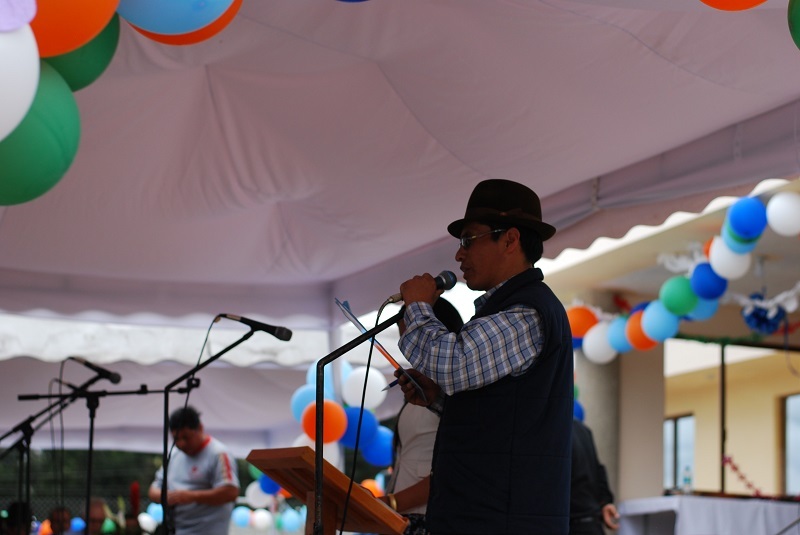 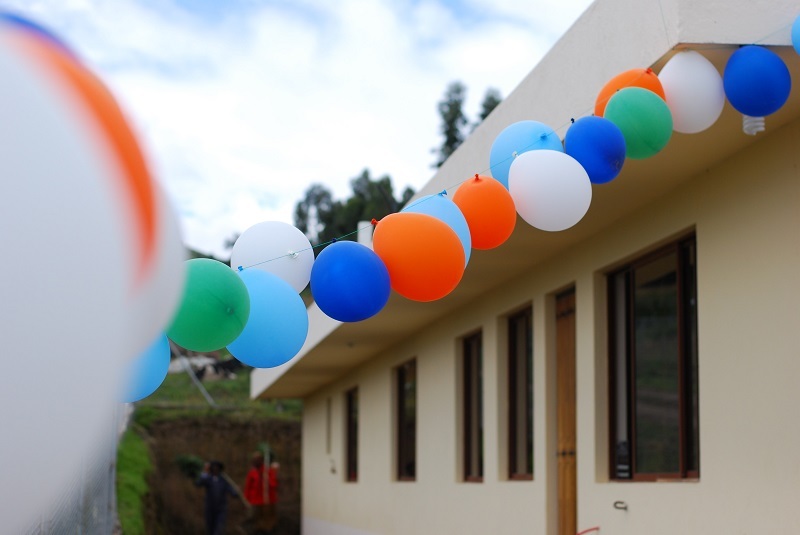 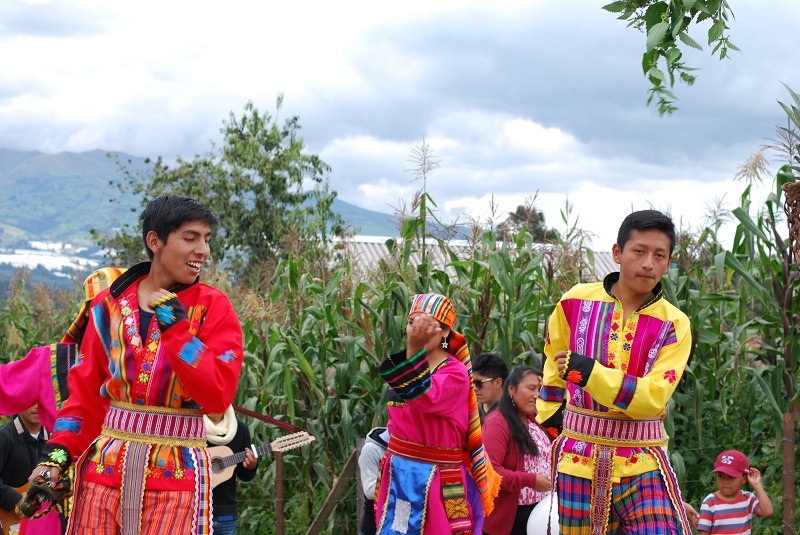 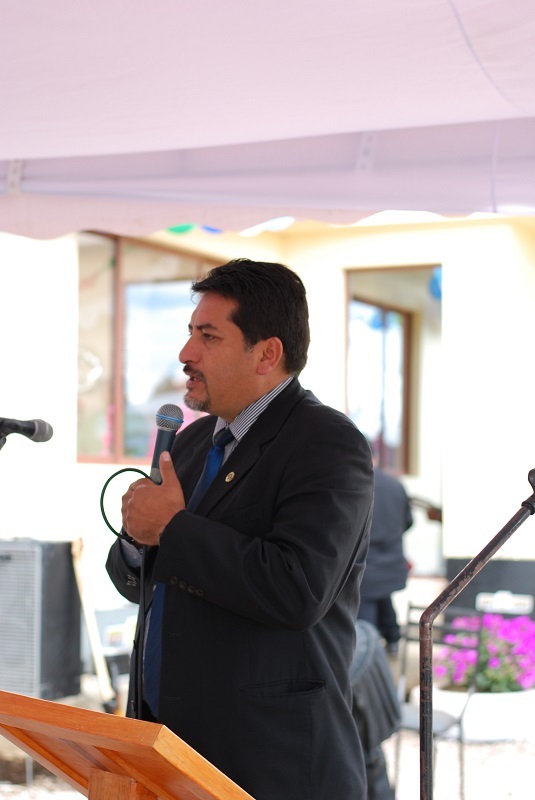 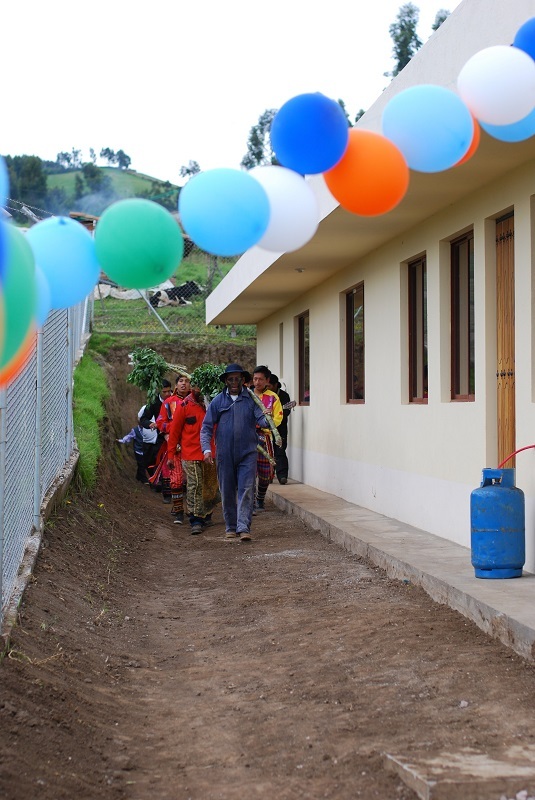 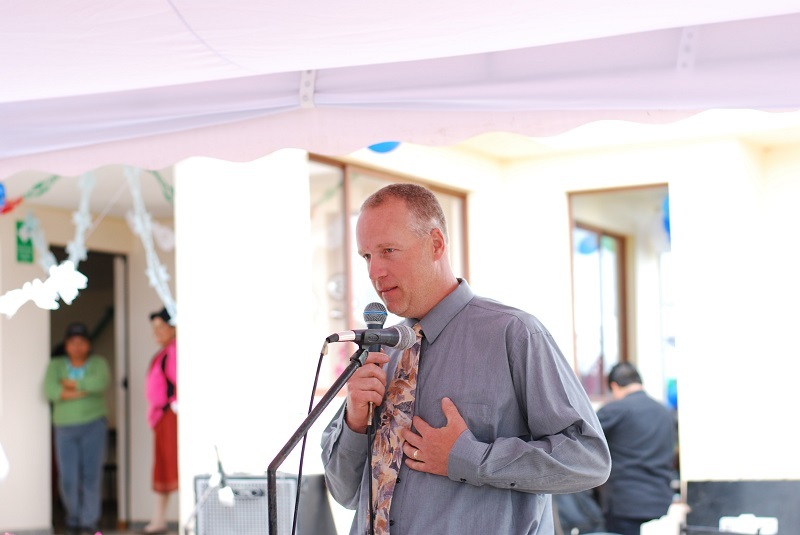 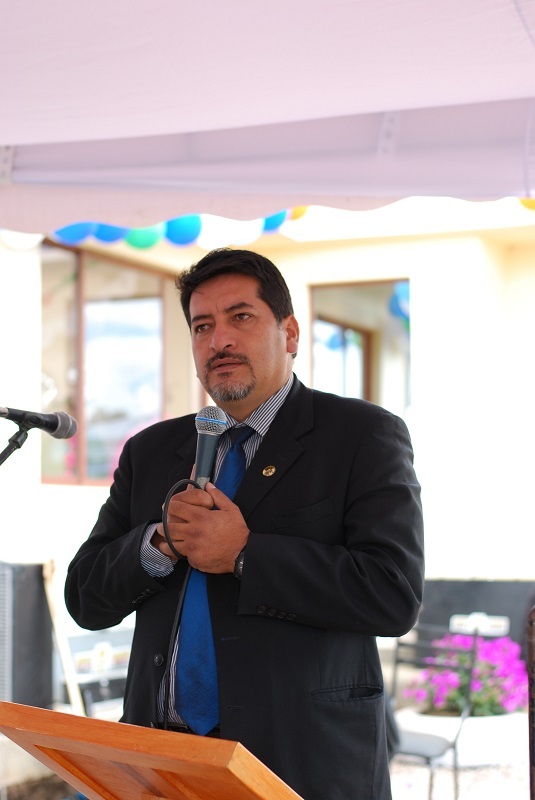 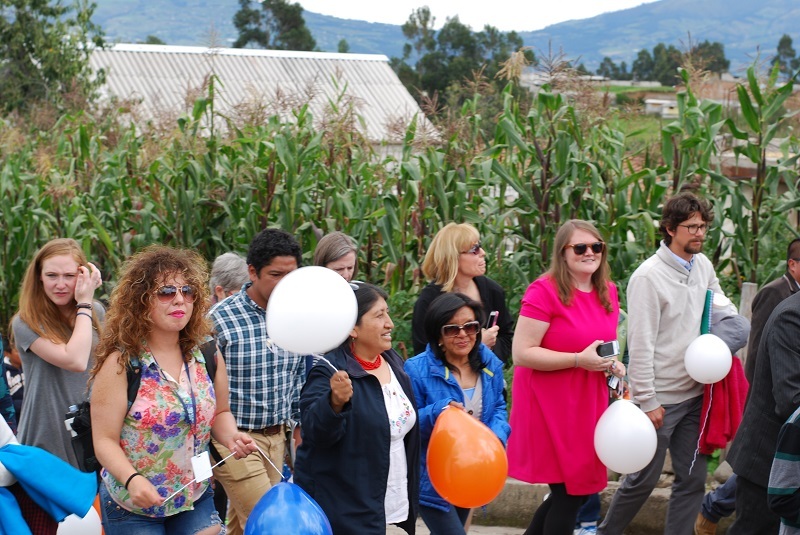 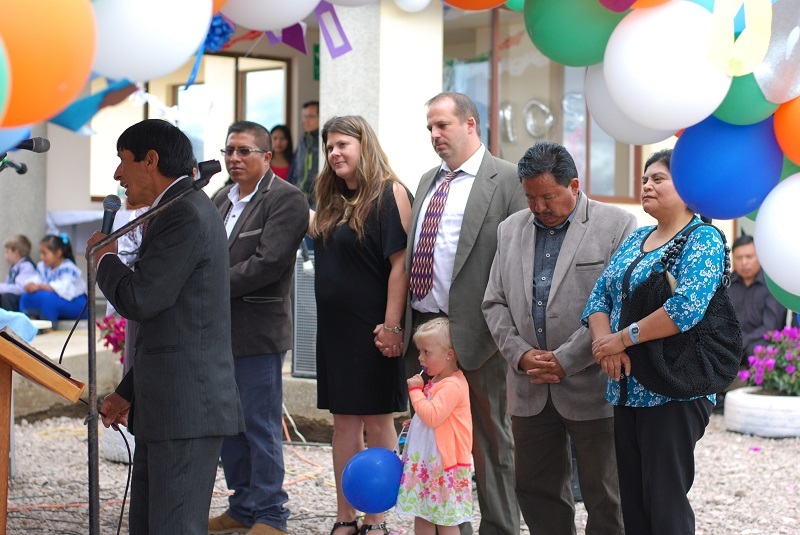 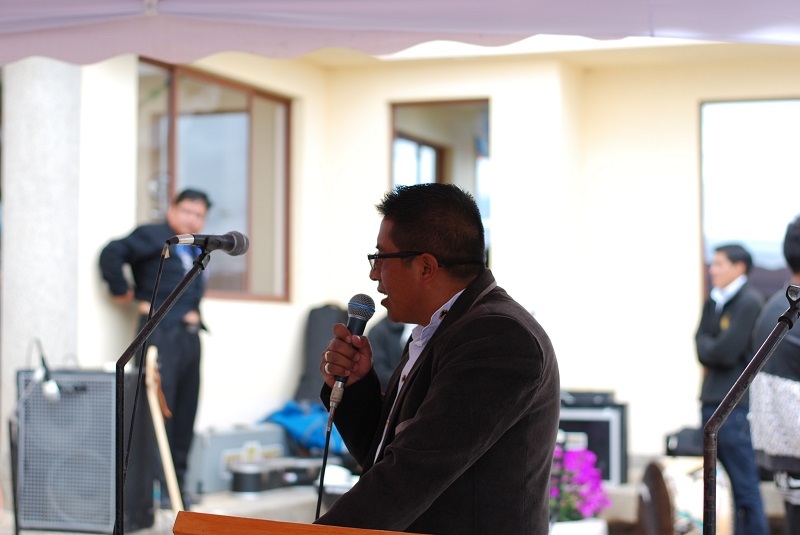 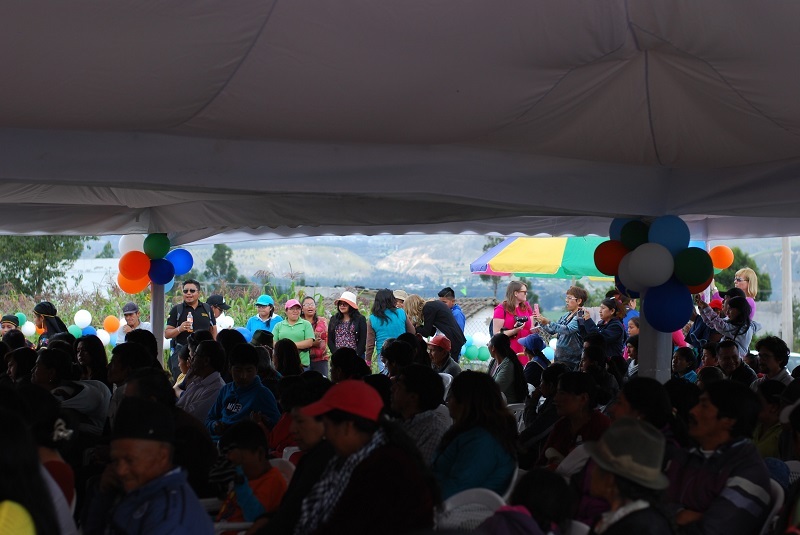 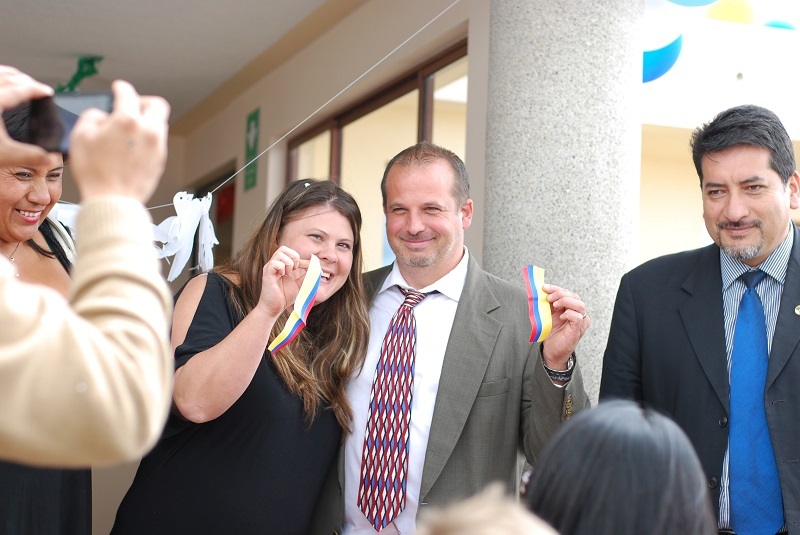 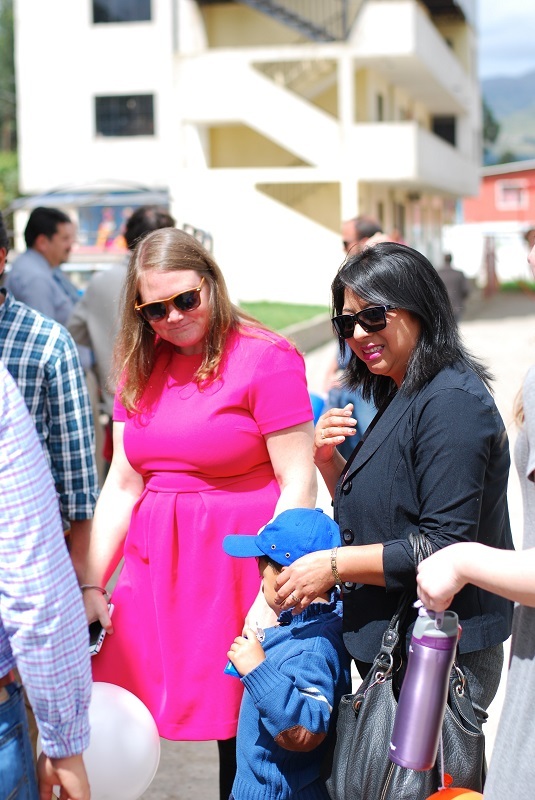 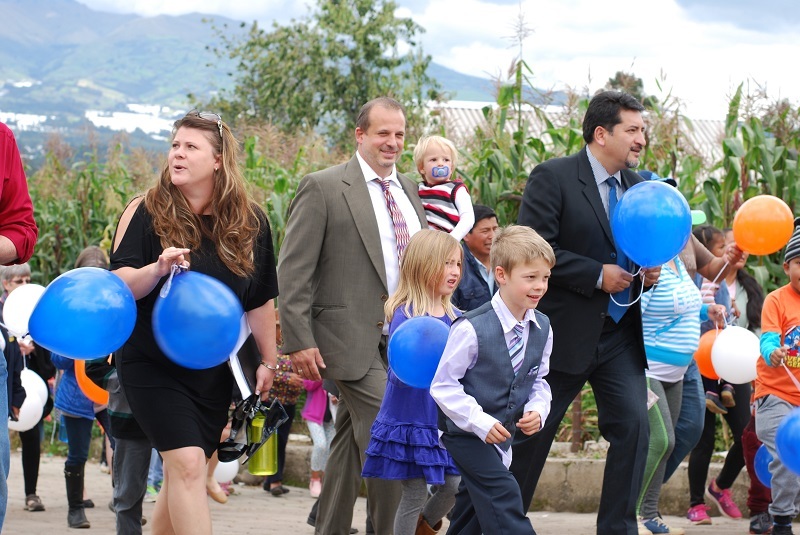 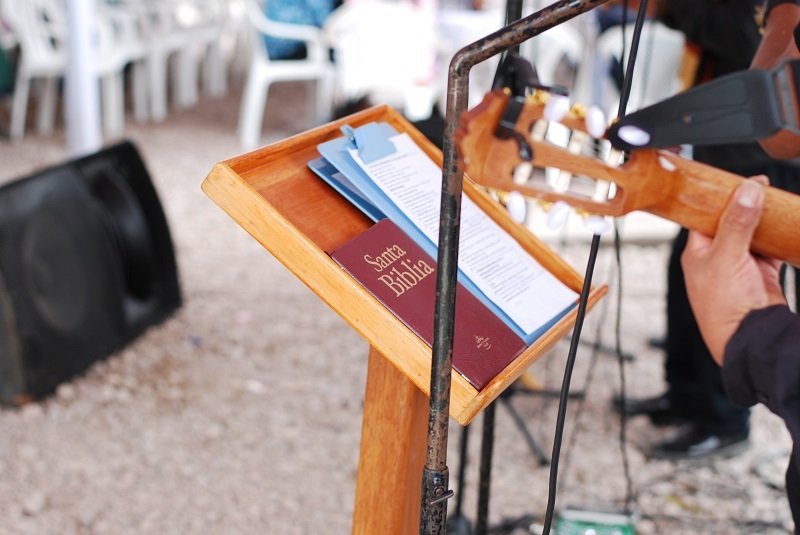 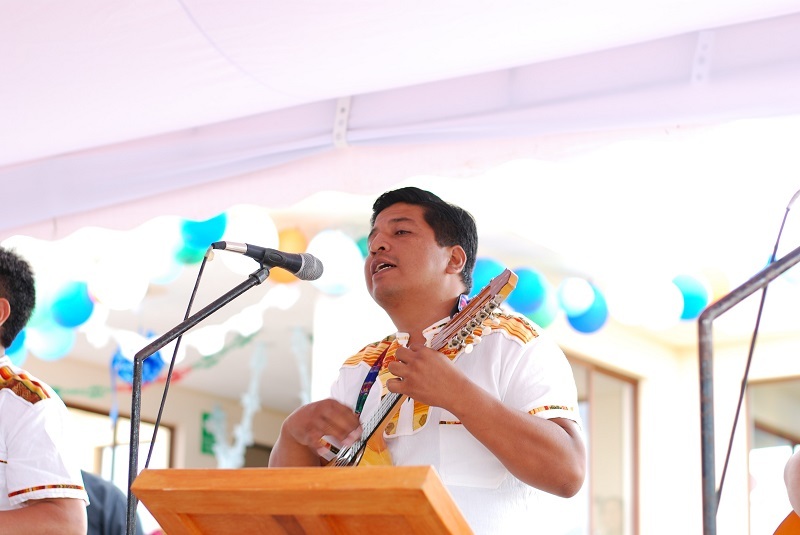 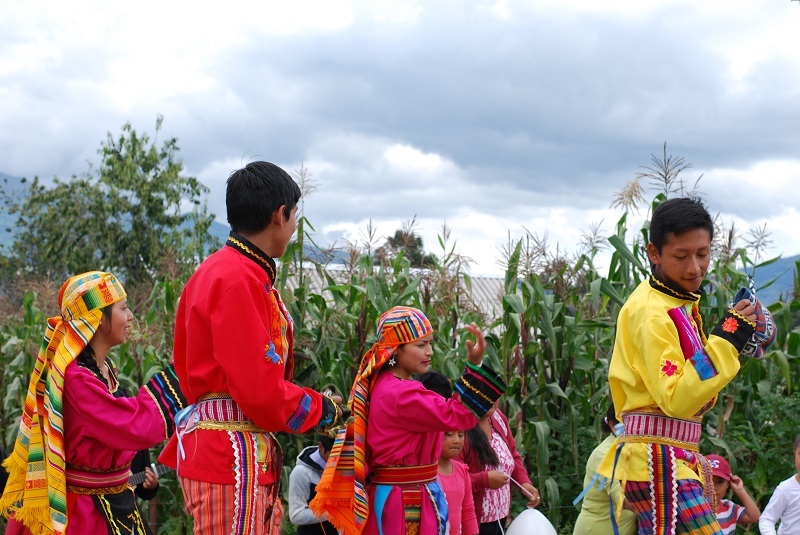 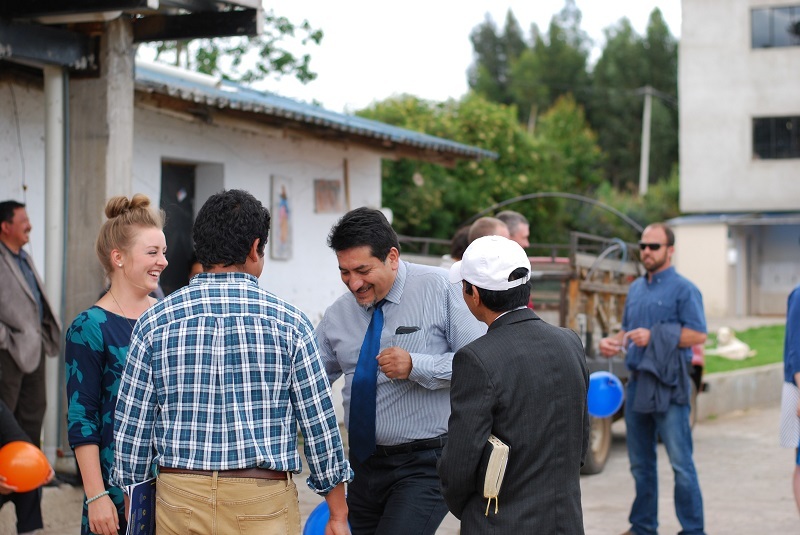 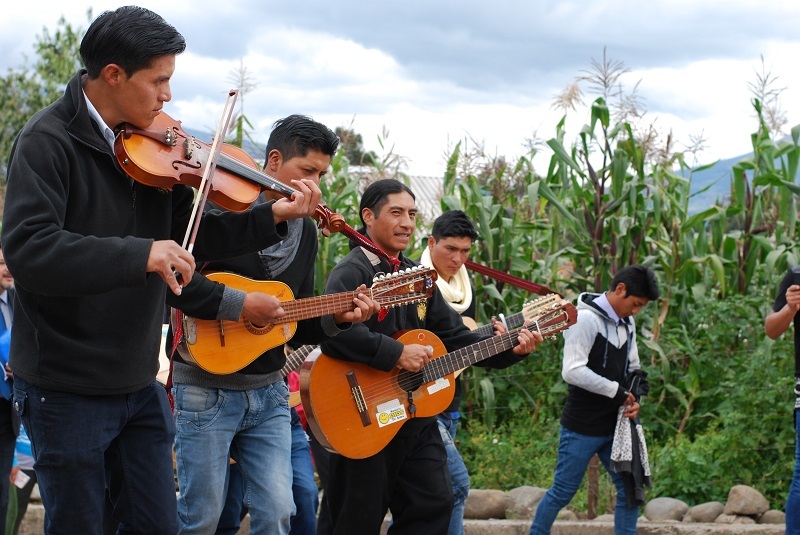 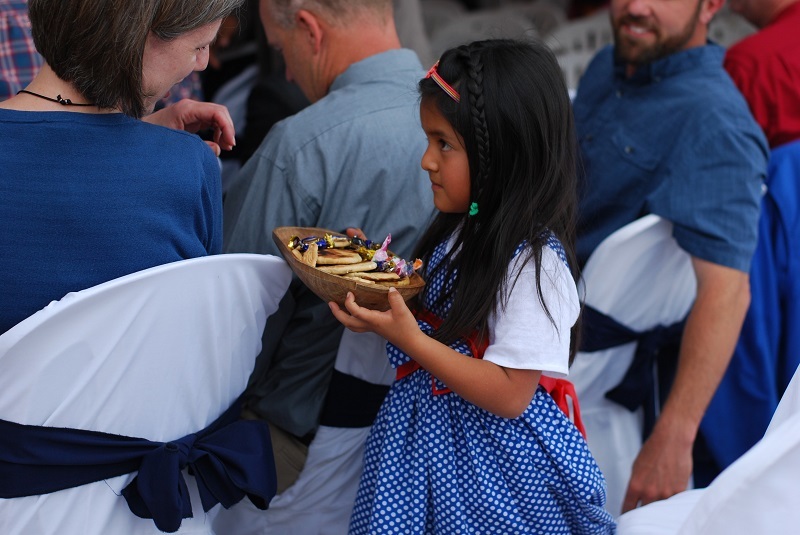 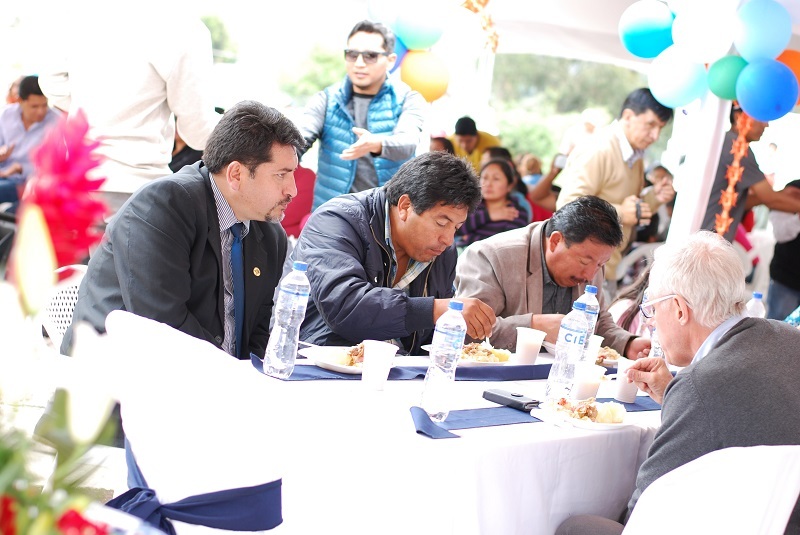 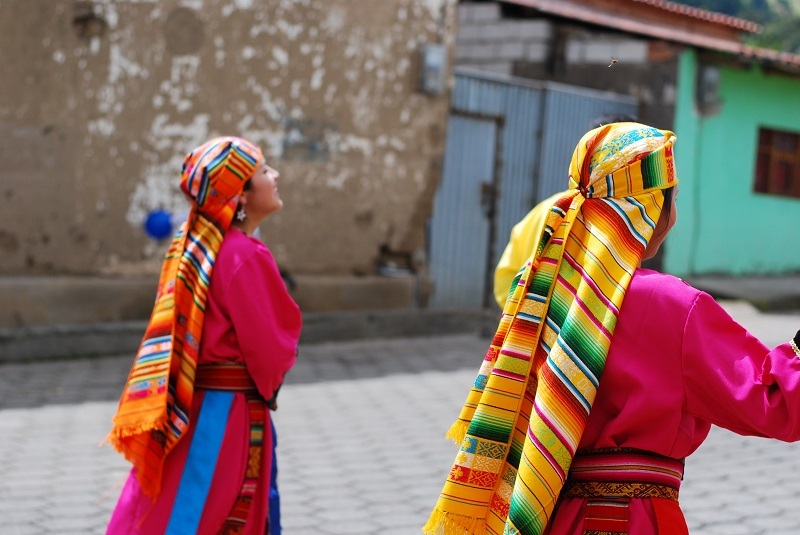 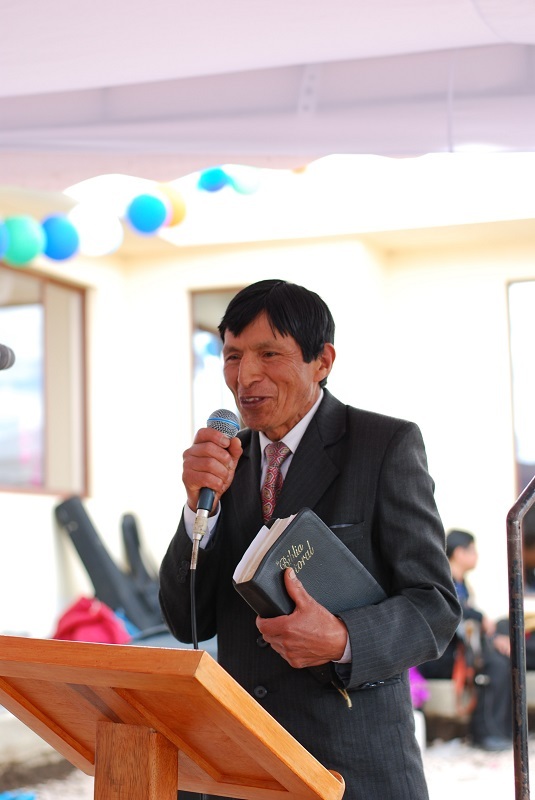 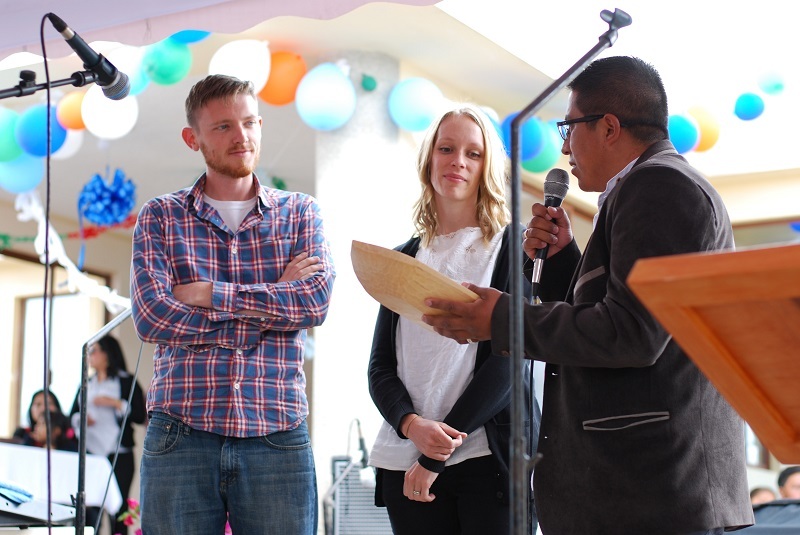 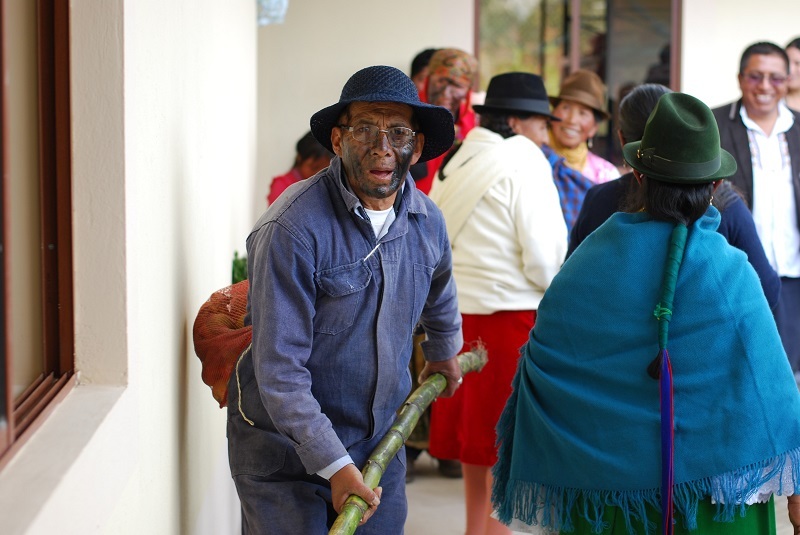 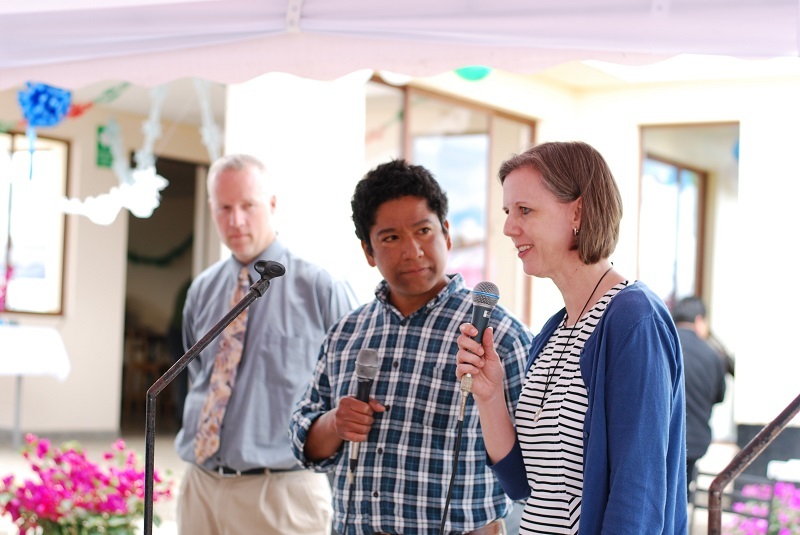 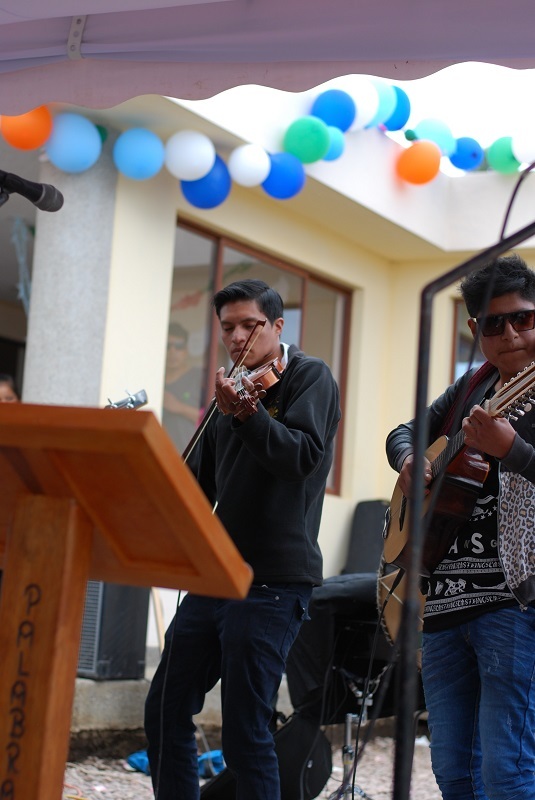 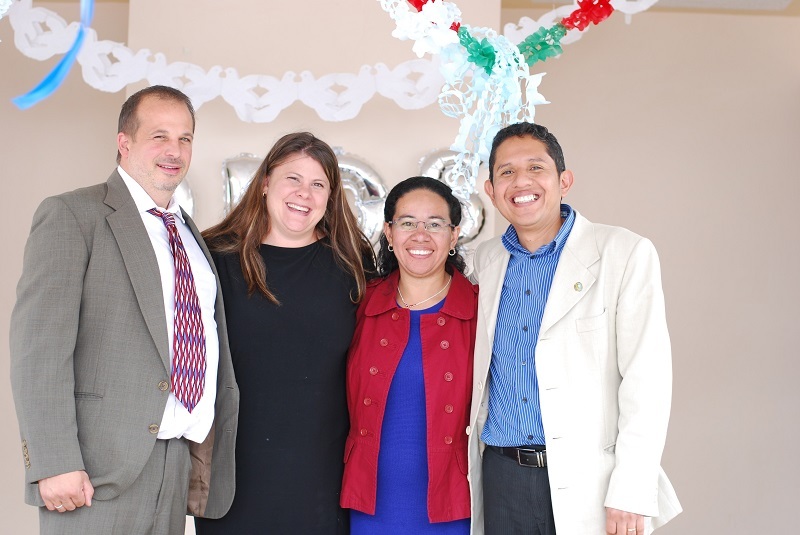 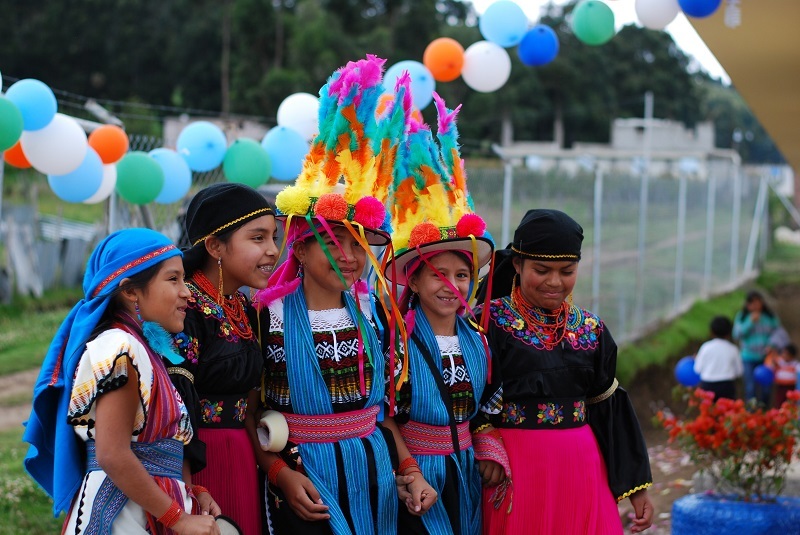 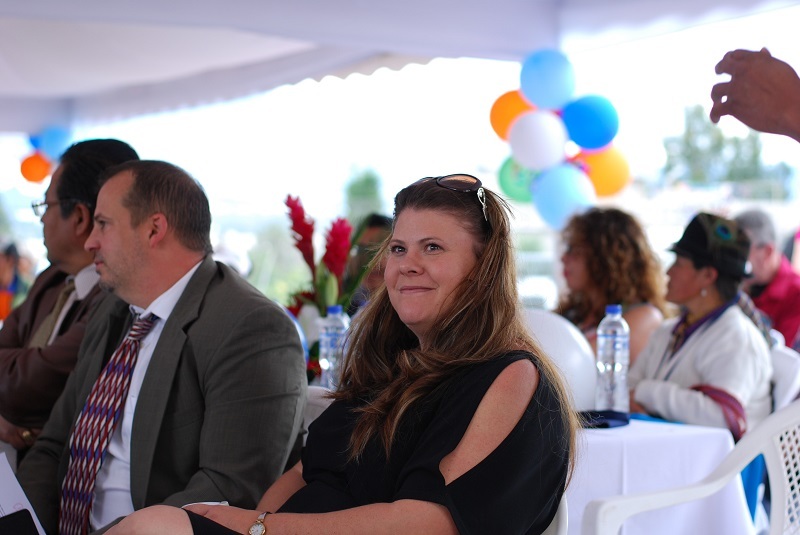 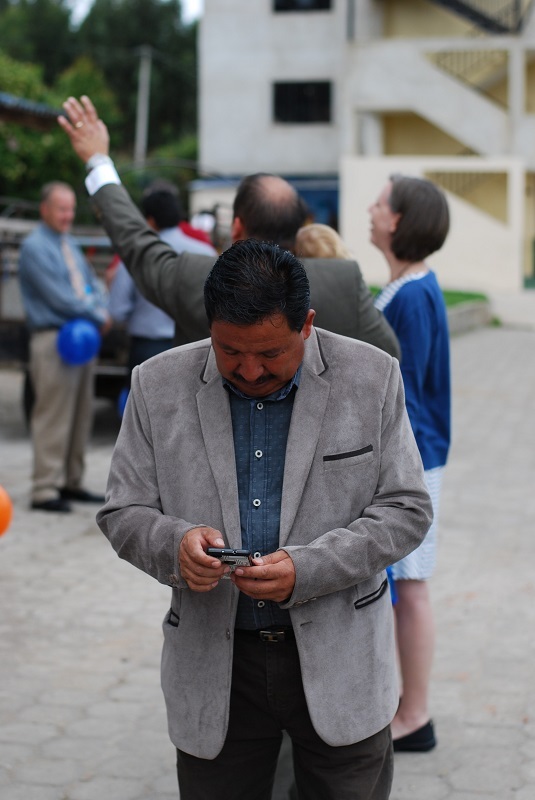 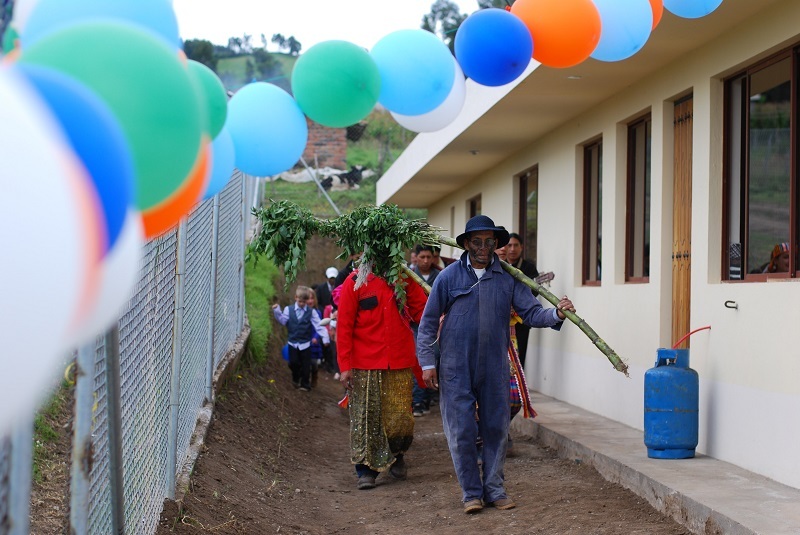 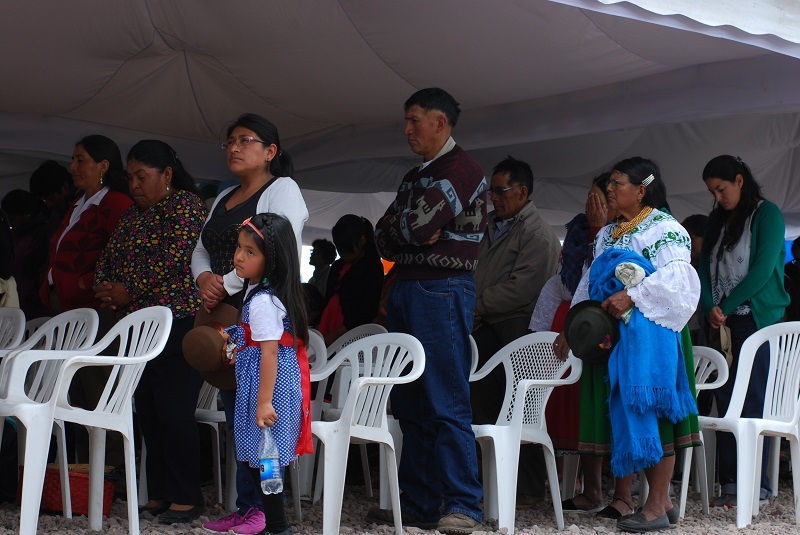 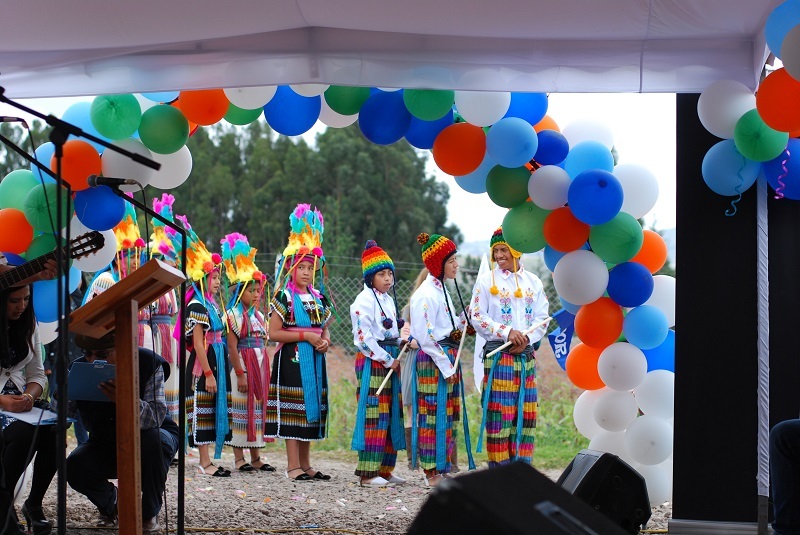 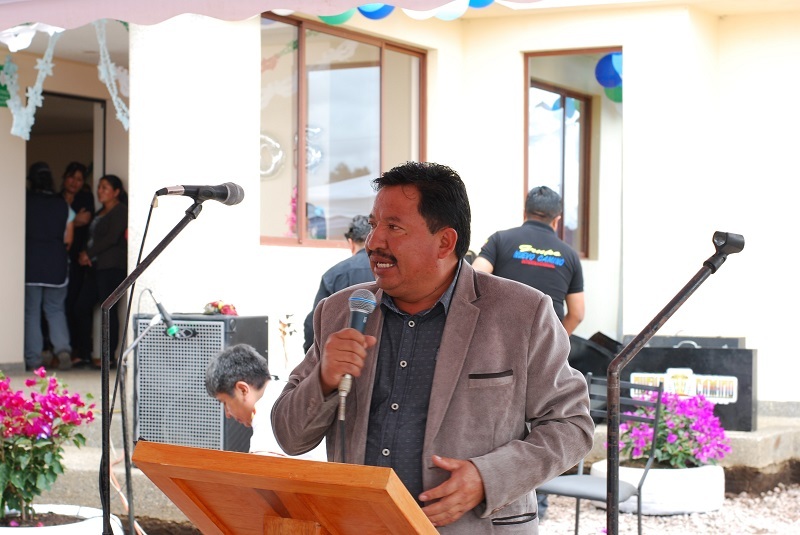 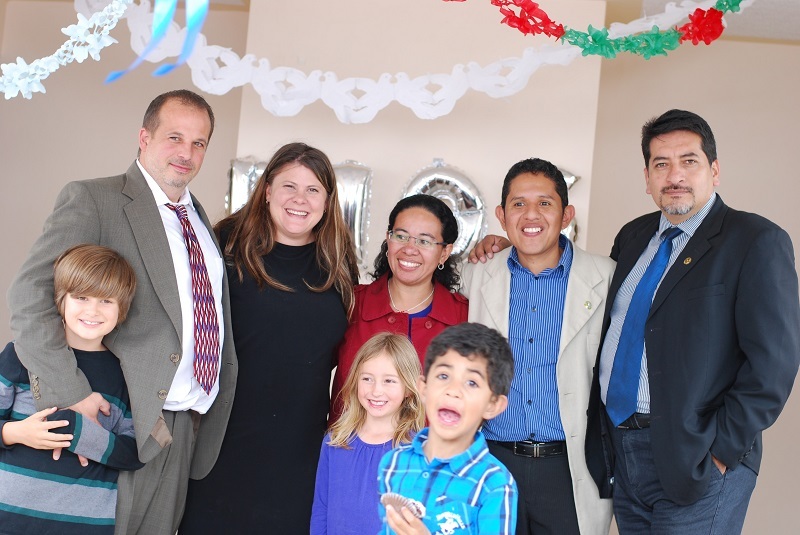 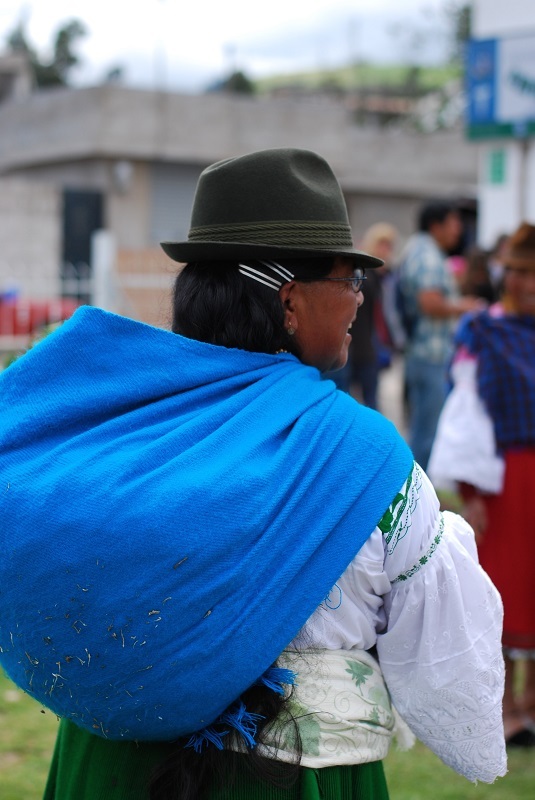 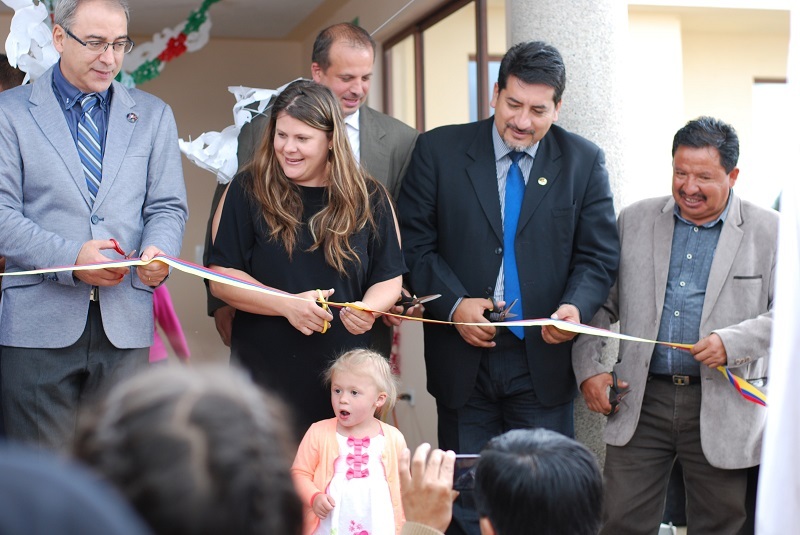 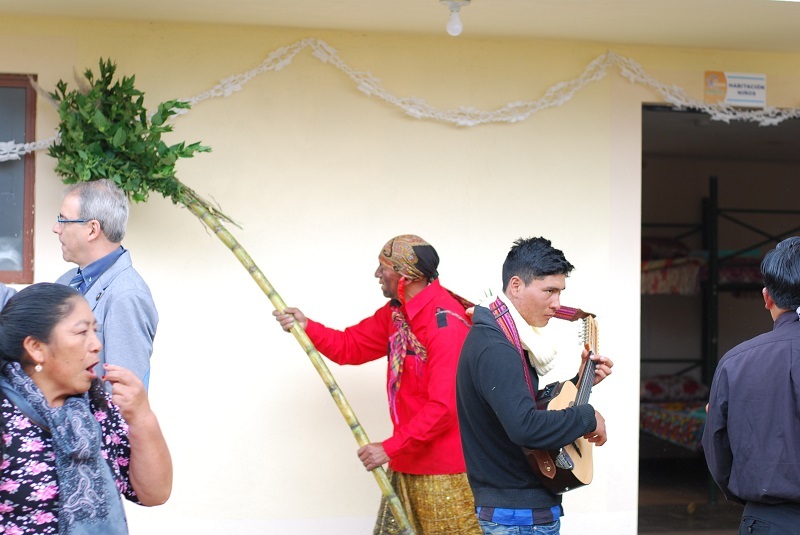 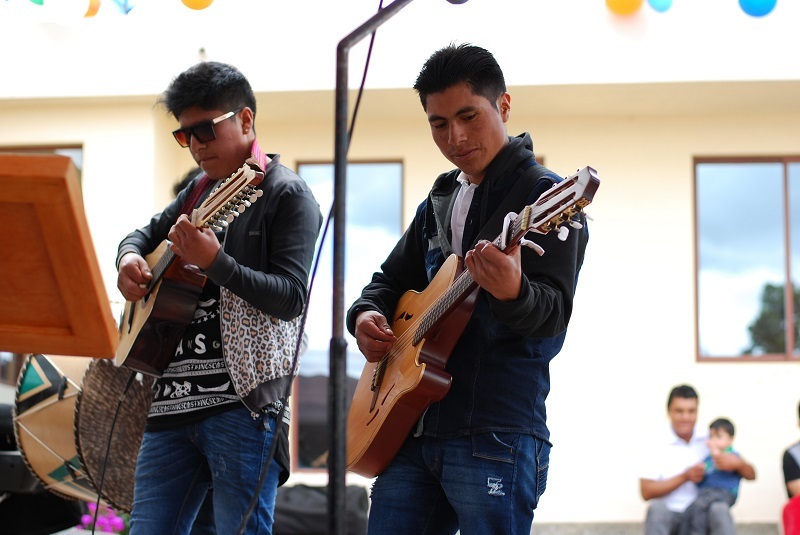 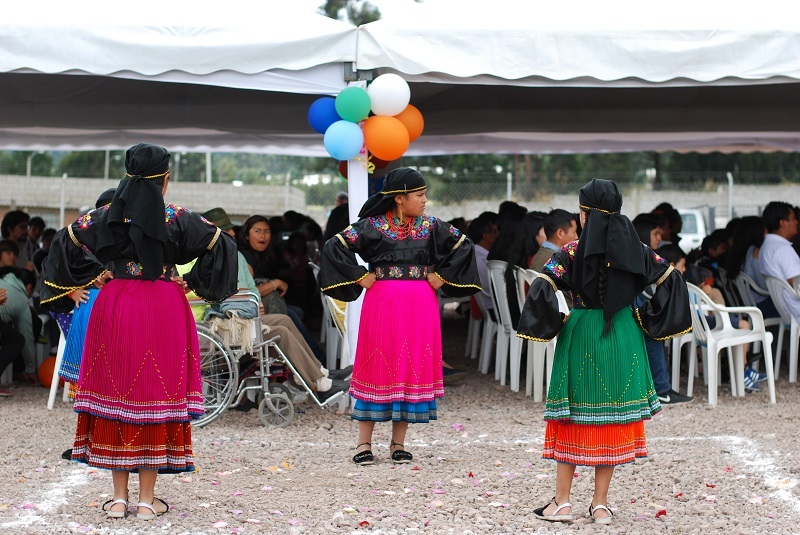 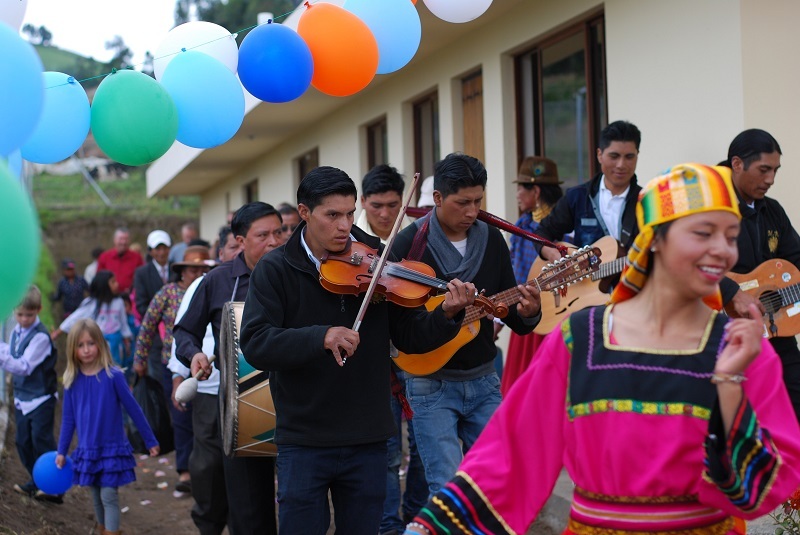 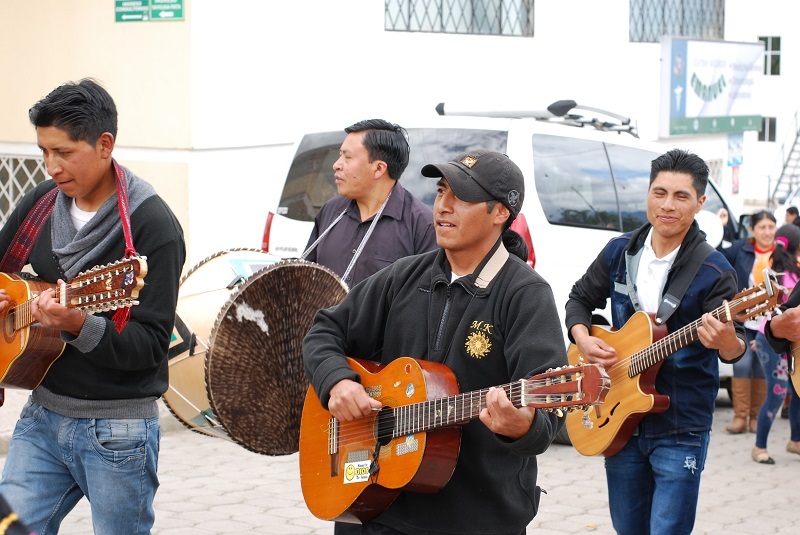 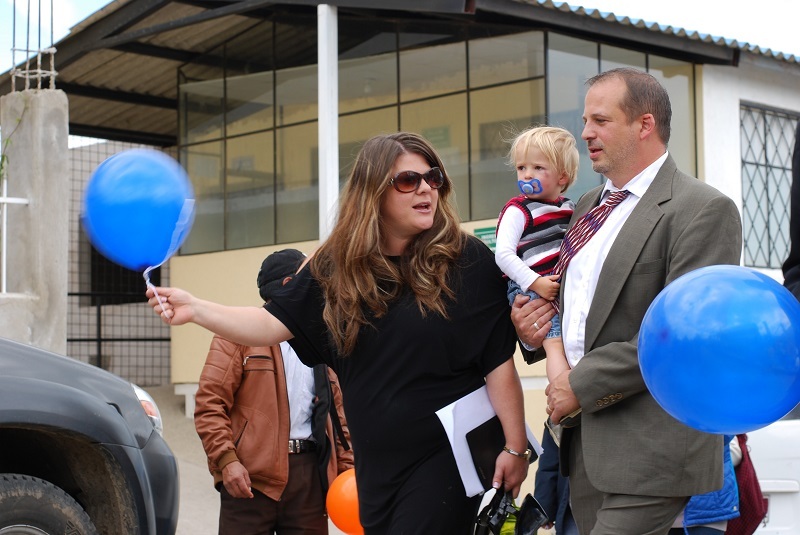 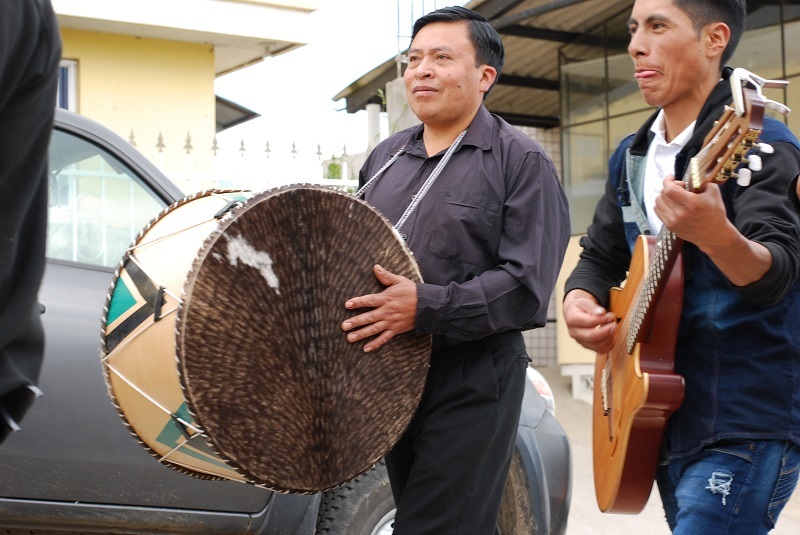 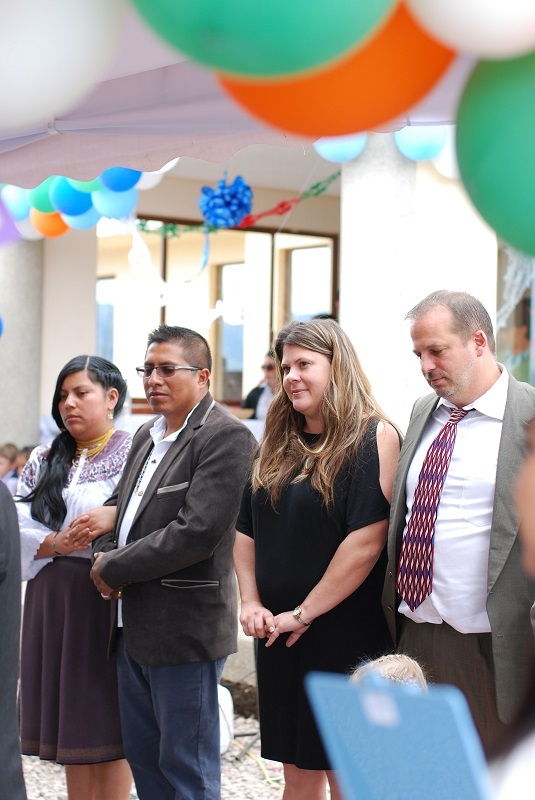 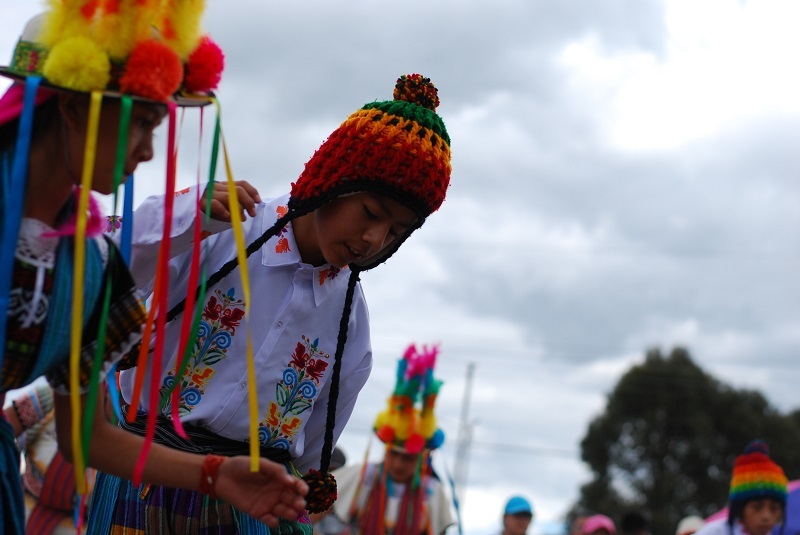 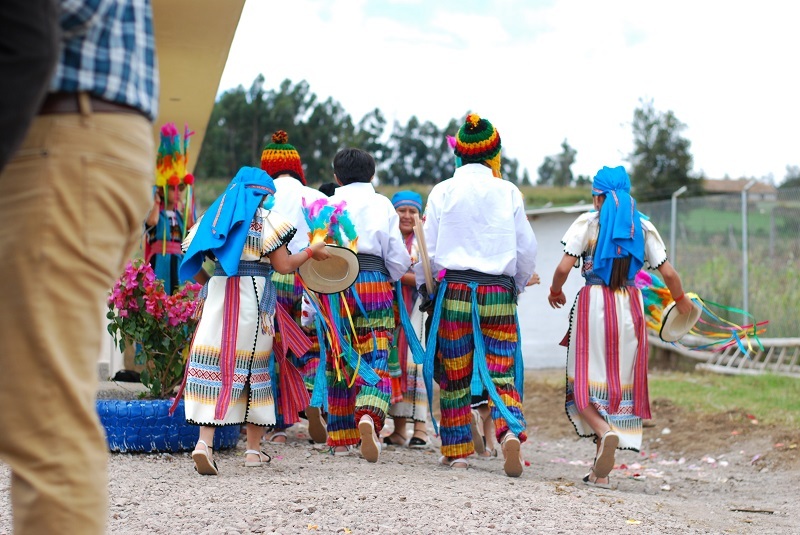 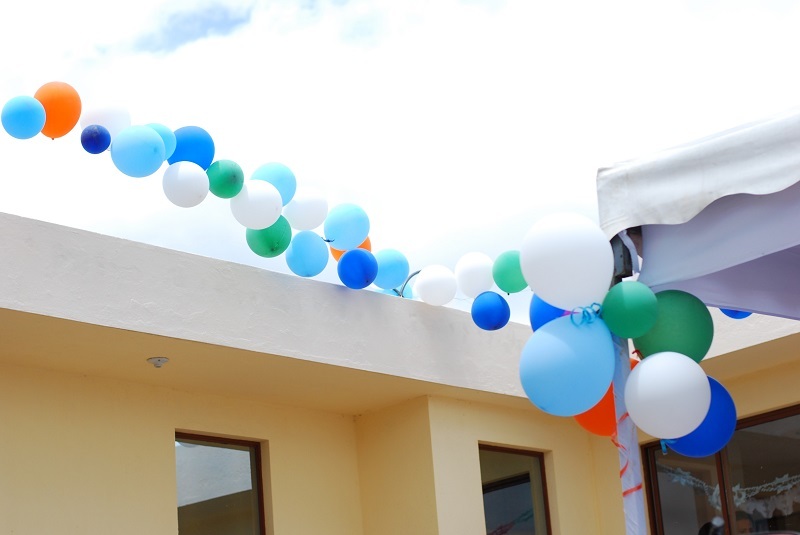 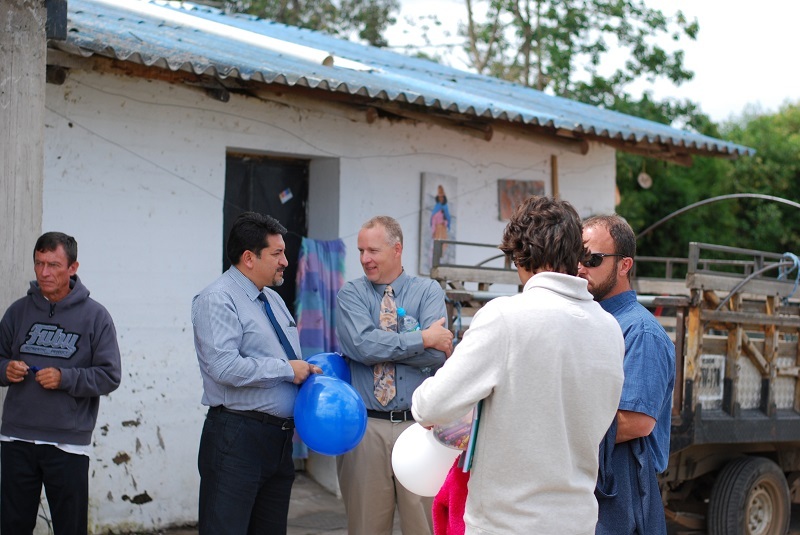 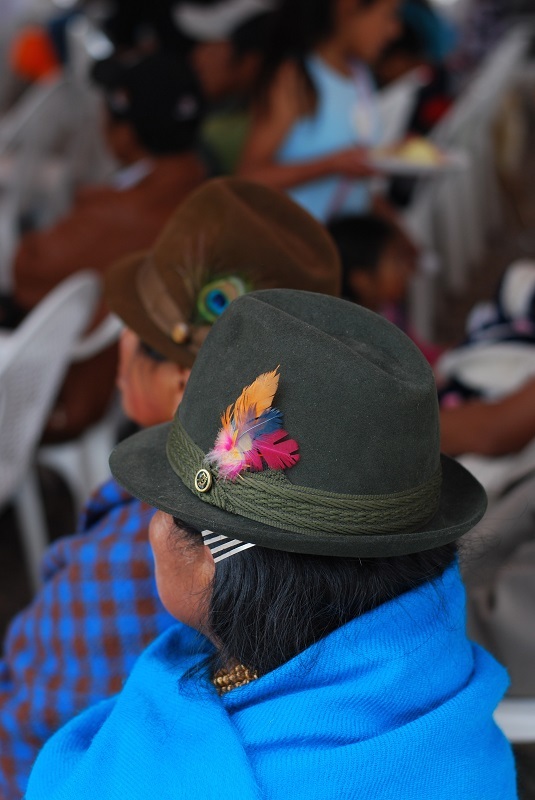 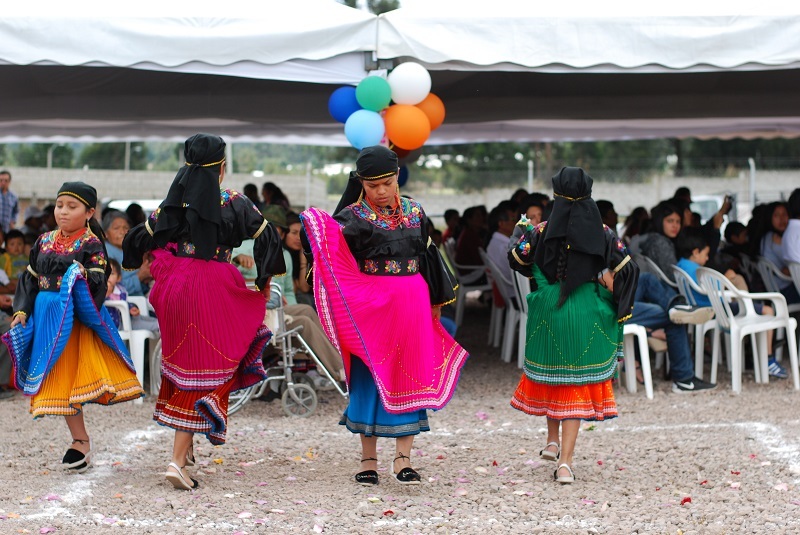 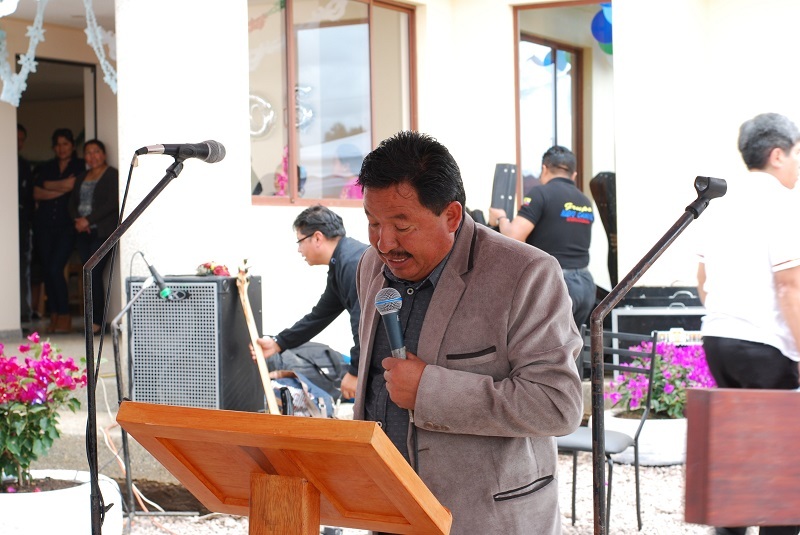 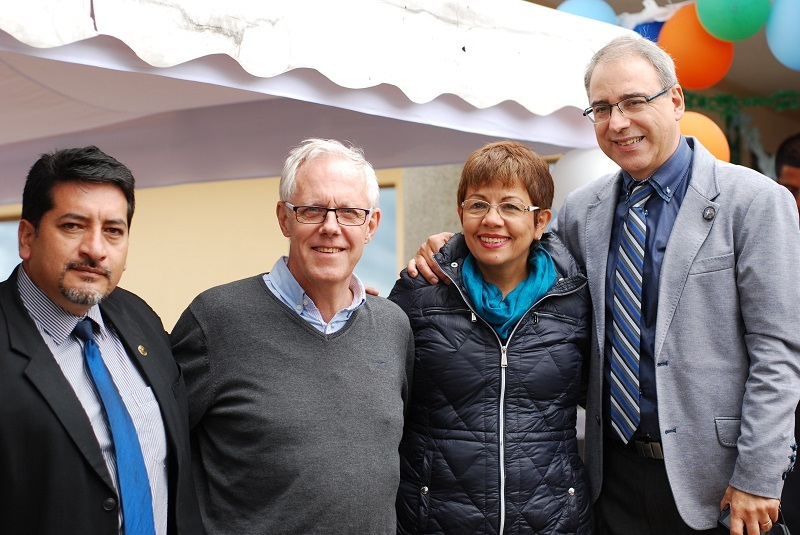 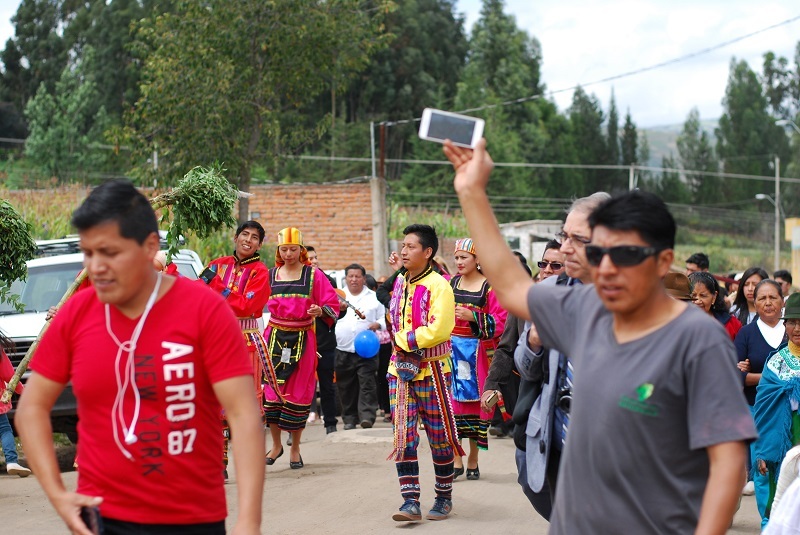 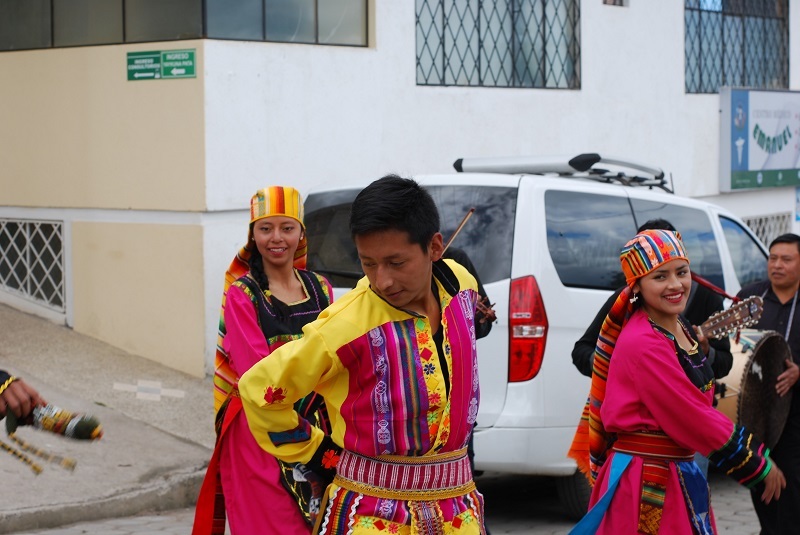 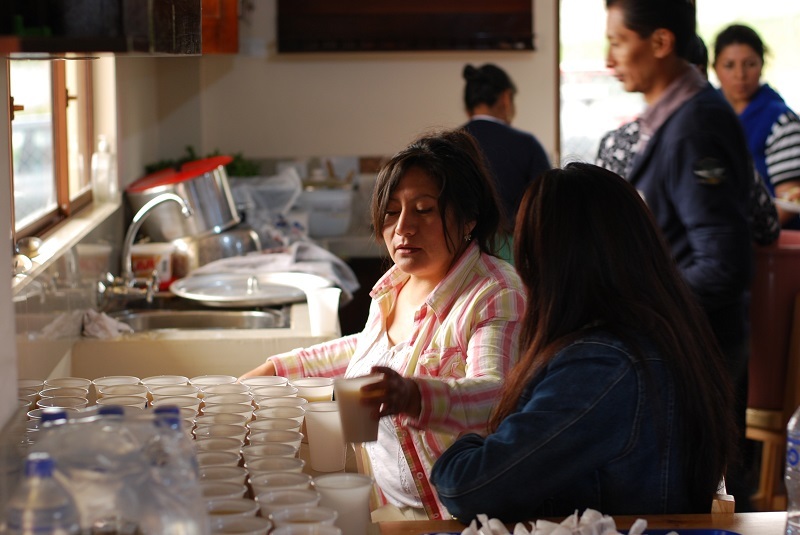 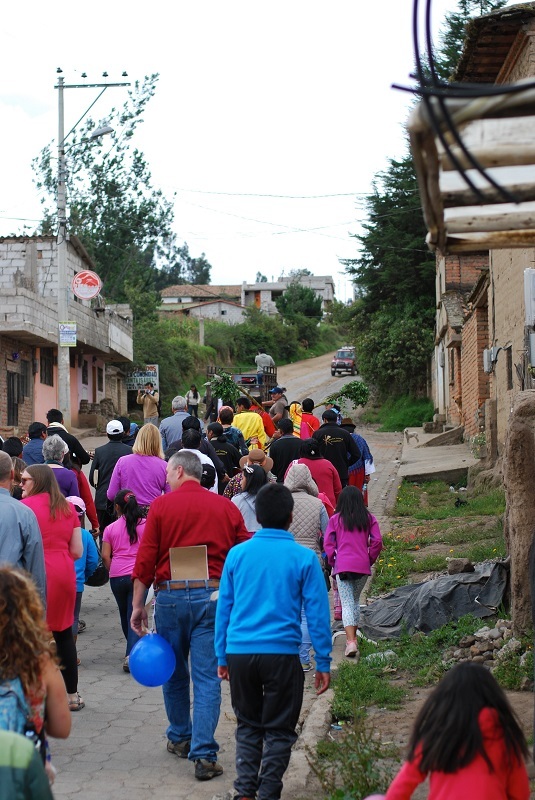 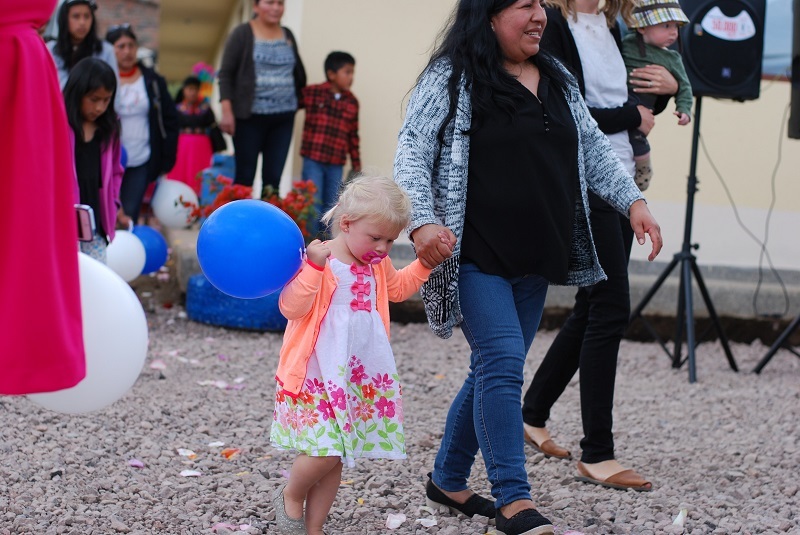 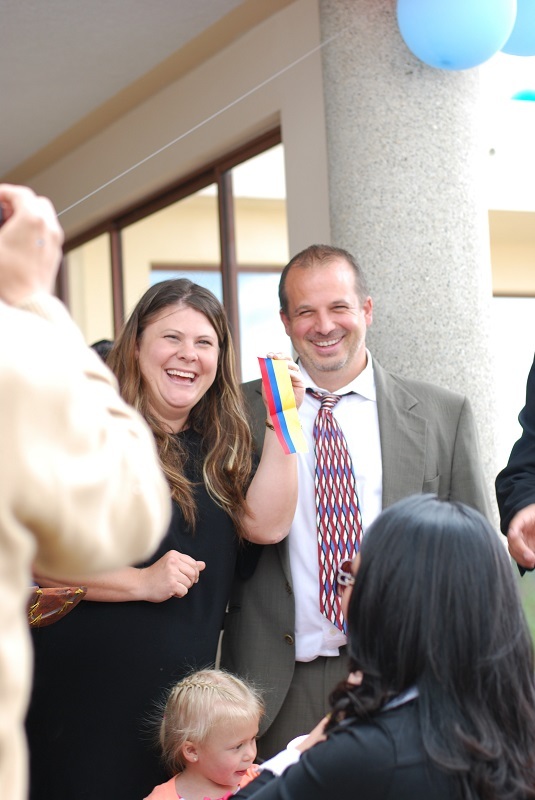 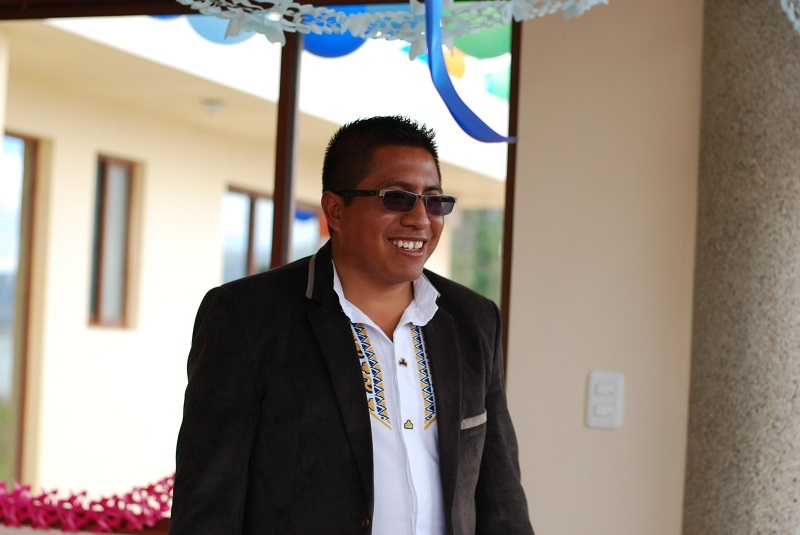 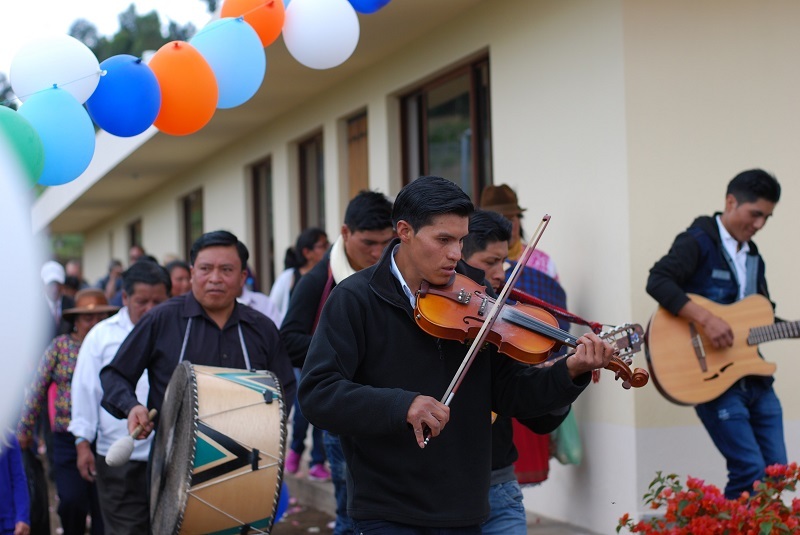 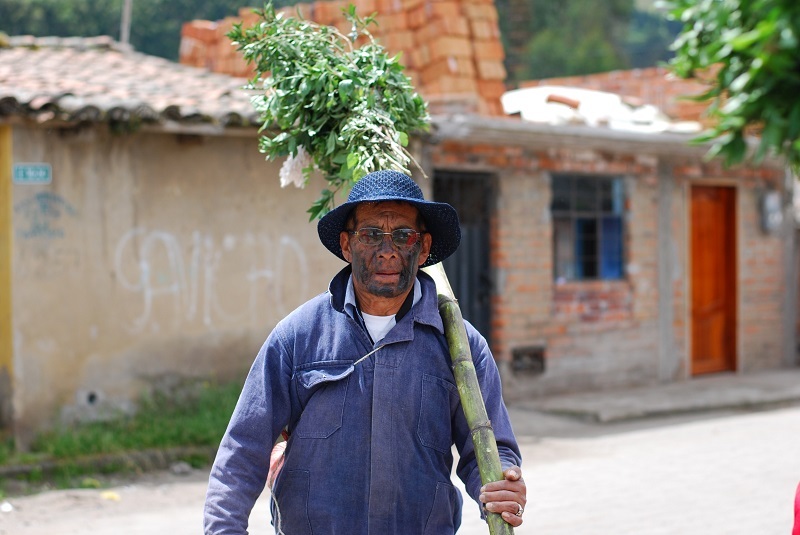 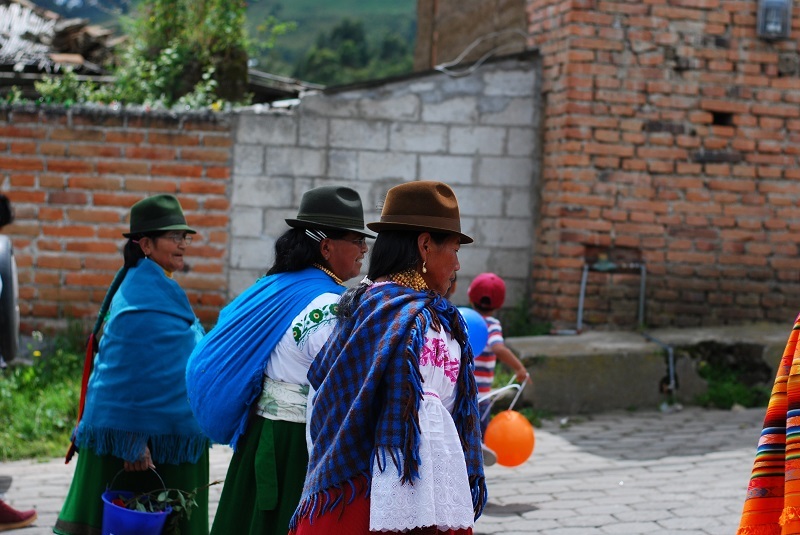 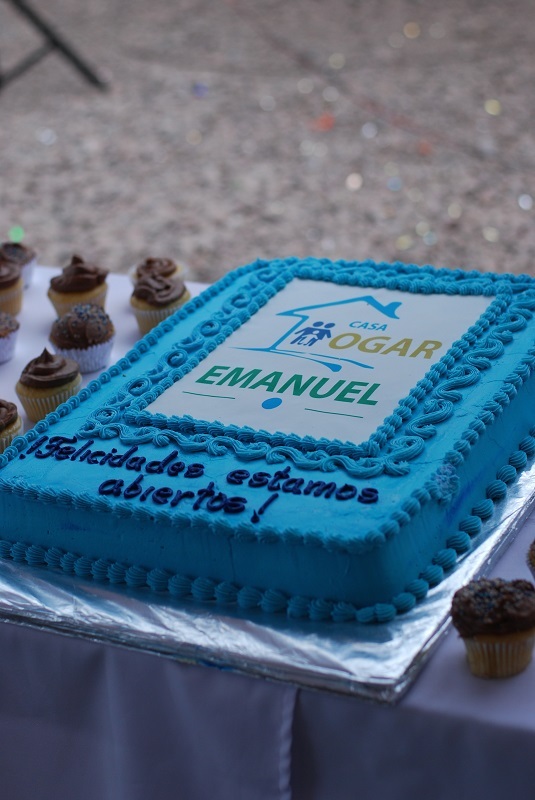 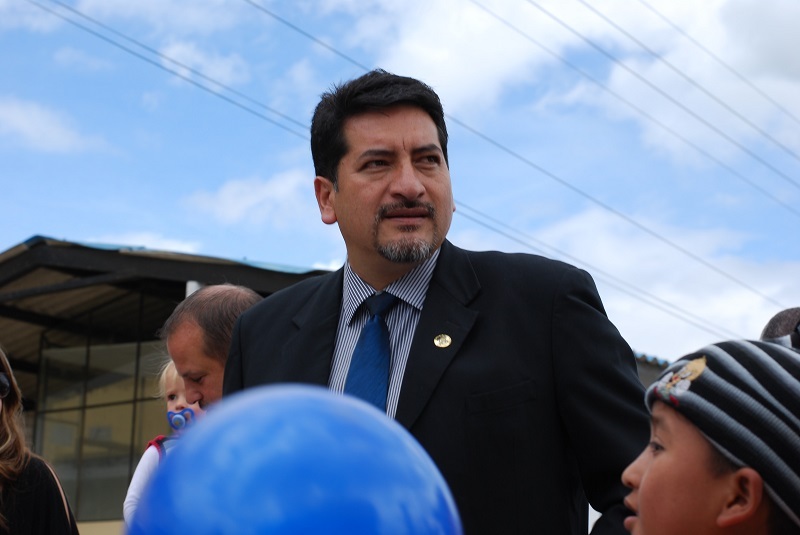 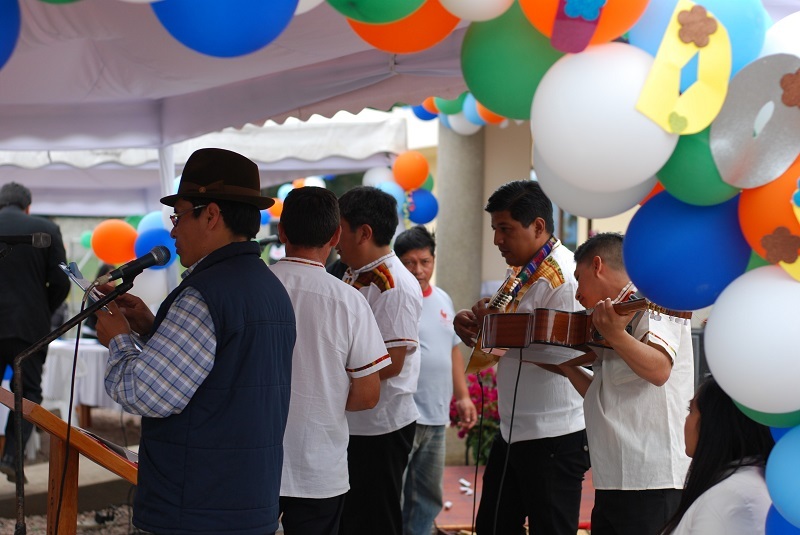 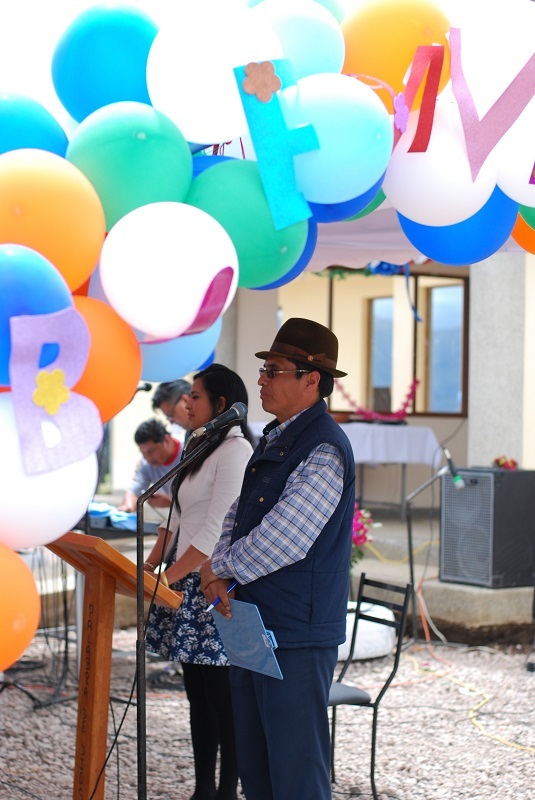 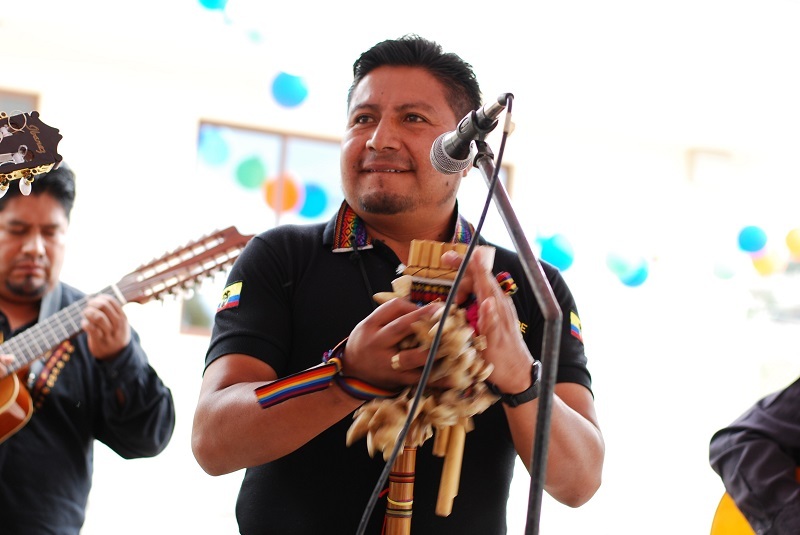 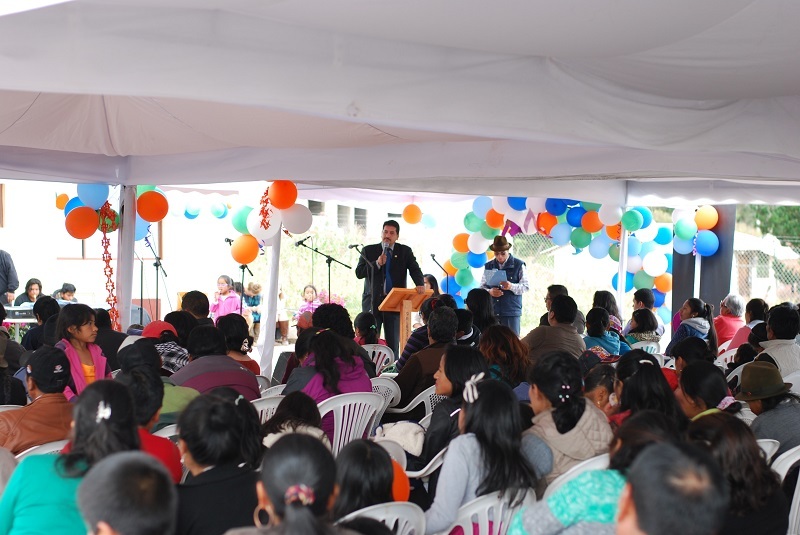 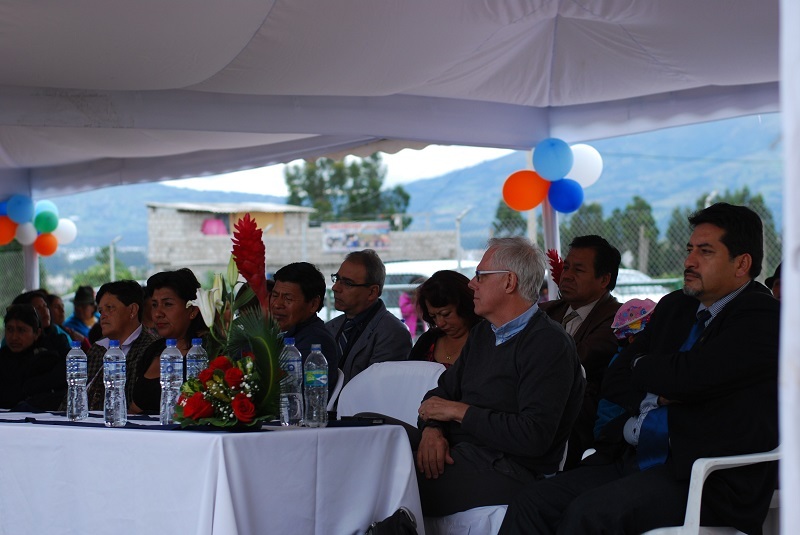 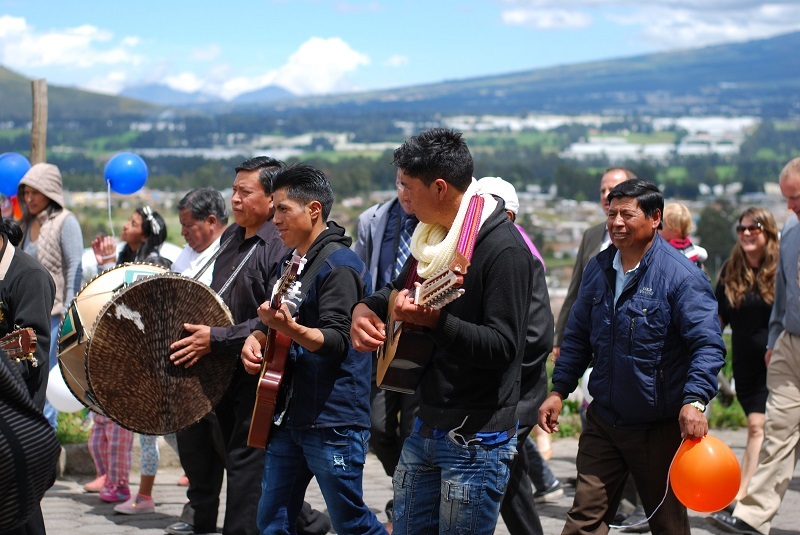 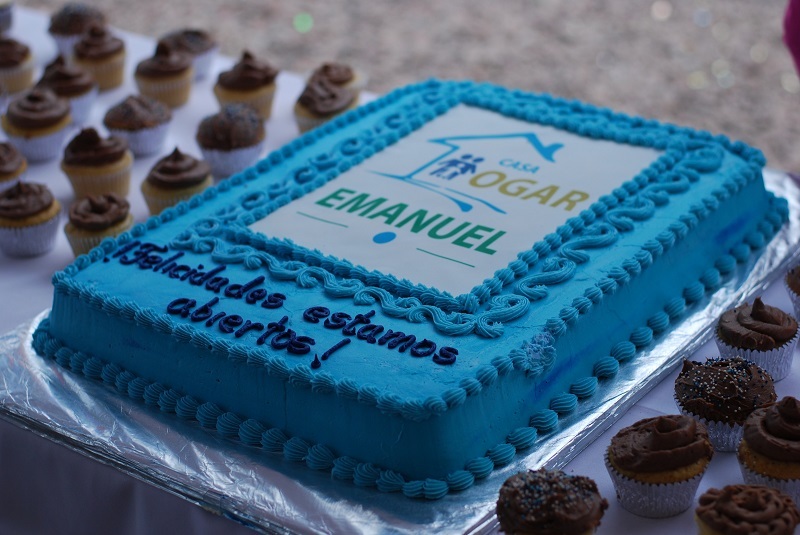 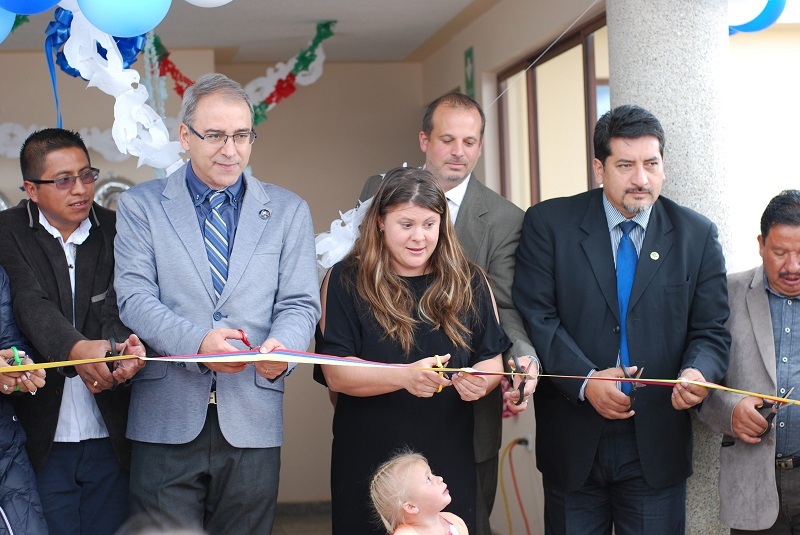 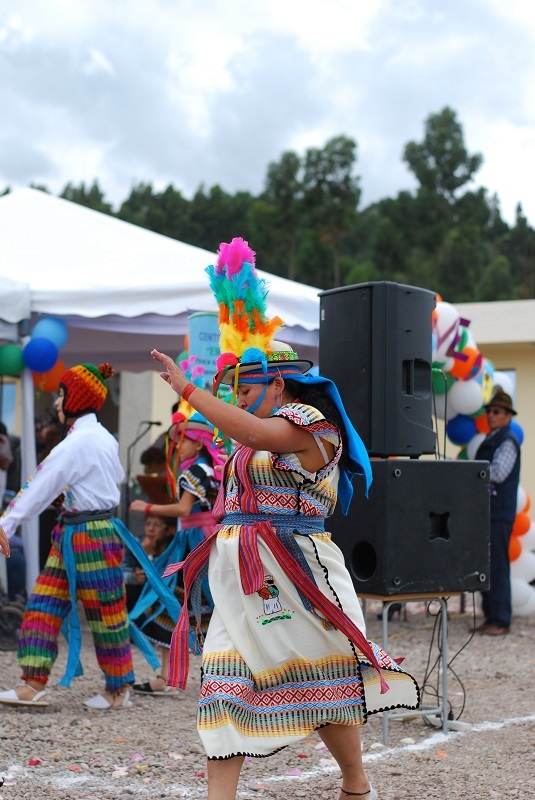 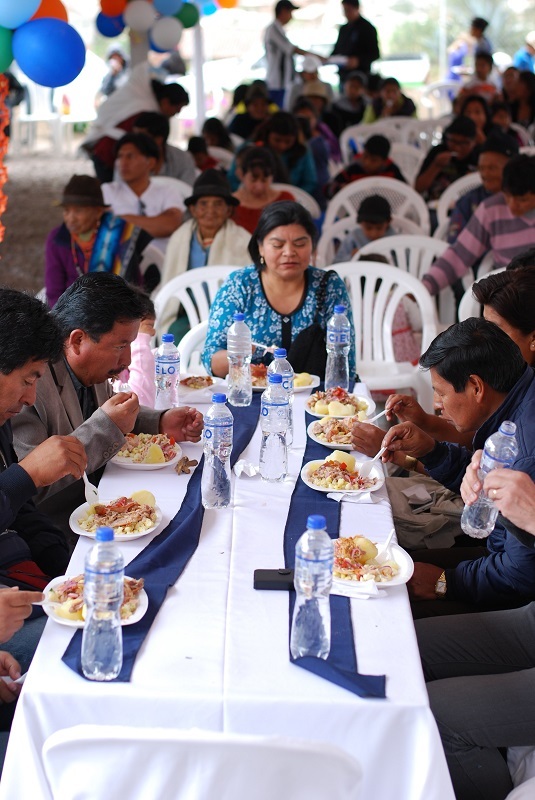 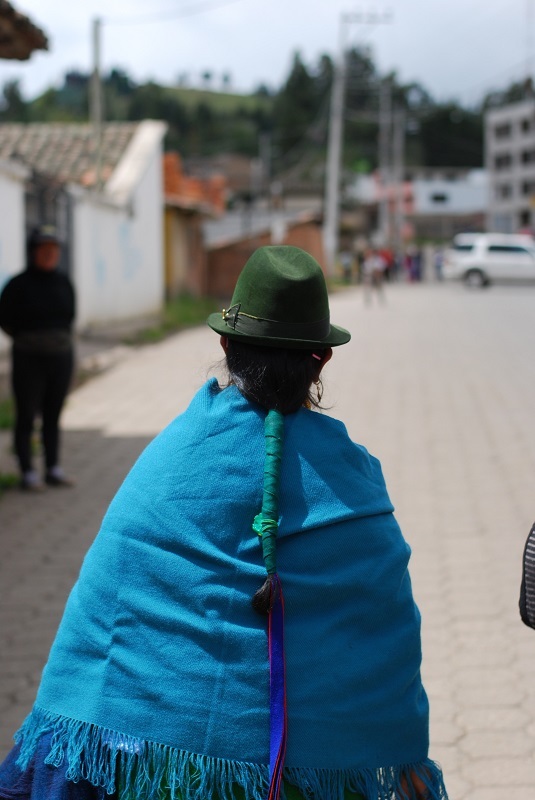 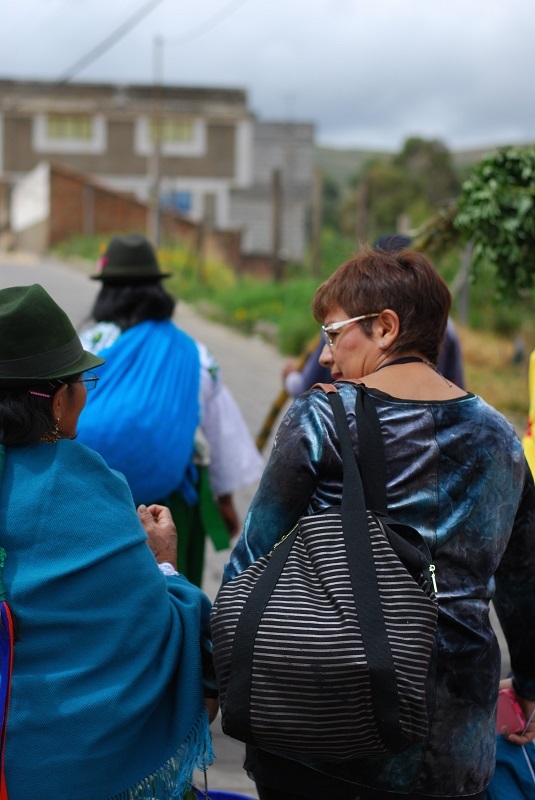 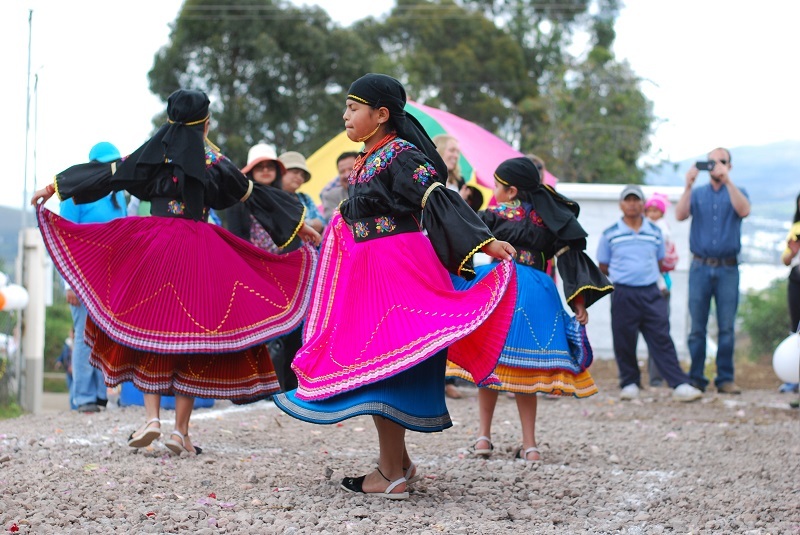 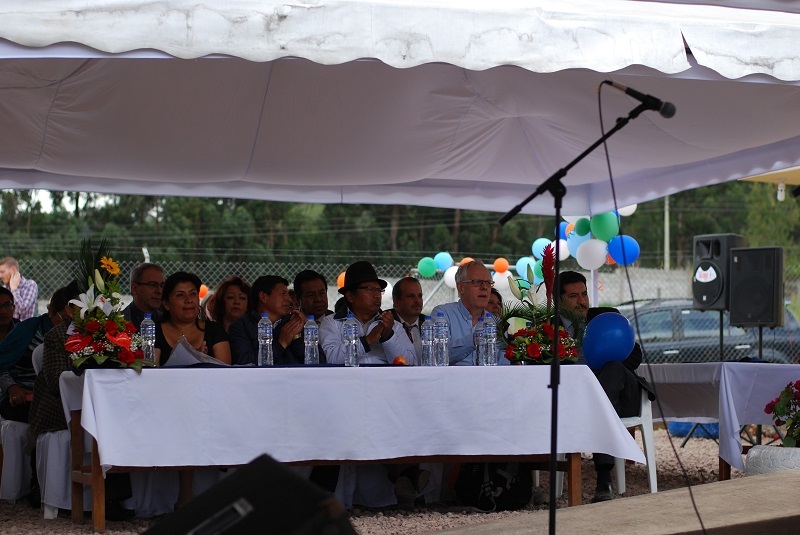 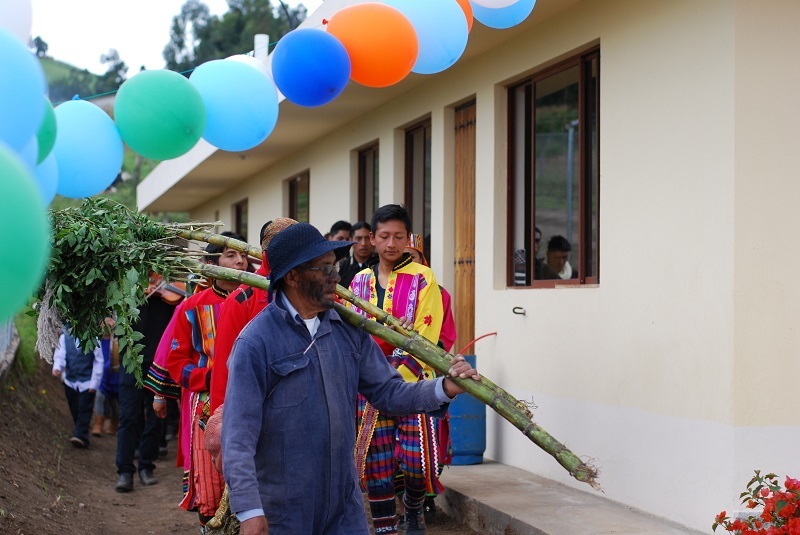 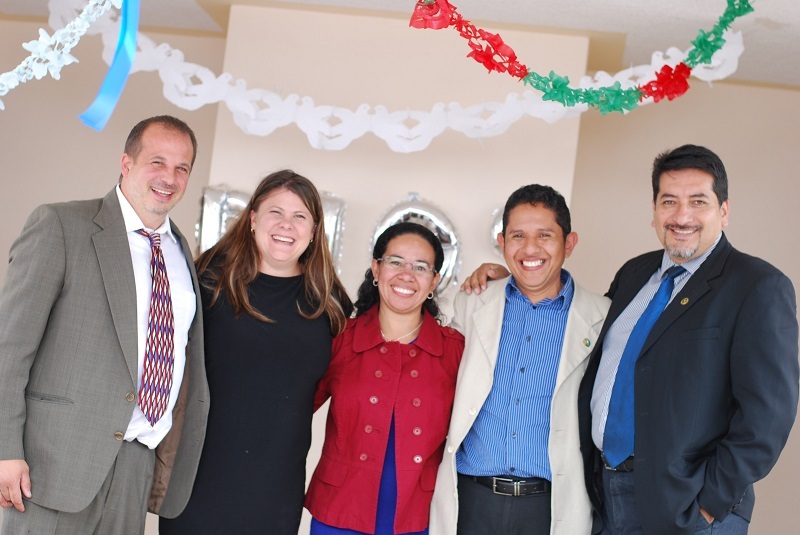 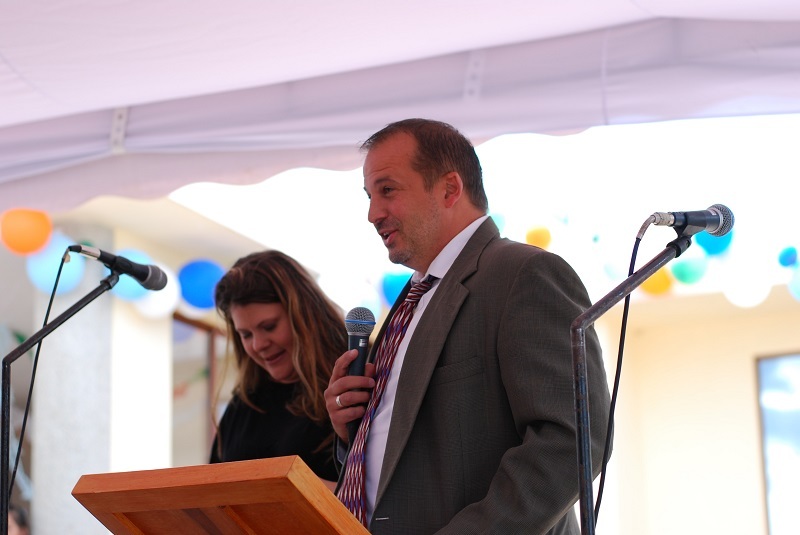 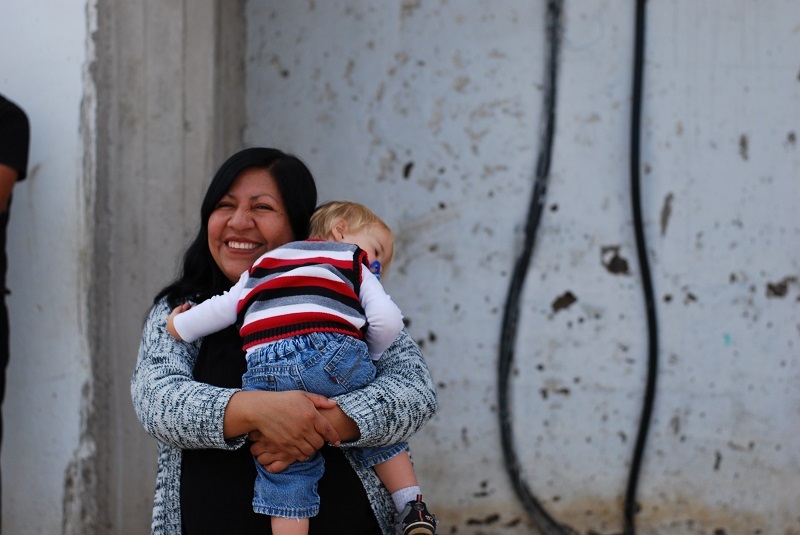 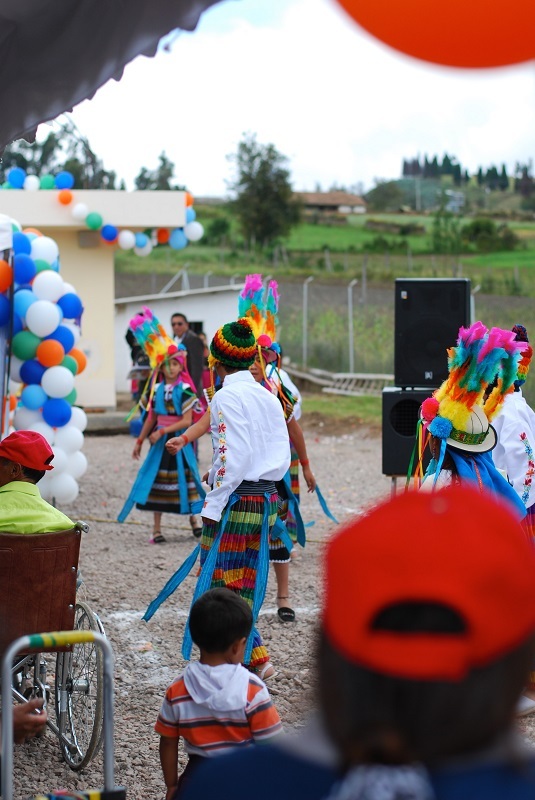 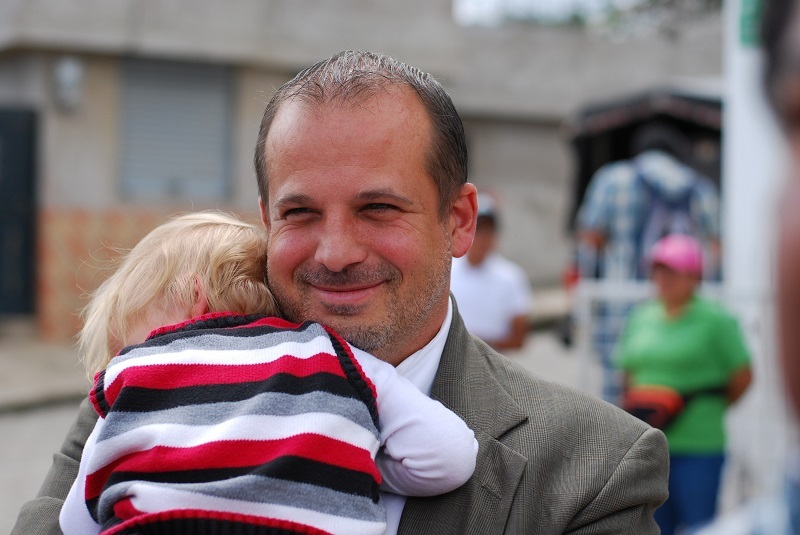 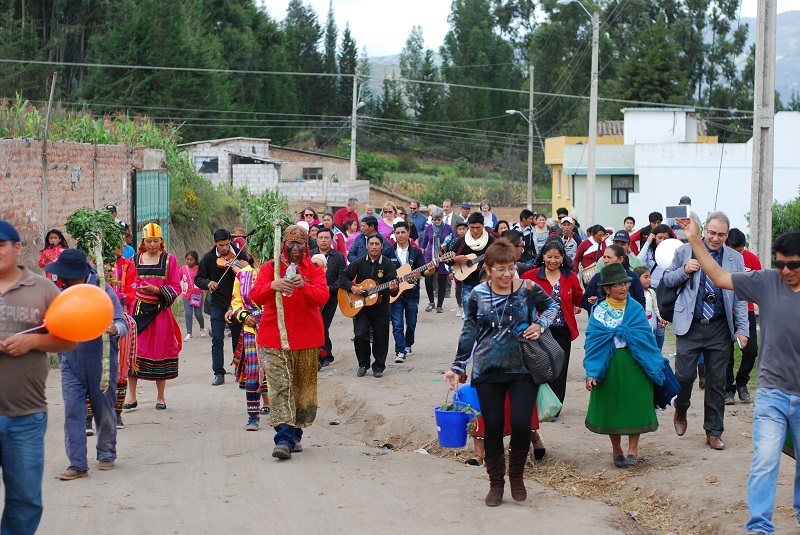 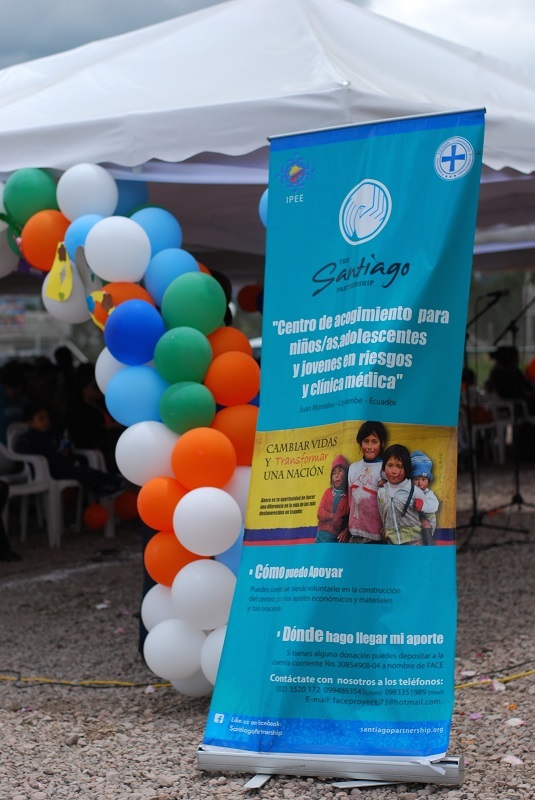 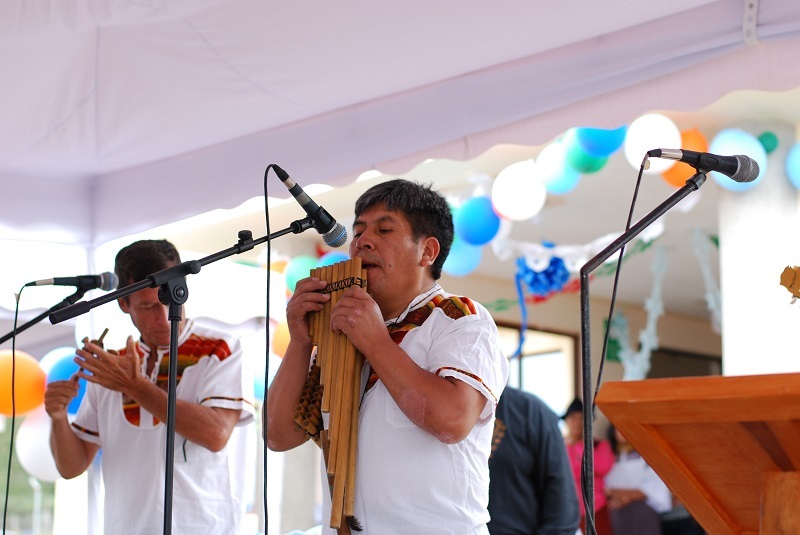 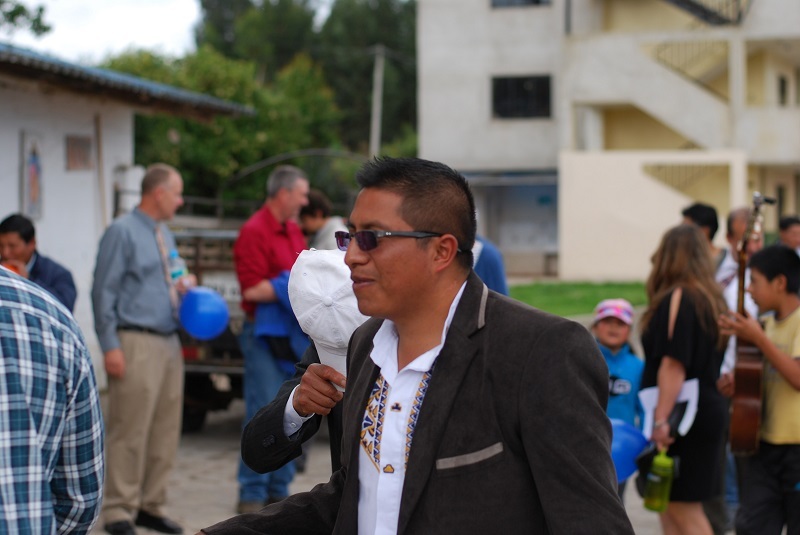 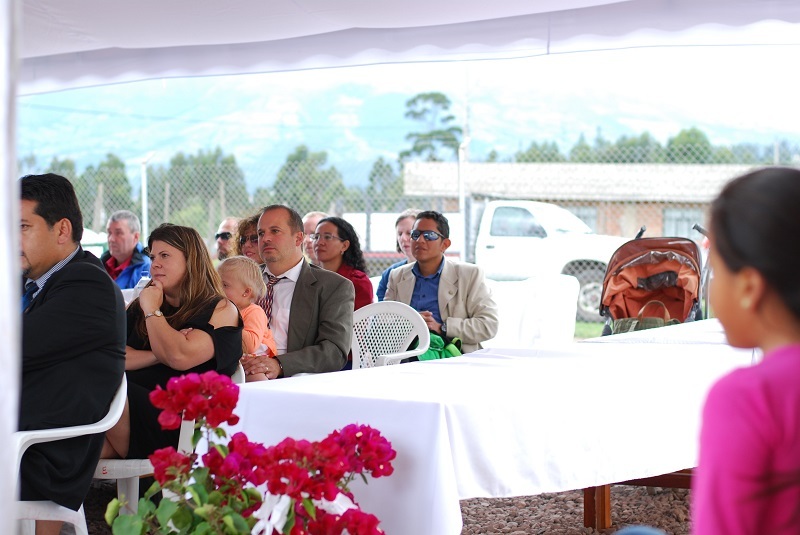 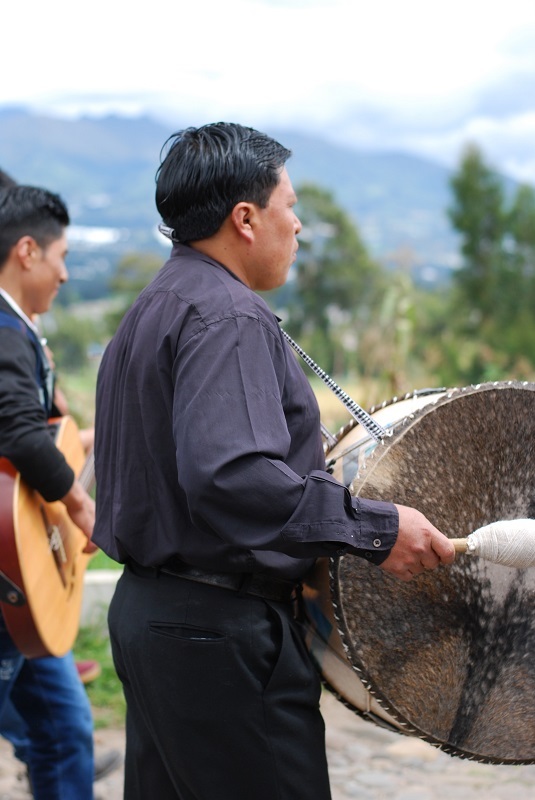 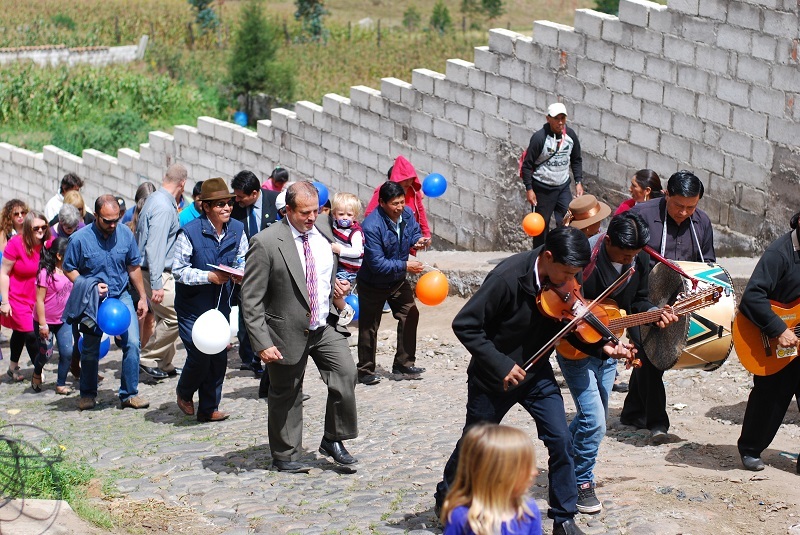 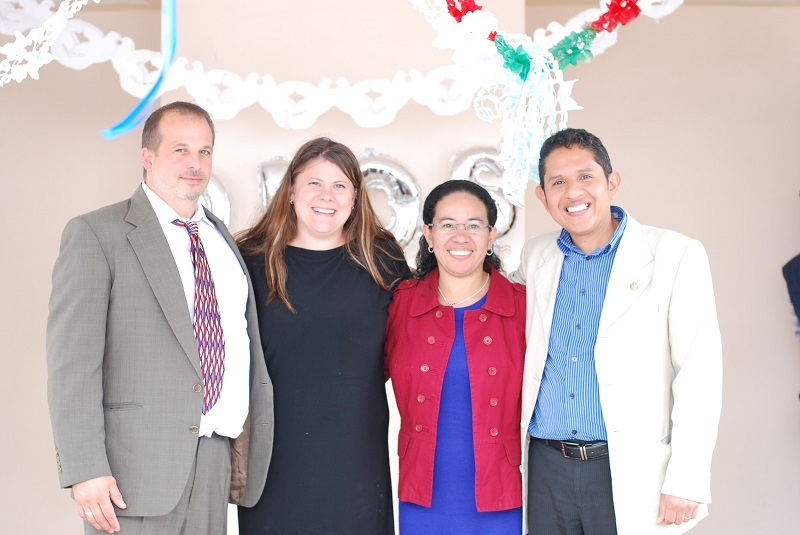 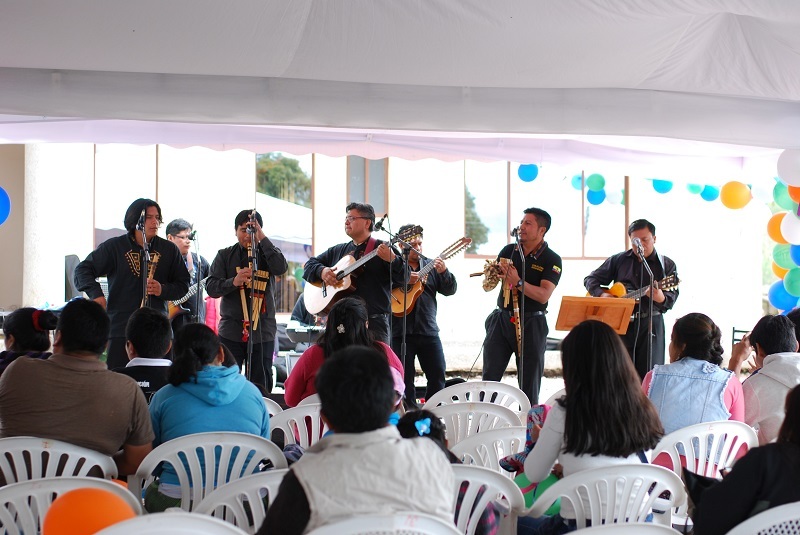 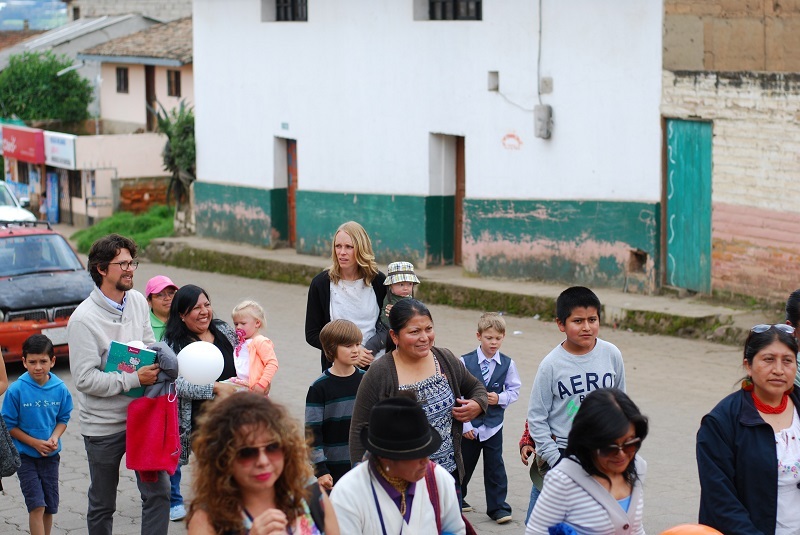 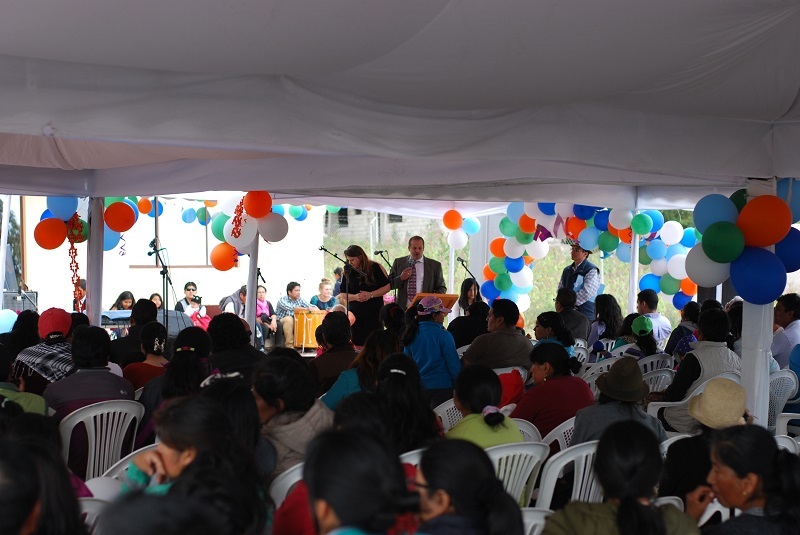 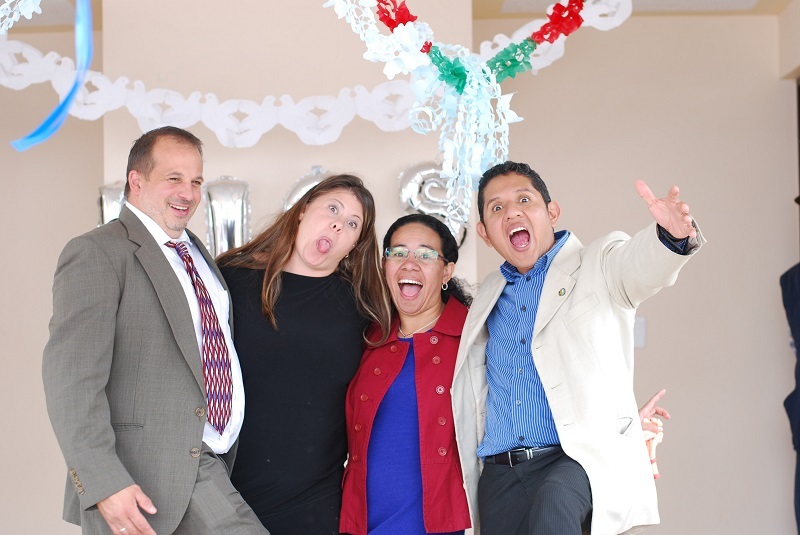 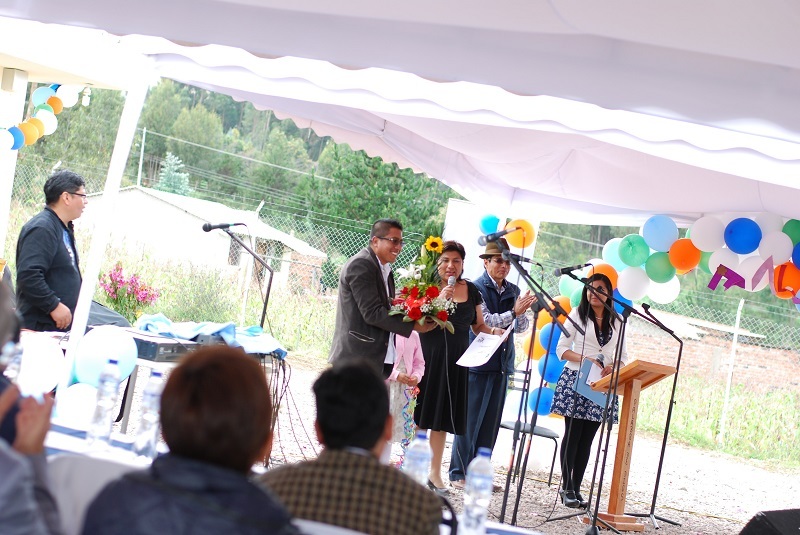 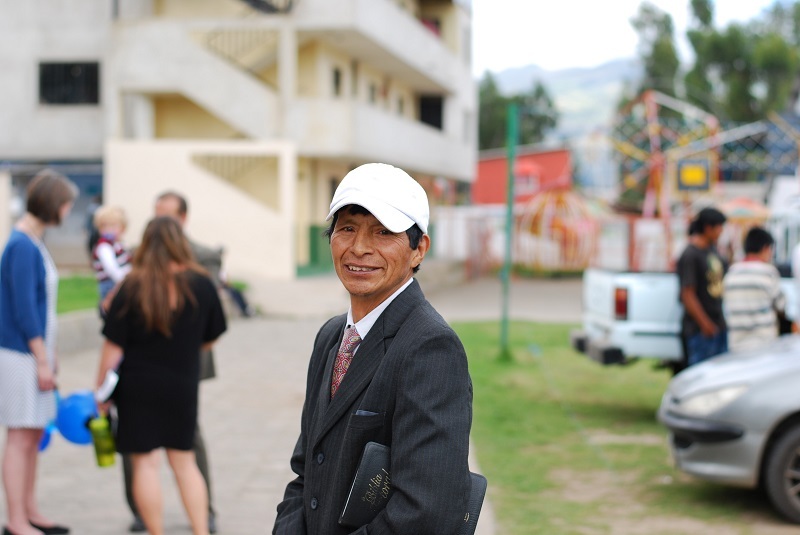 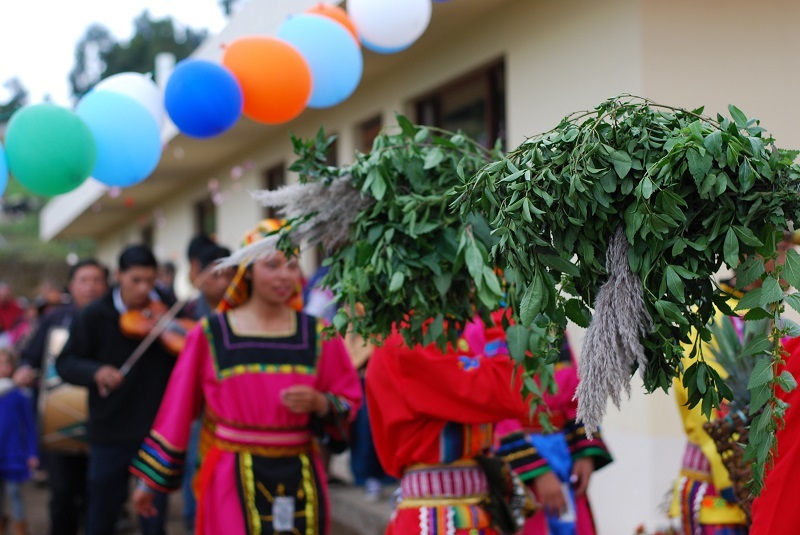 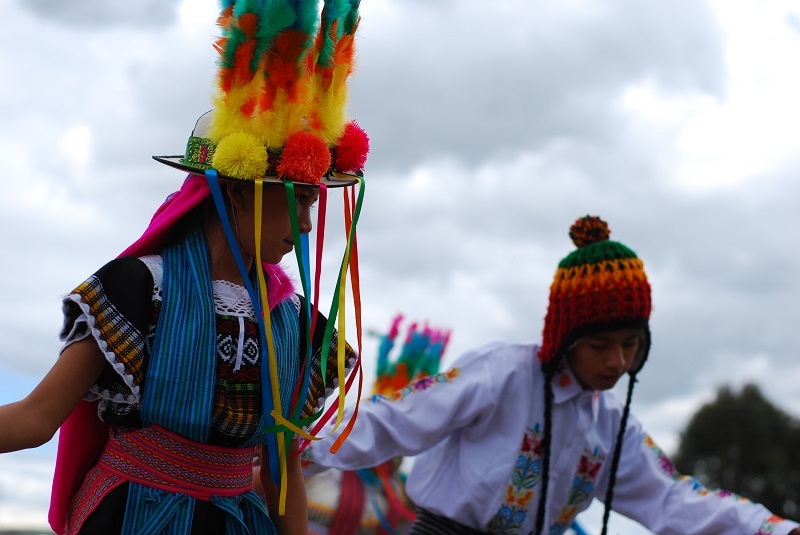 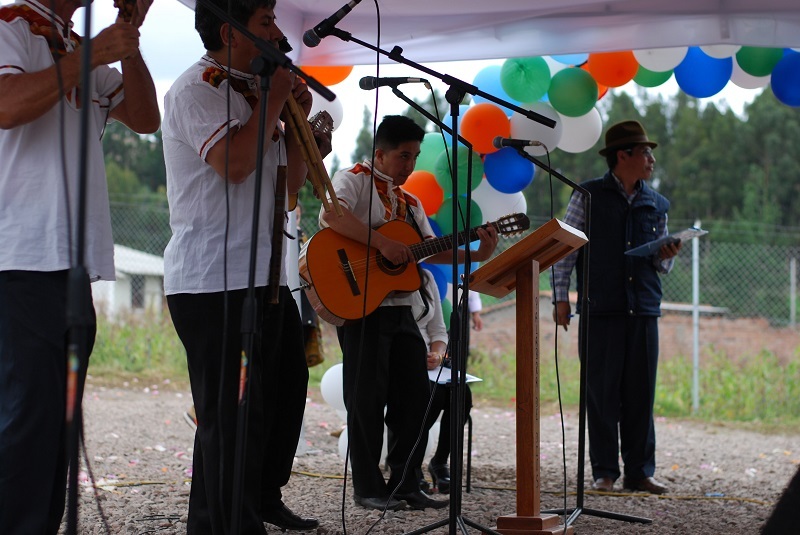 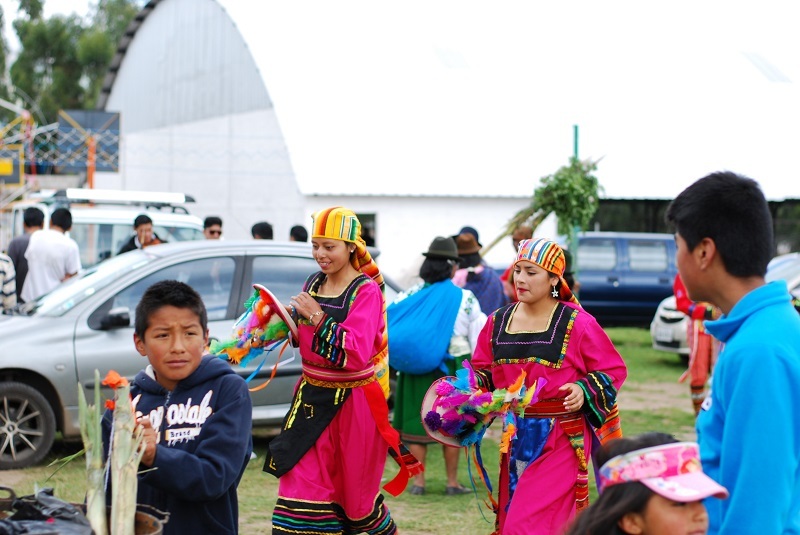 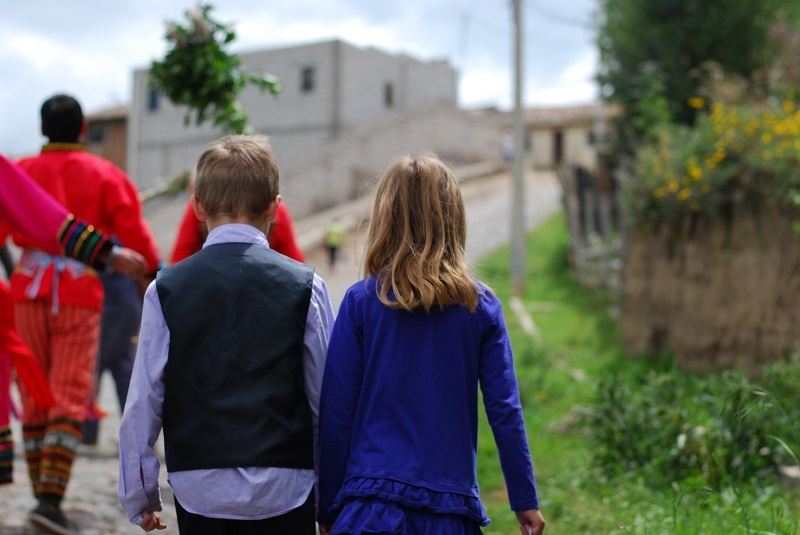 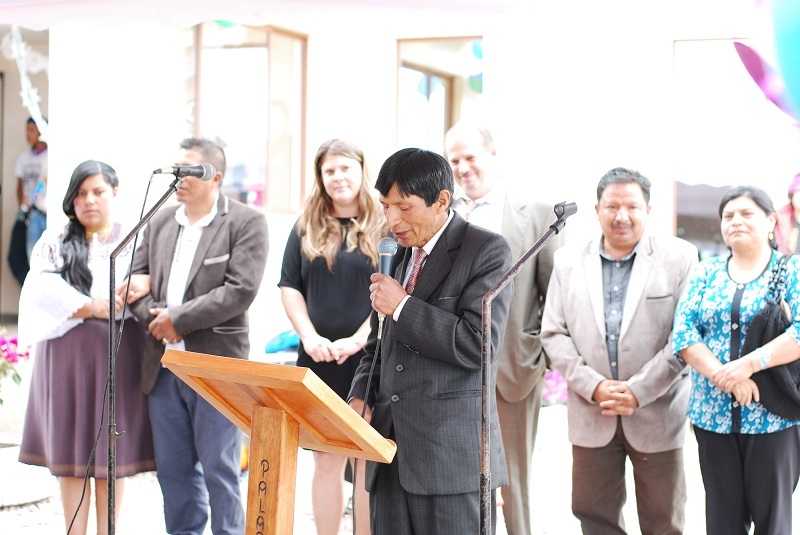 On Saturday, April 29th the Home for At Risk Children in Cayambe, Ecuador was inaugurated! 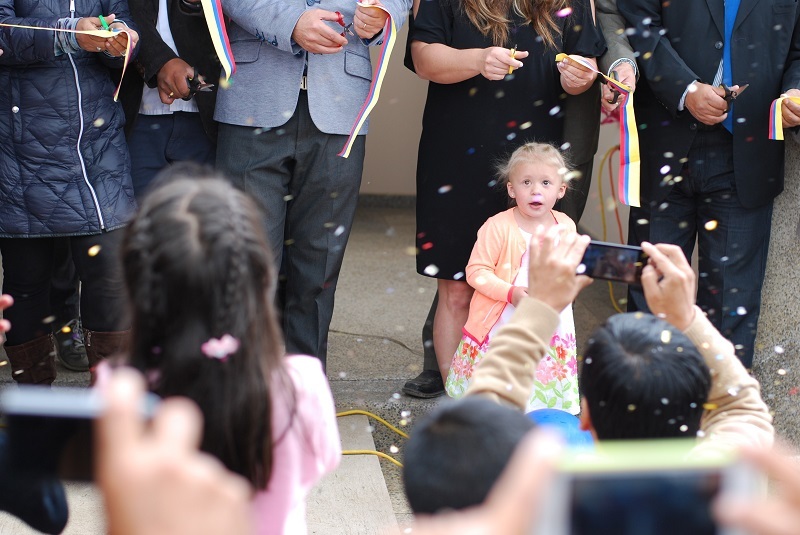 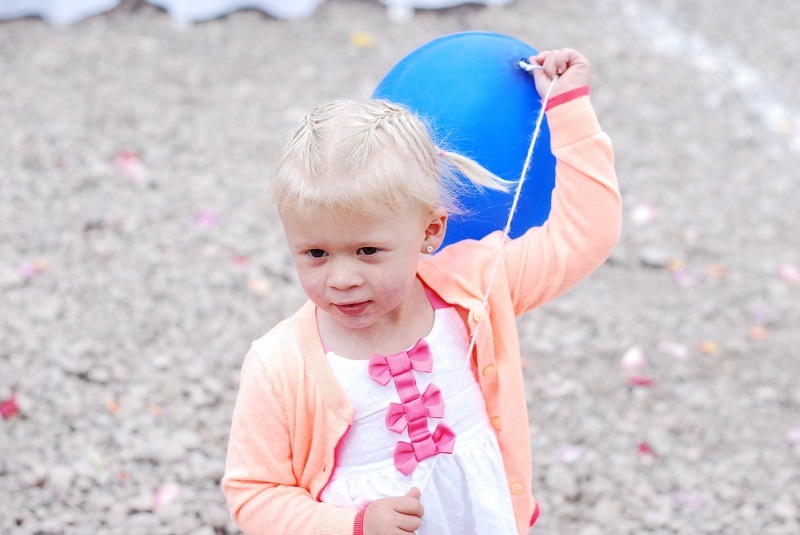 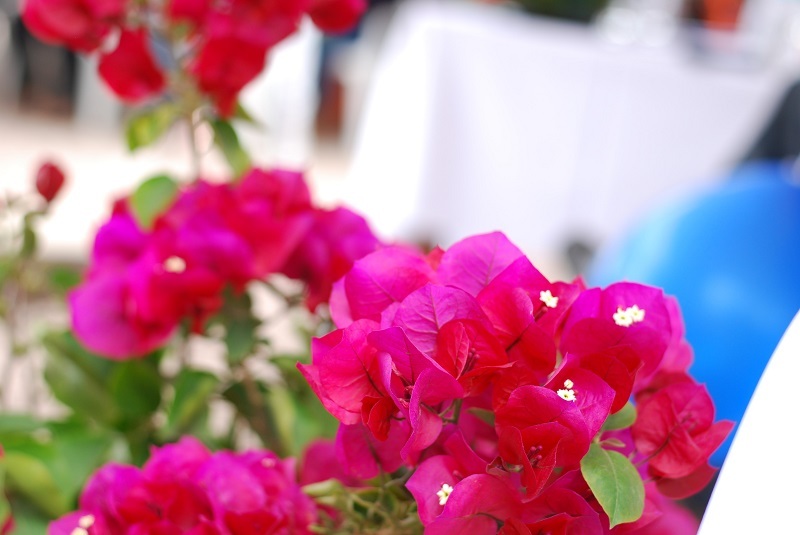 We plan to have the people working in the Home start on May 15th and the Home be open to receive children on May 22nd. 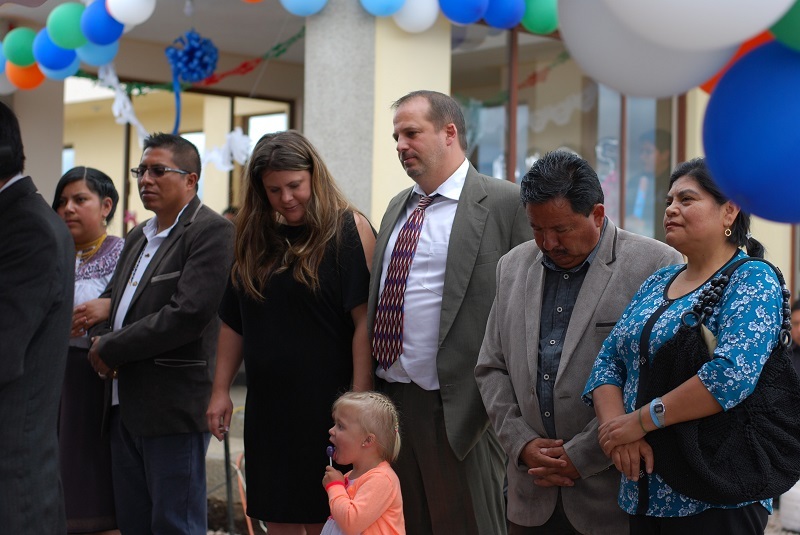 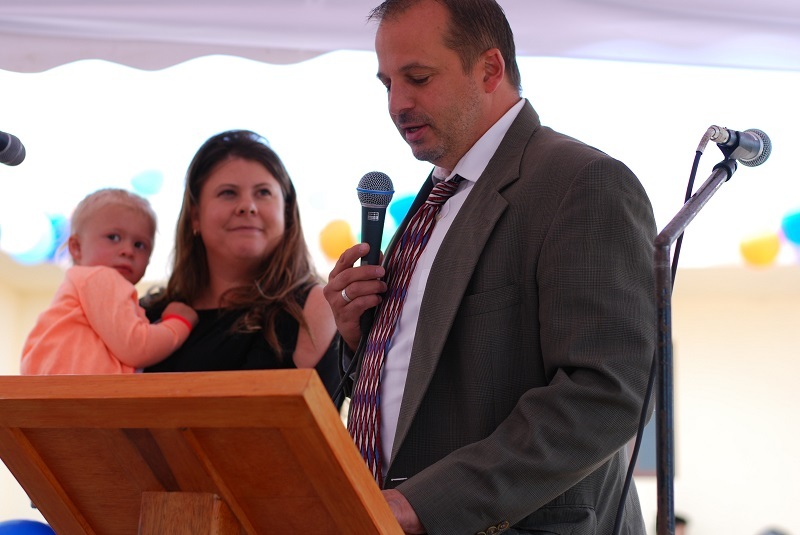 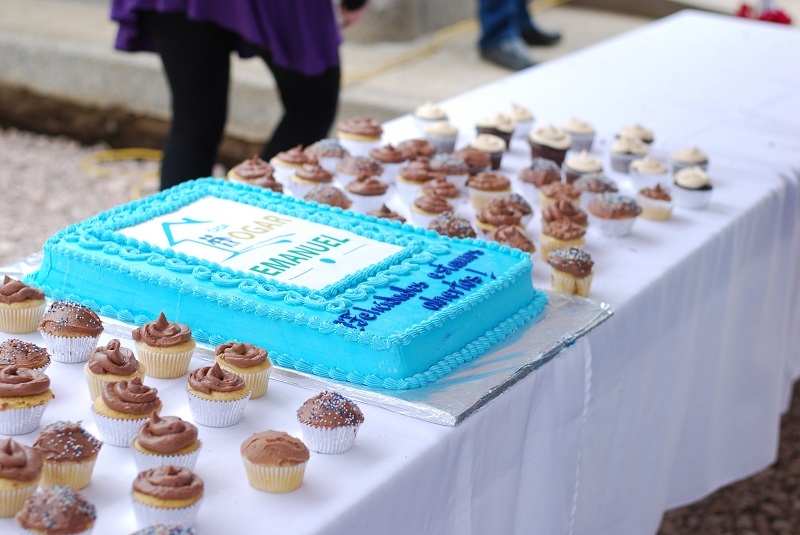 These are pictures from Saturday of the Ribbon Cutting Ceremony and the Prayer of Dedication for the Home. 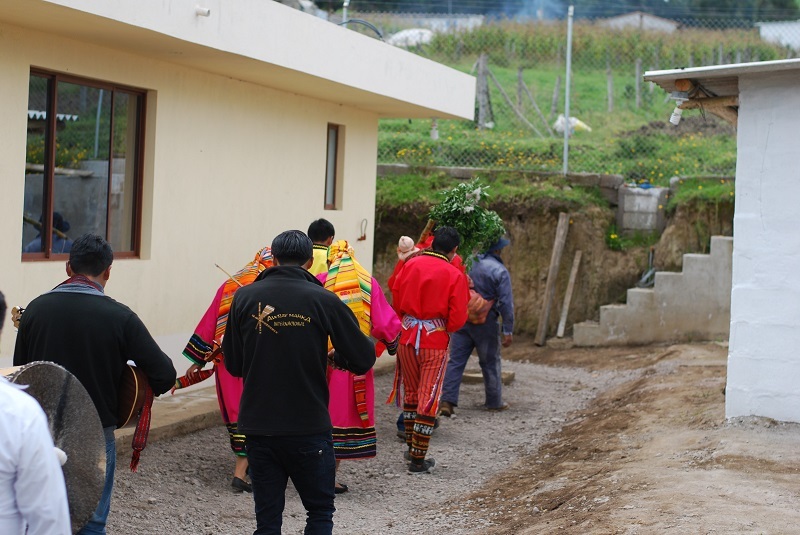 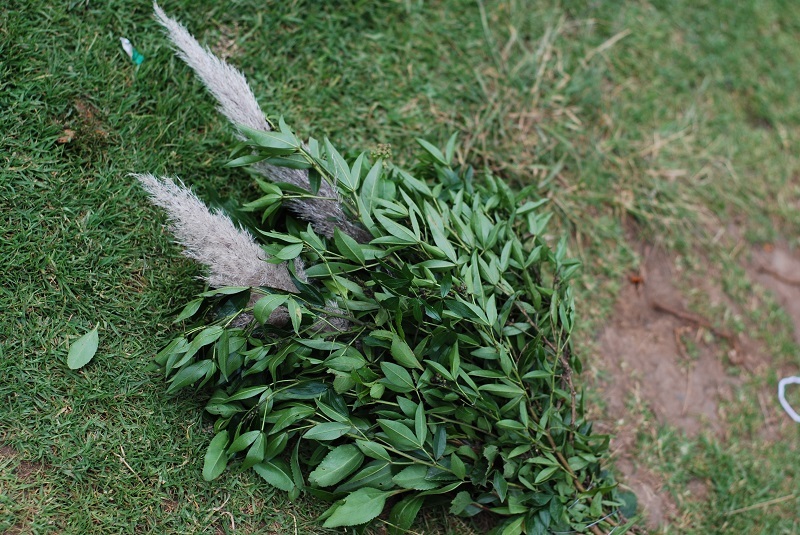 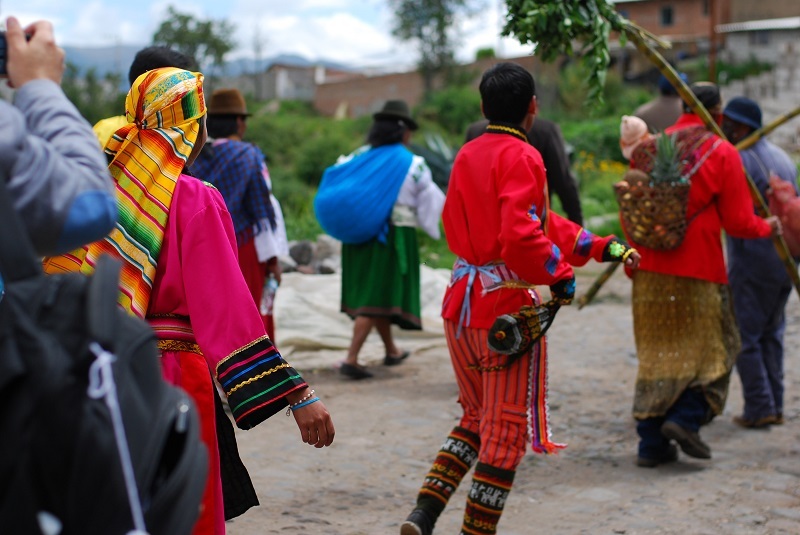 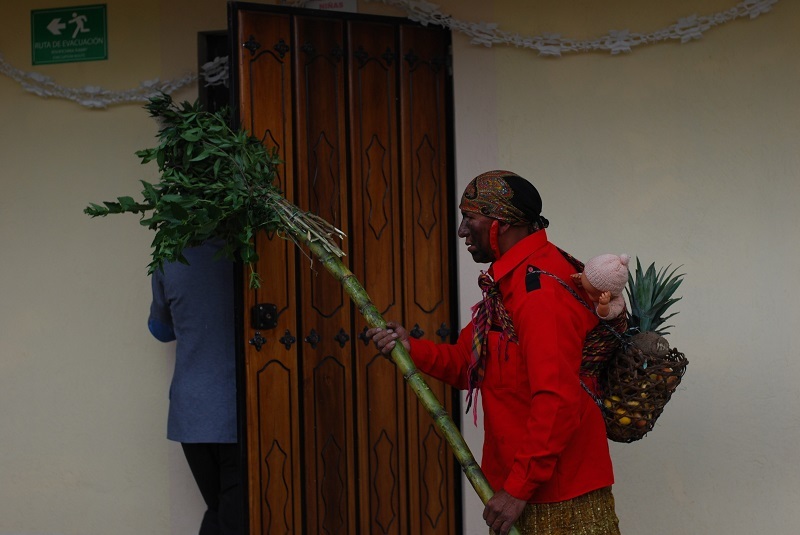 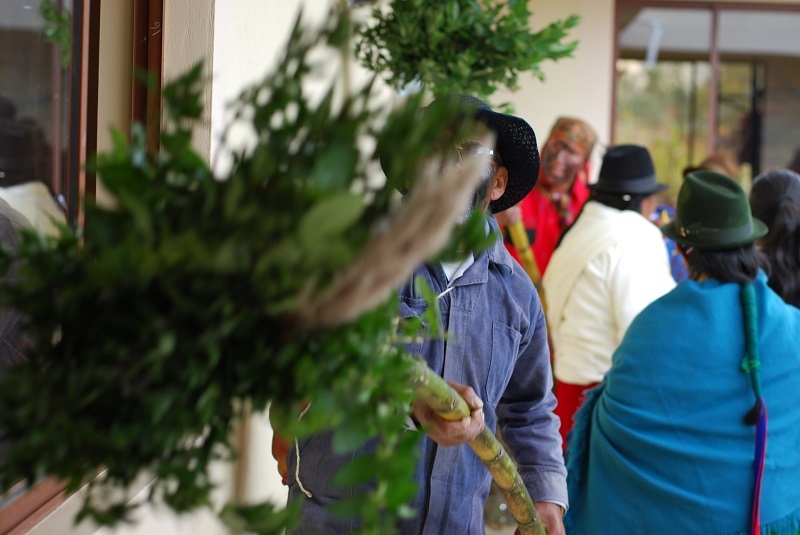 Our ceremony started by forming a parade to reenact a traditional Kichwa House Warming Ceremony called “Huasipichai” where the house is “cleansed” before people move in. 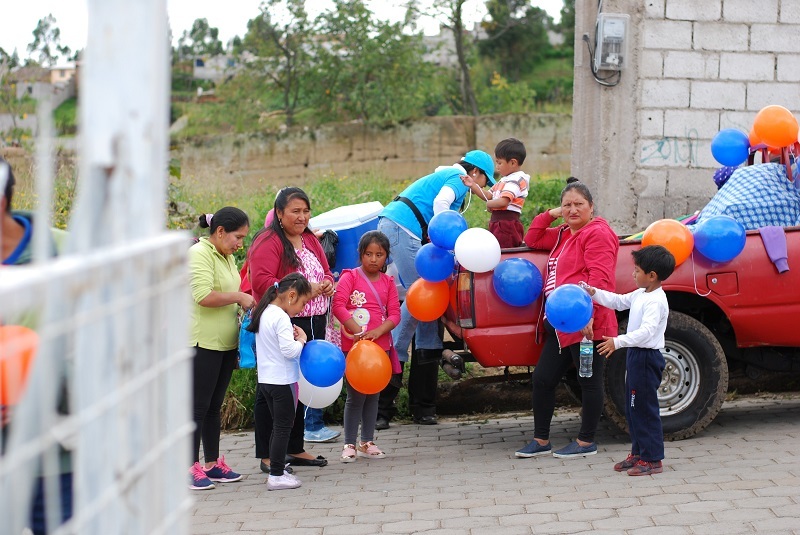 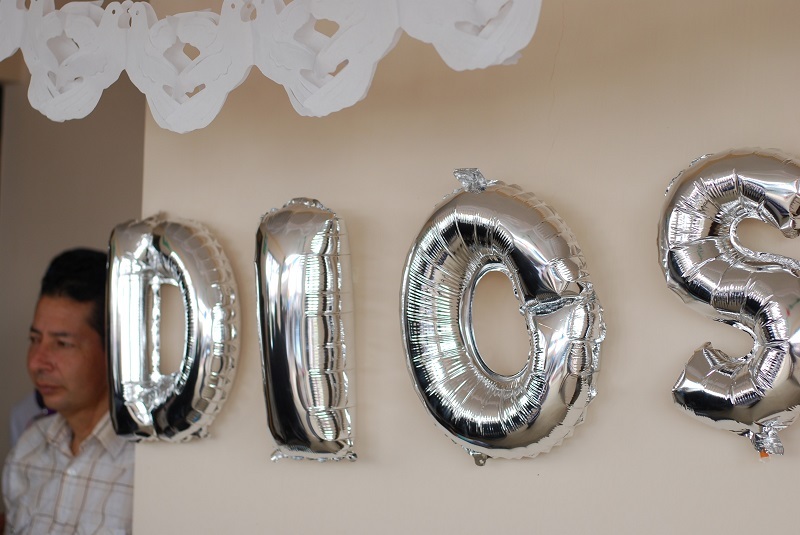 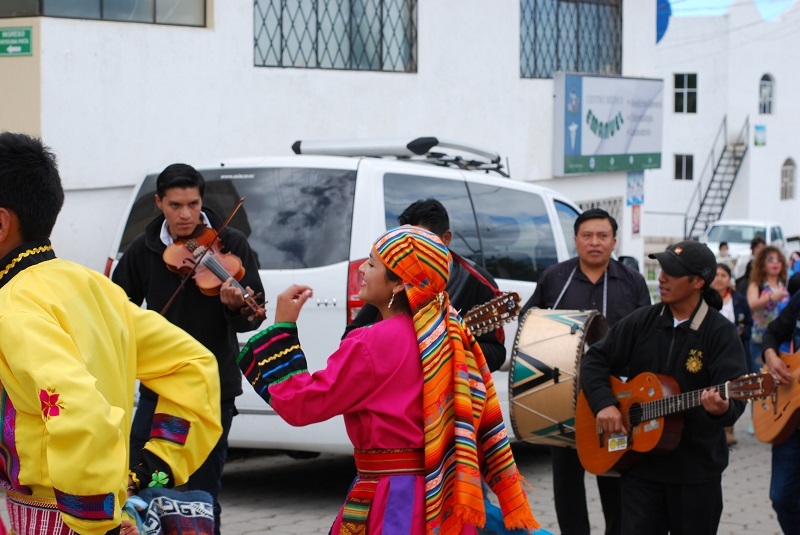 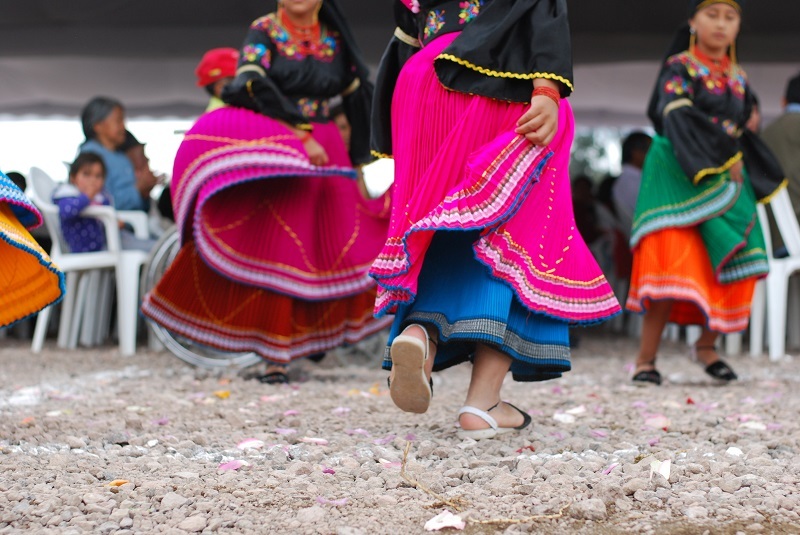 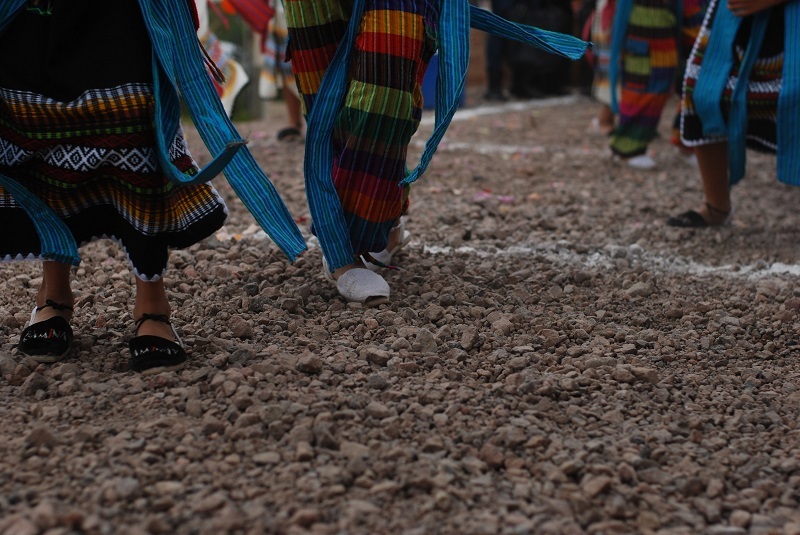 We began our parade with balloons, the house cleaners, dancers and a folkloric band as we walked from the Medical Clinic all the way up to the Home for At Risk Children (about a half a mile). 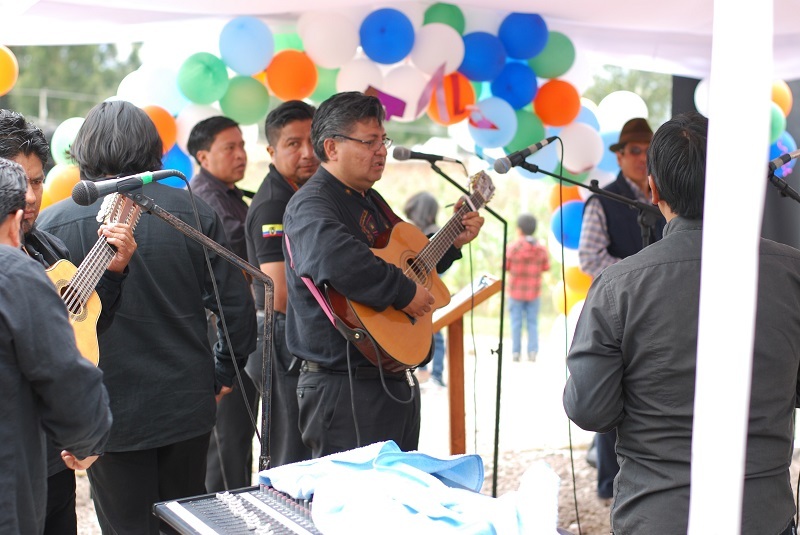 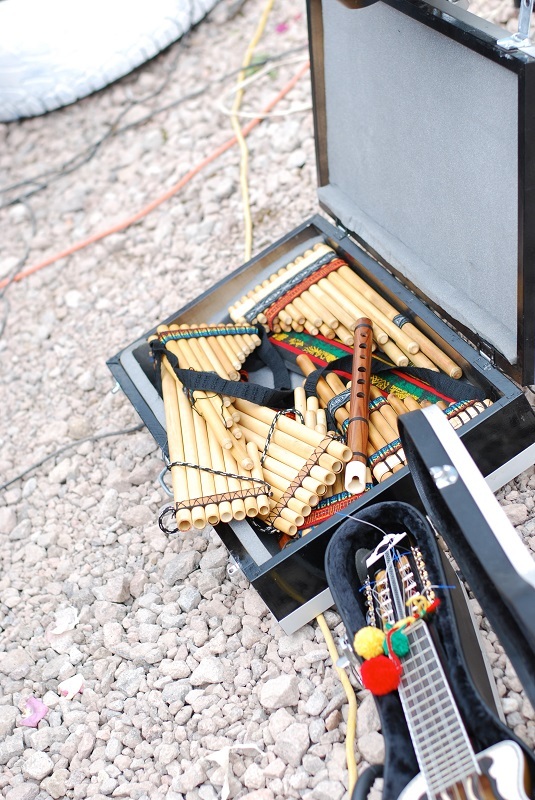 Once we arrived, the house was cleansed and we started the Inauguration with more music. 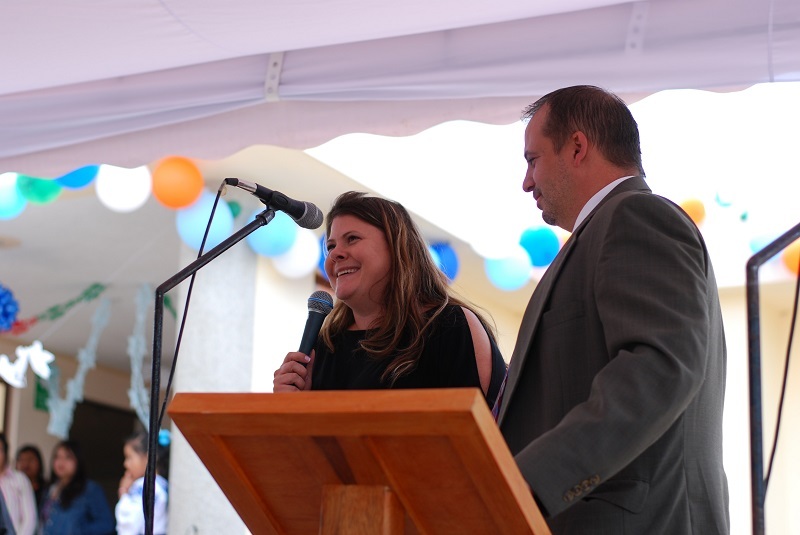 We took time during our ceremony to say a special word of thanks to Erik and Kristina Amundsen as they were completing their missionary service and have help us a ton in the area of agriculture. 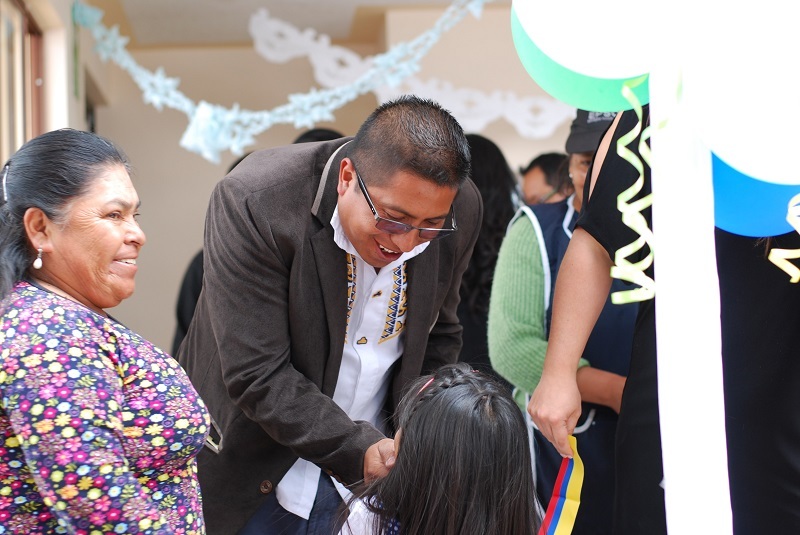 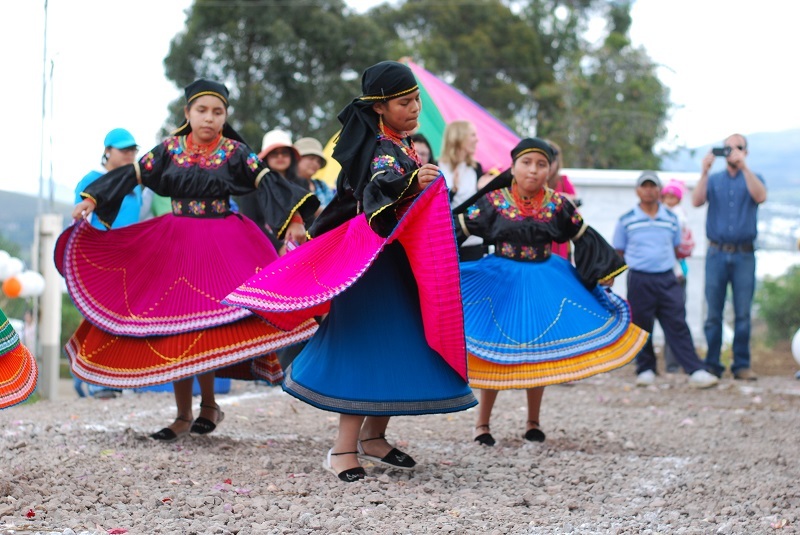 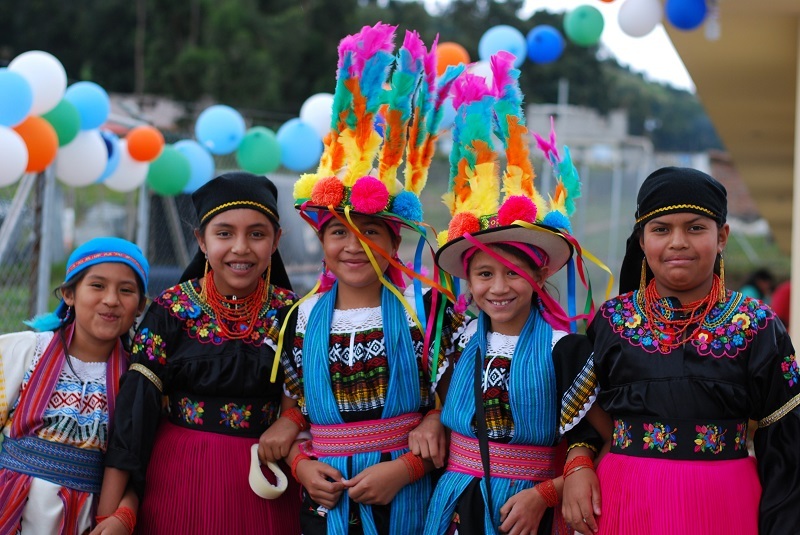 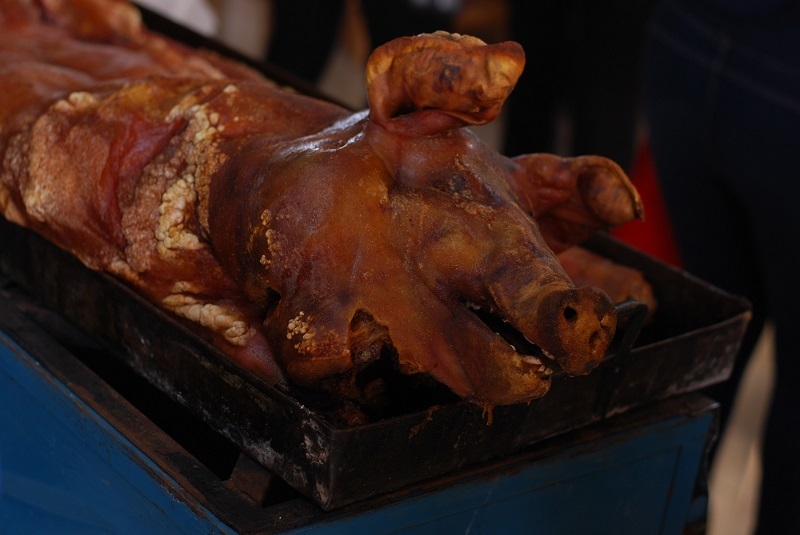 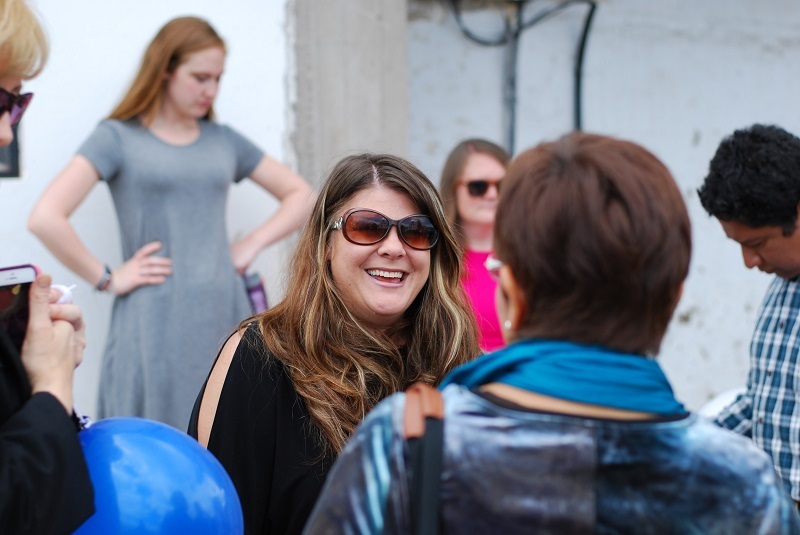 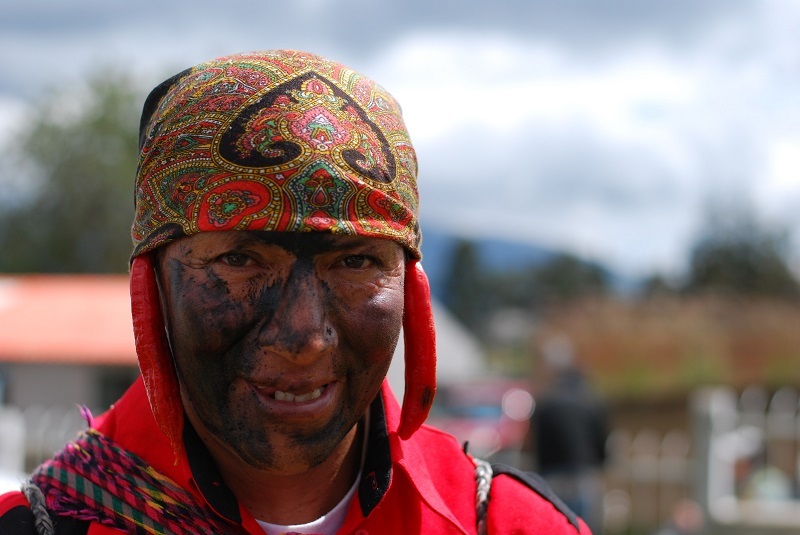 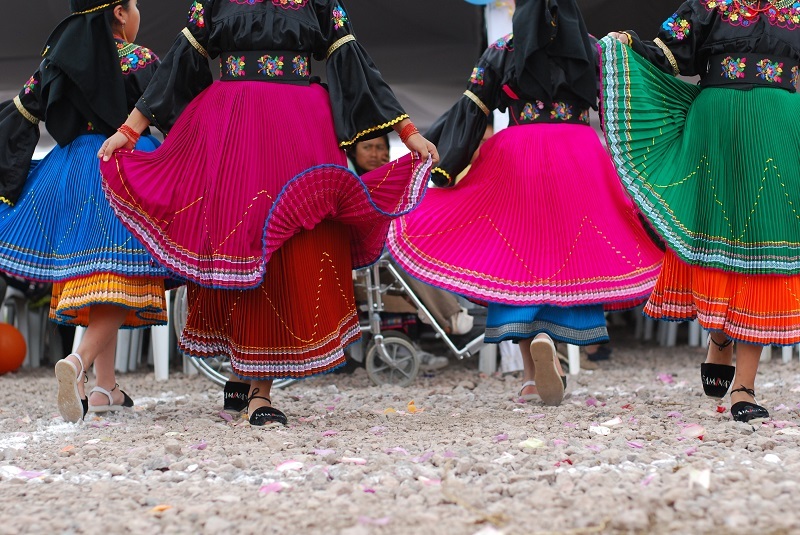 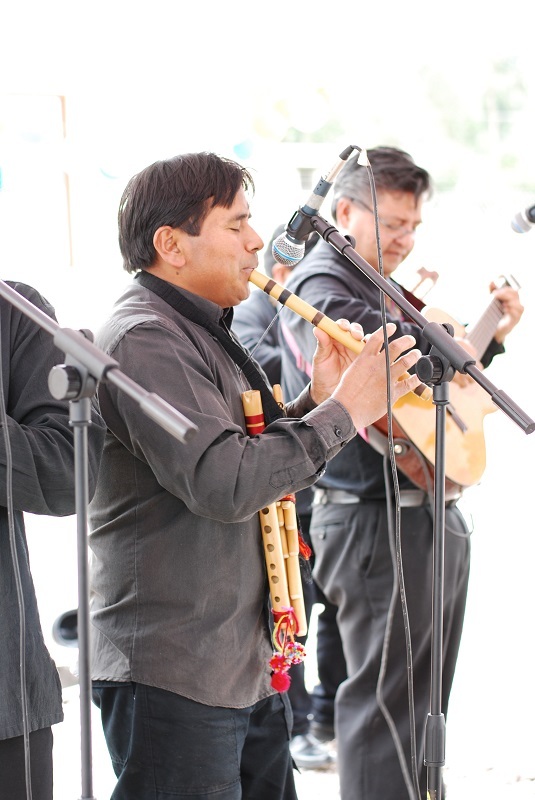 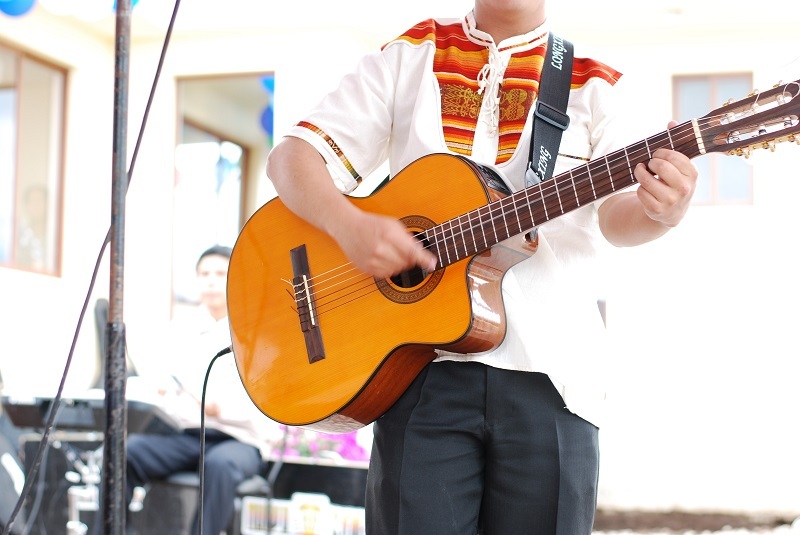 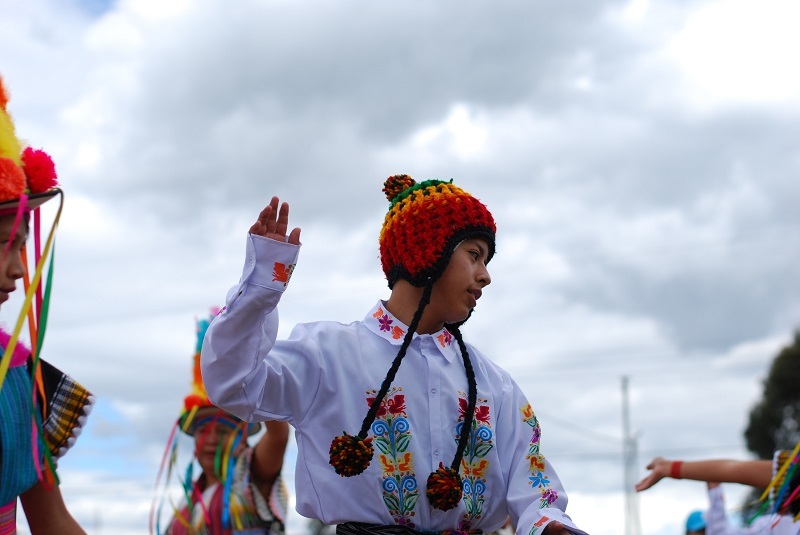 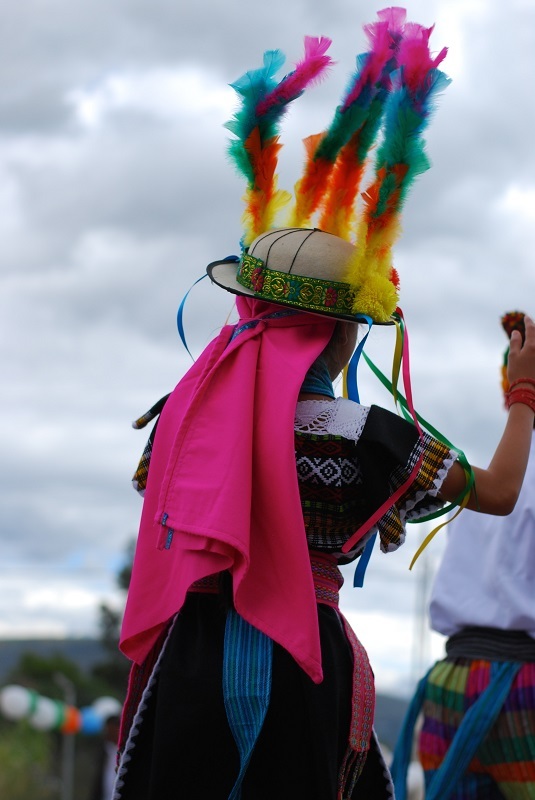 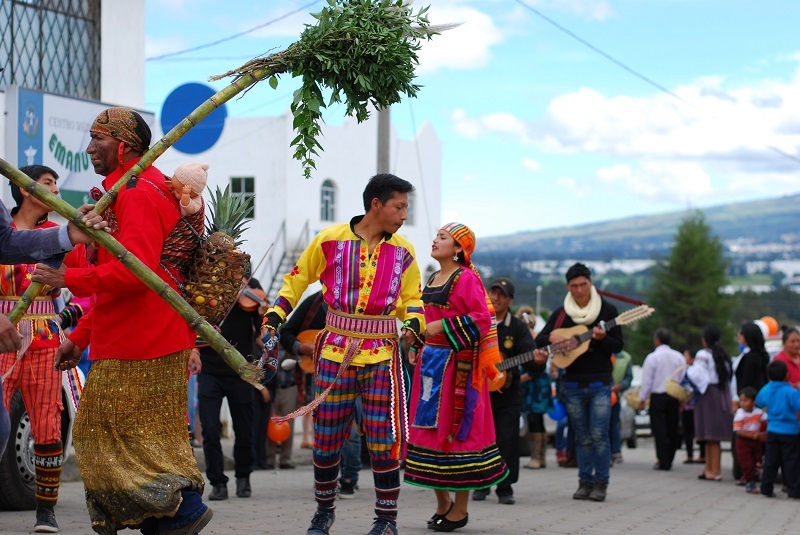 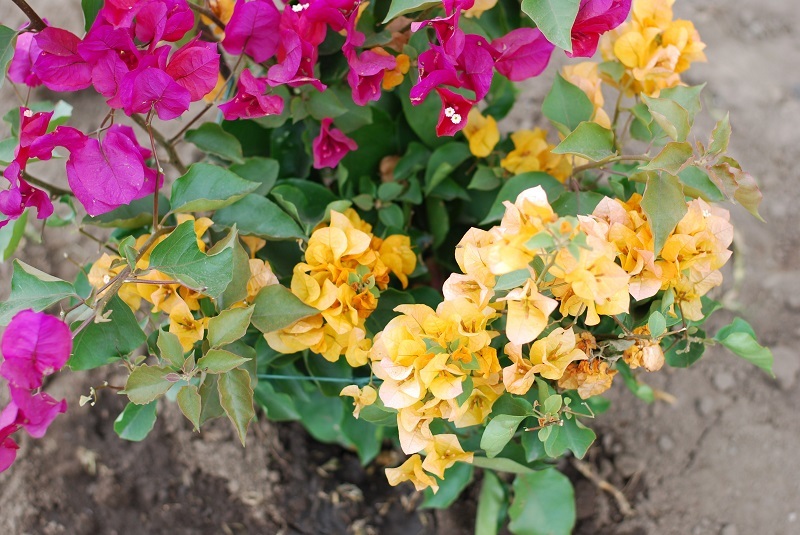 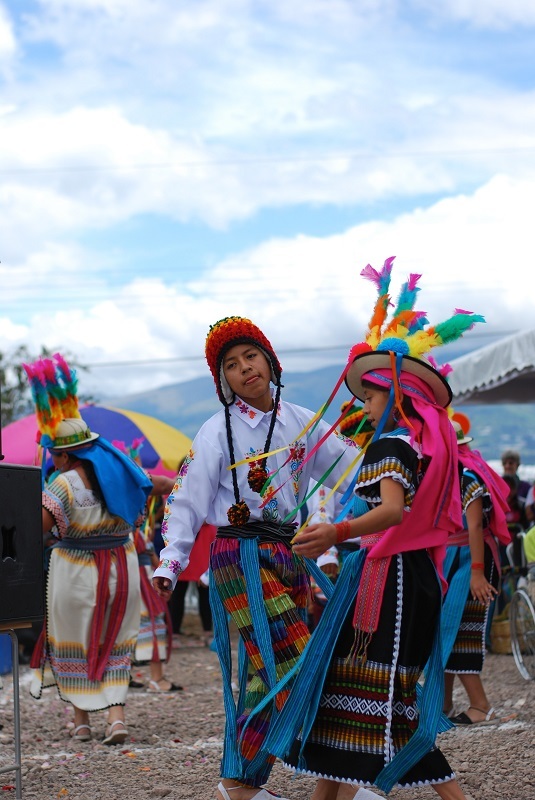 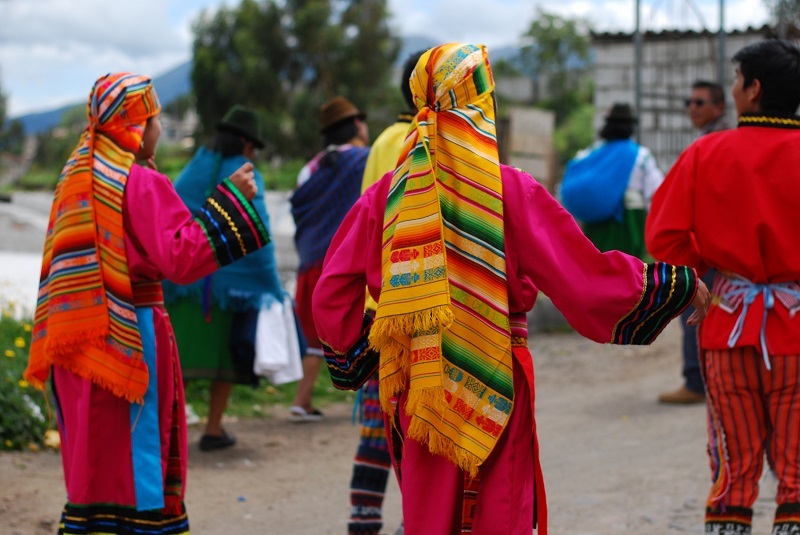 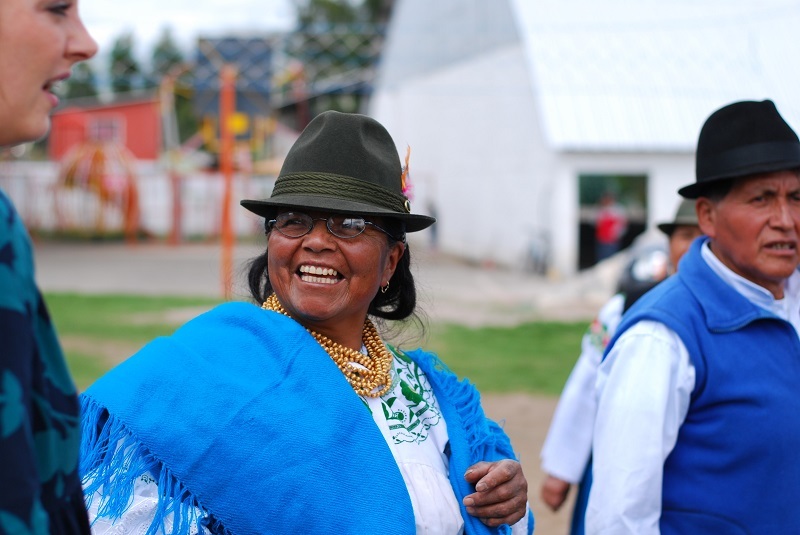 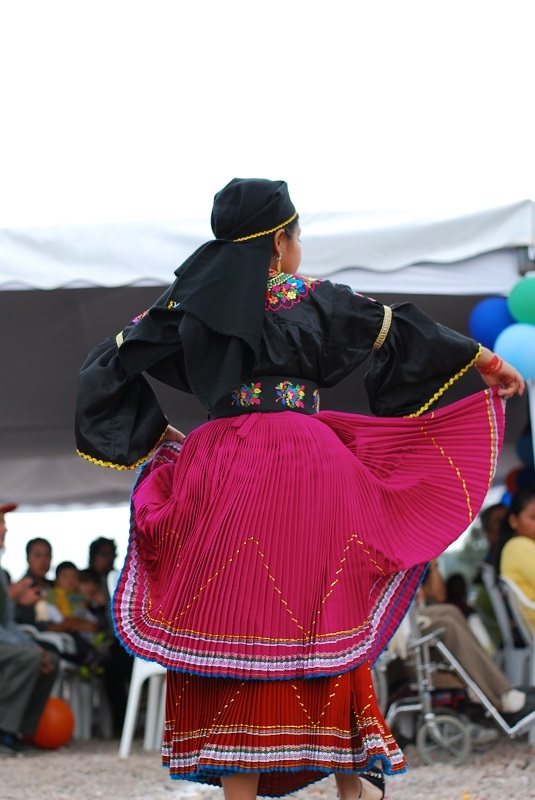 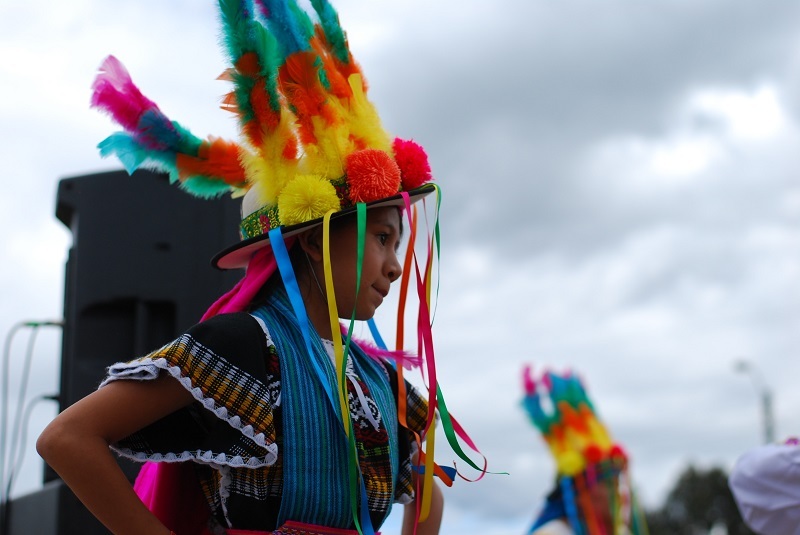 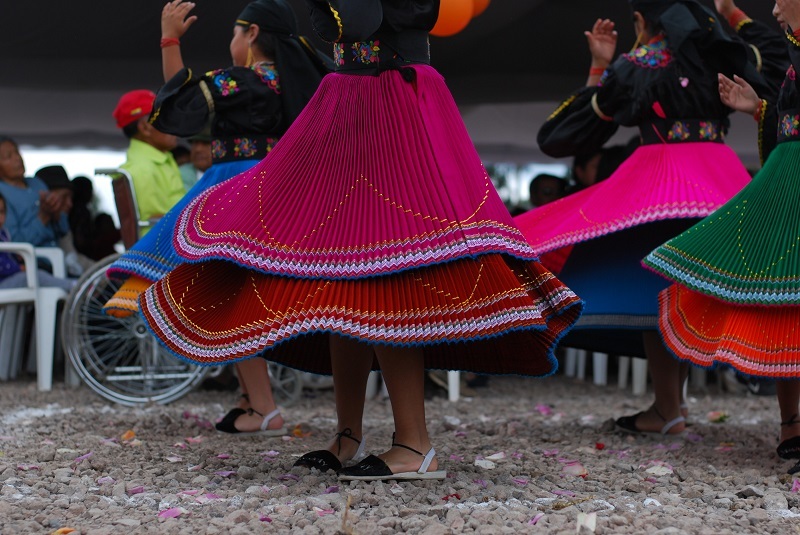 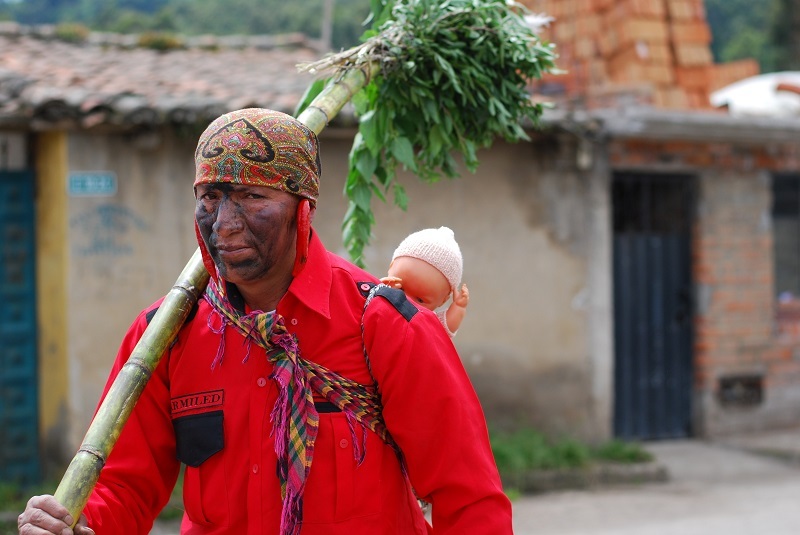 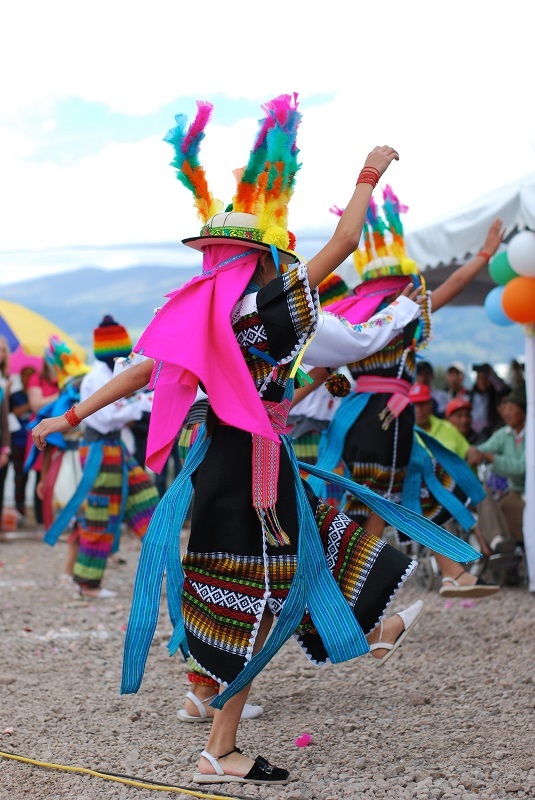 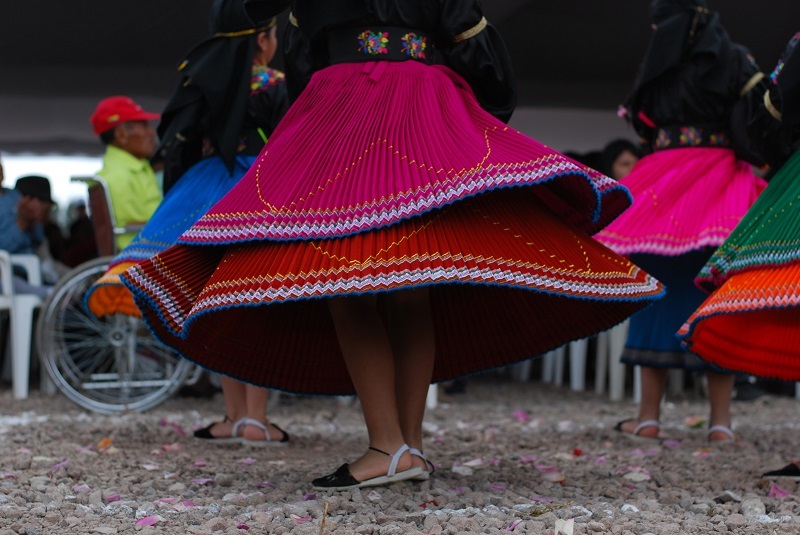 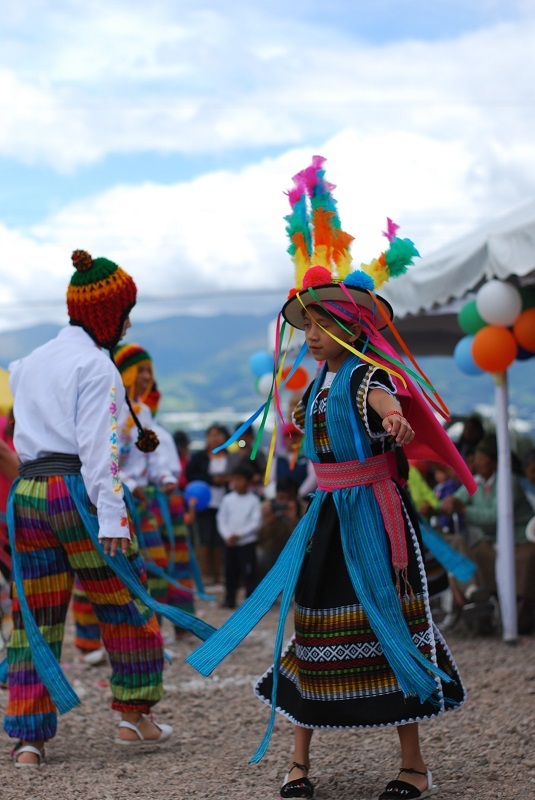 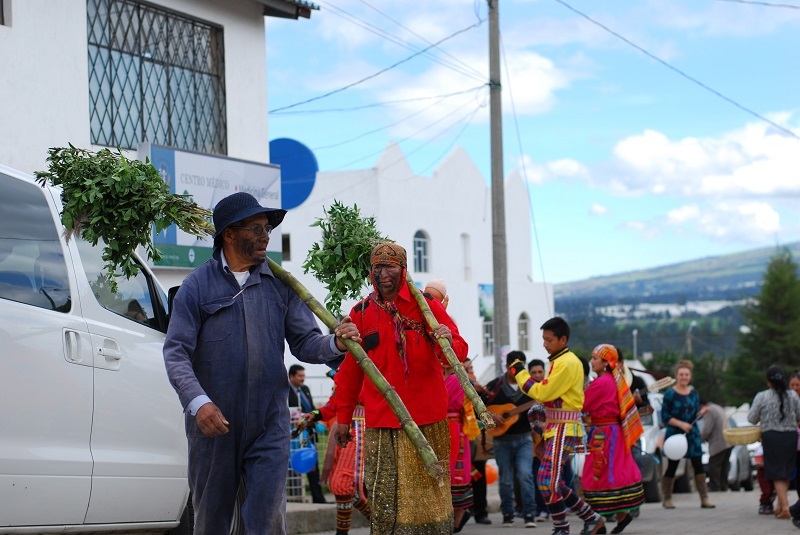 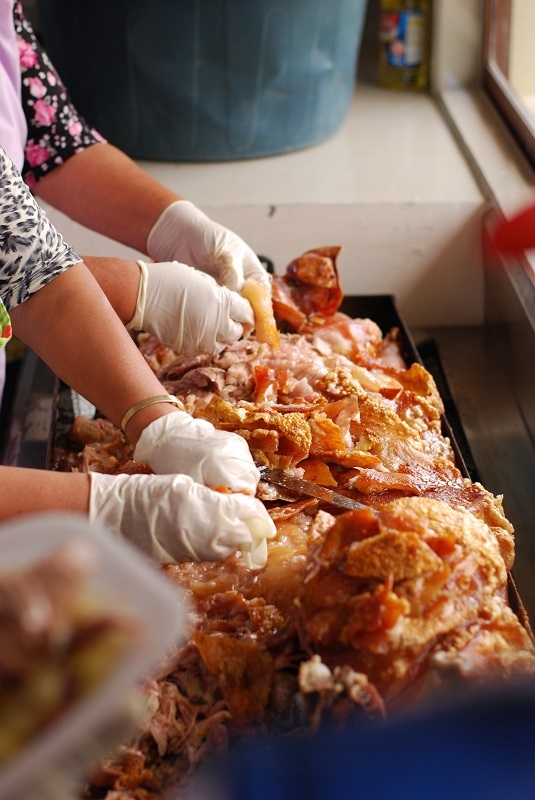 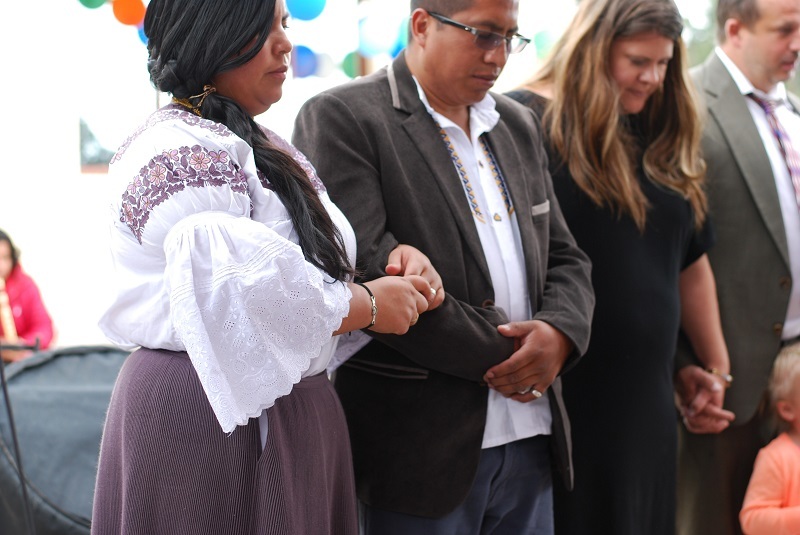 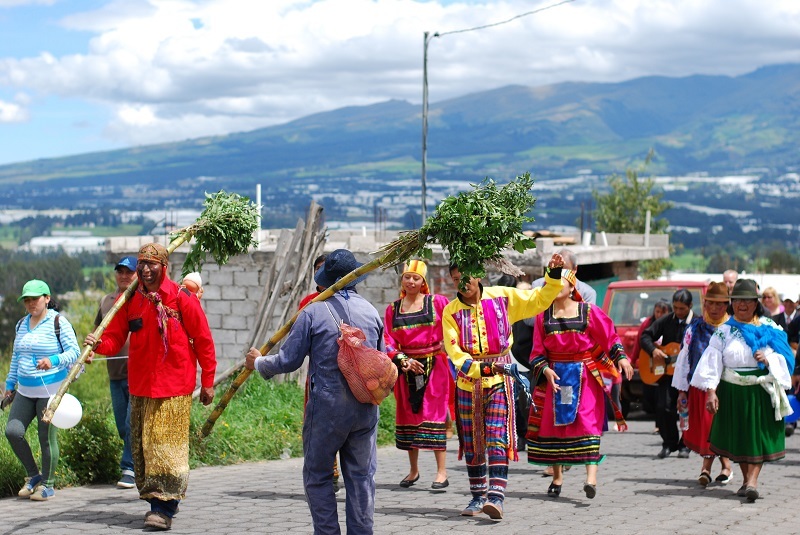 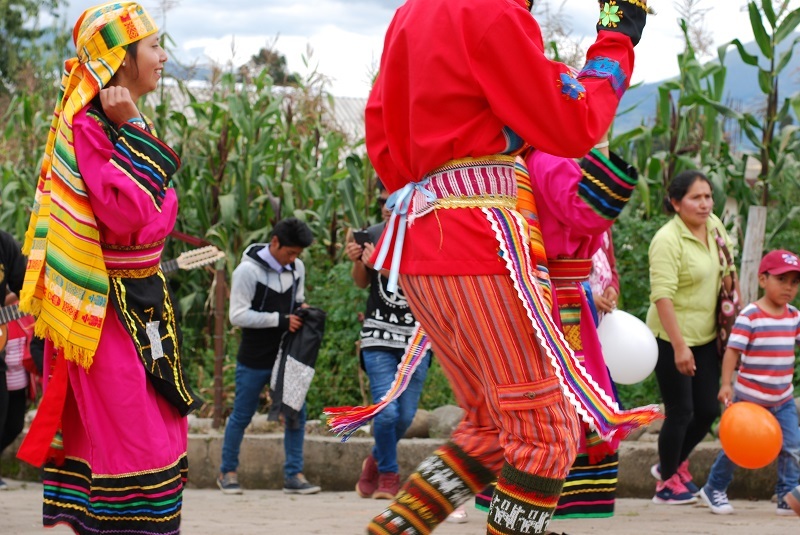 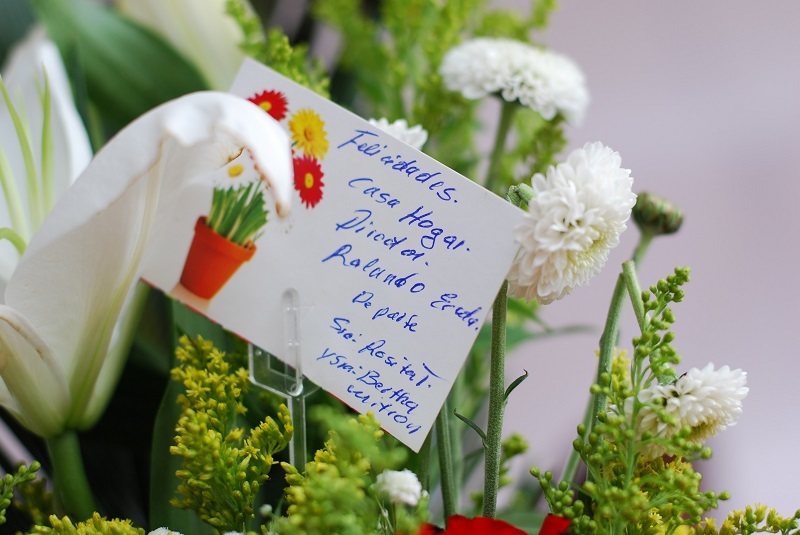 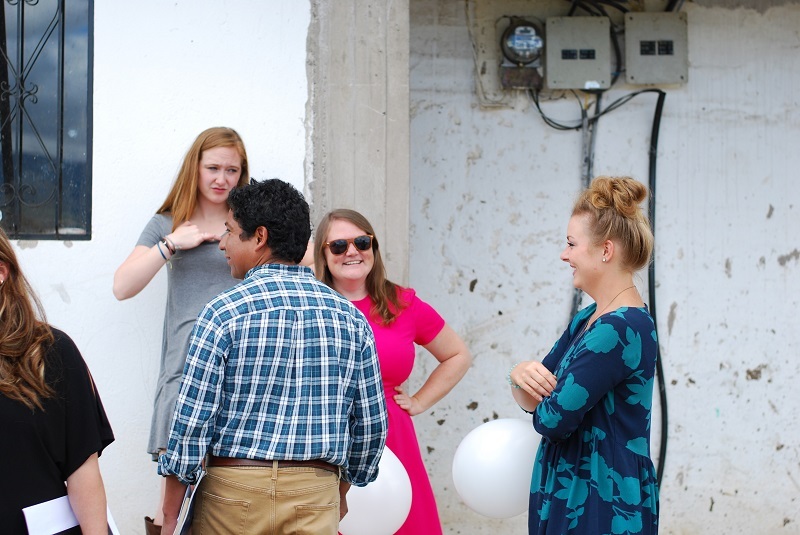 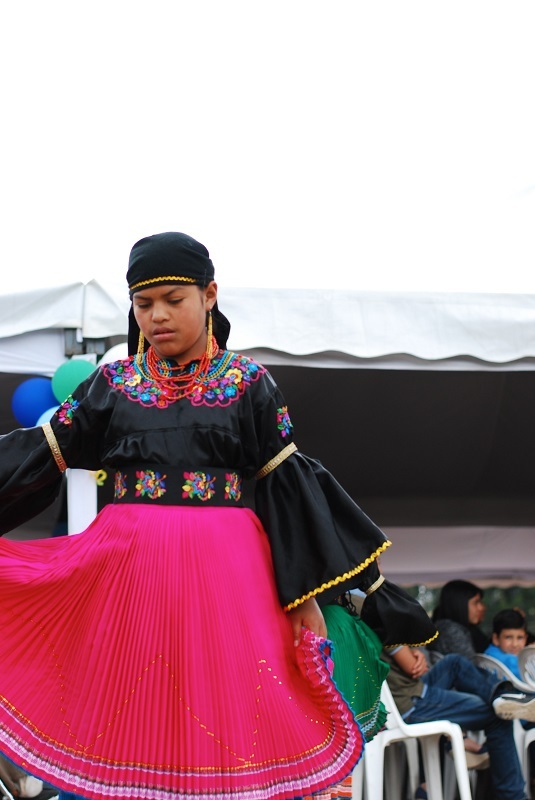 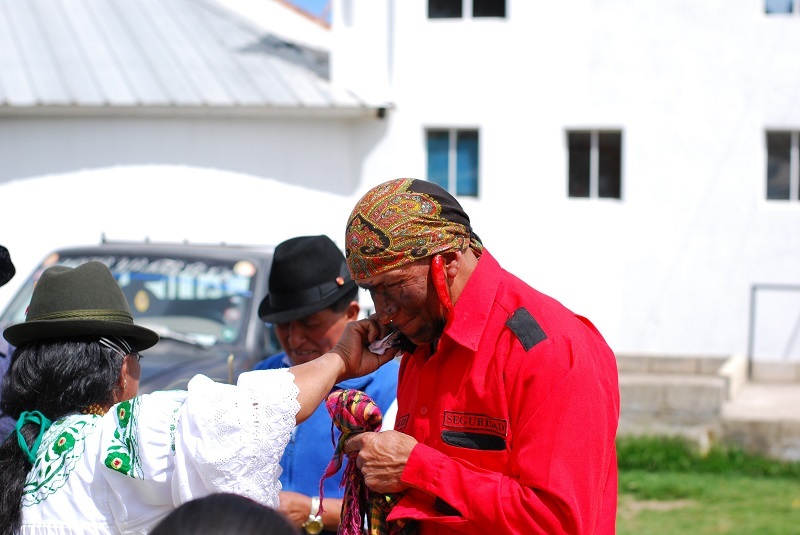 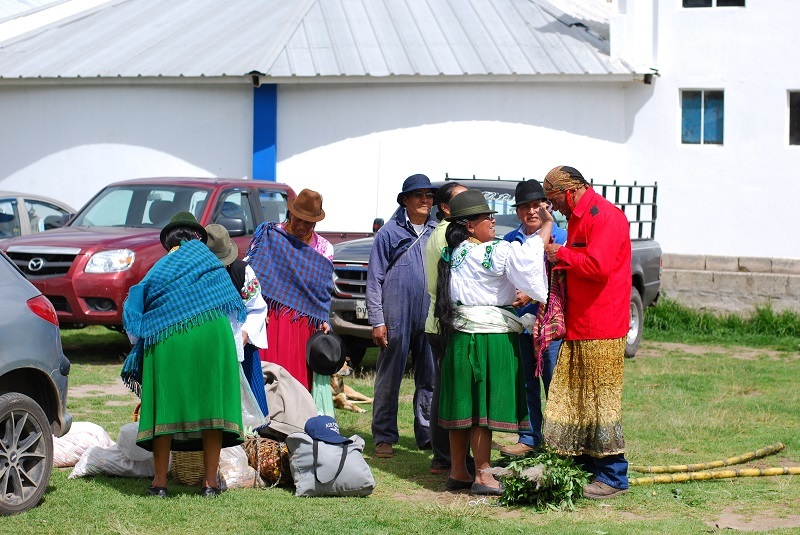 Many people came from all over from different parts of Ecuador as well as from the United States and Sweden to be a part of Saturday’s activities. 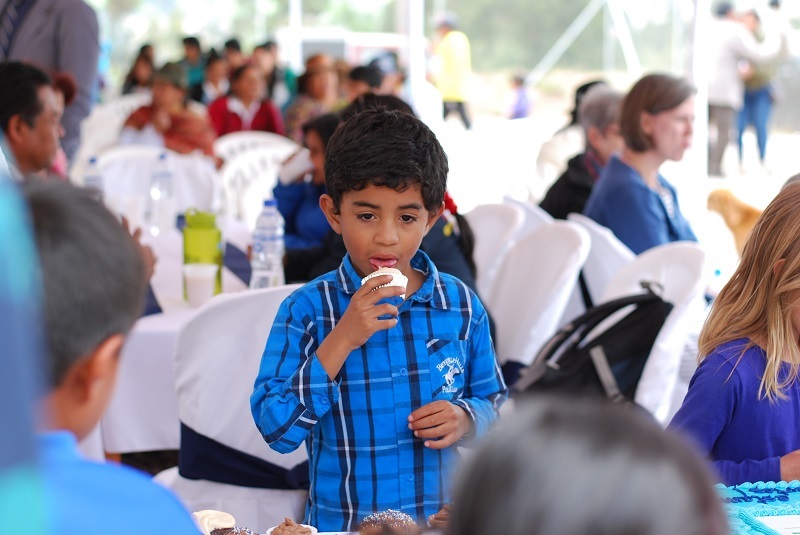 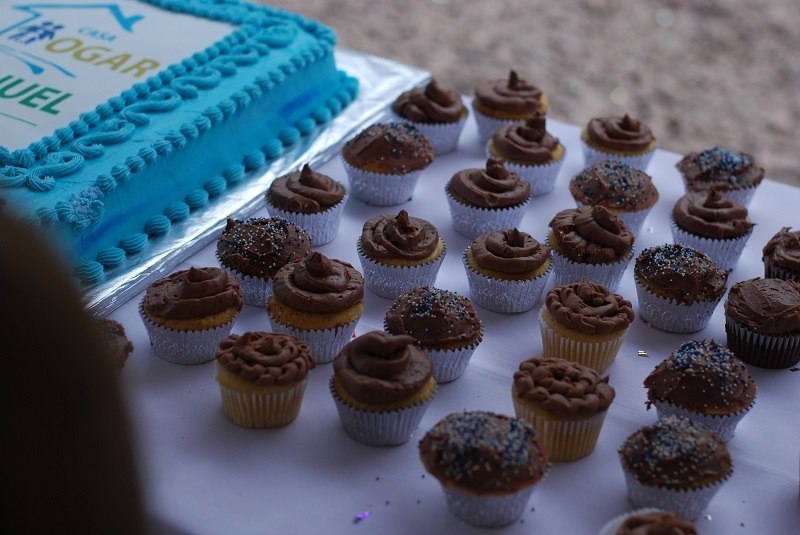 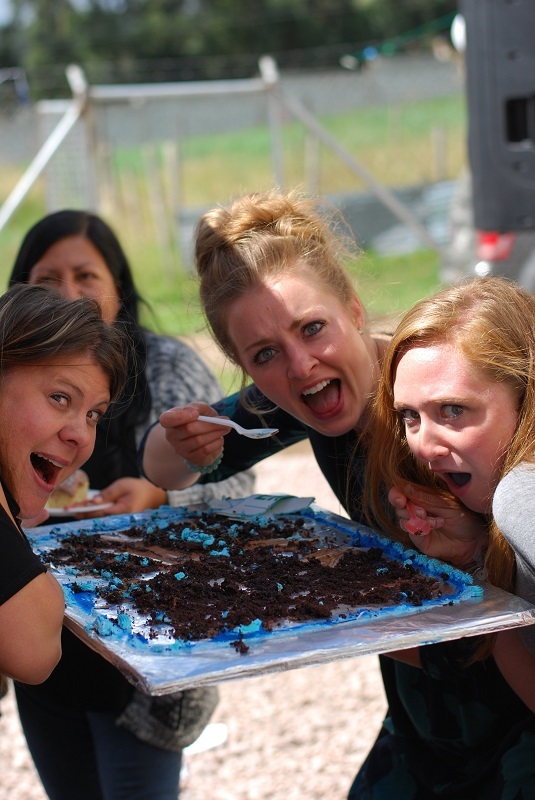 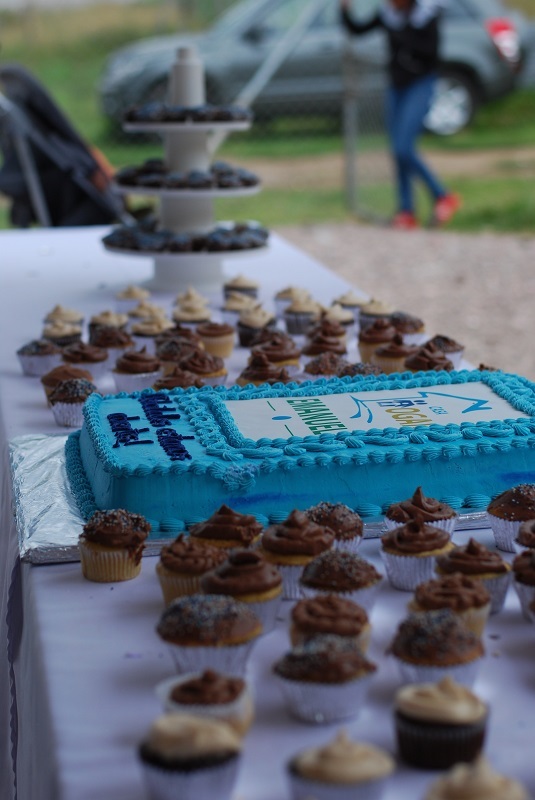 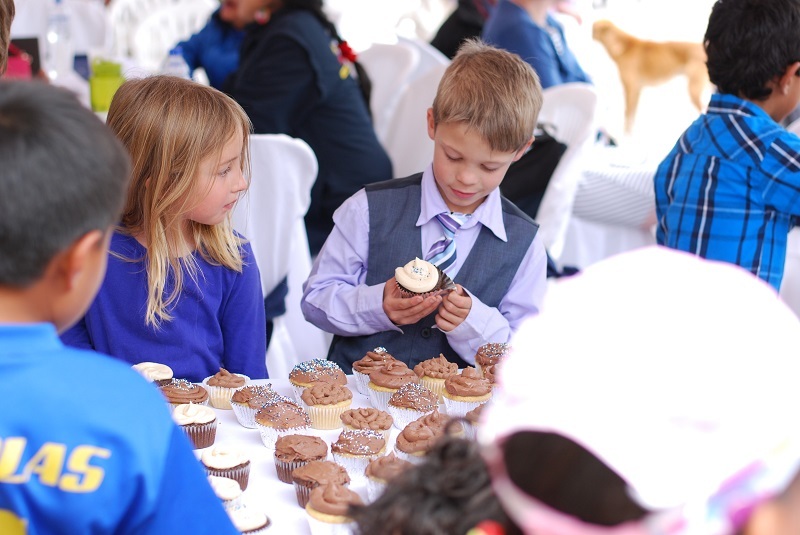 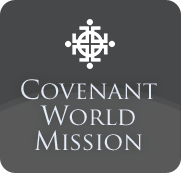 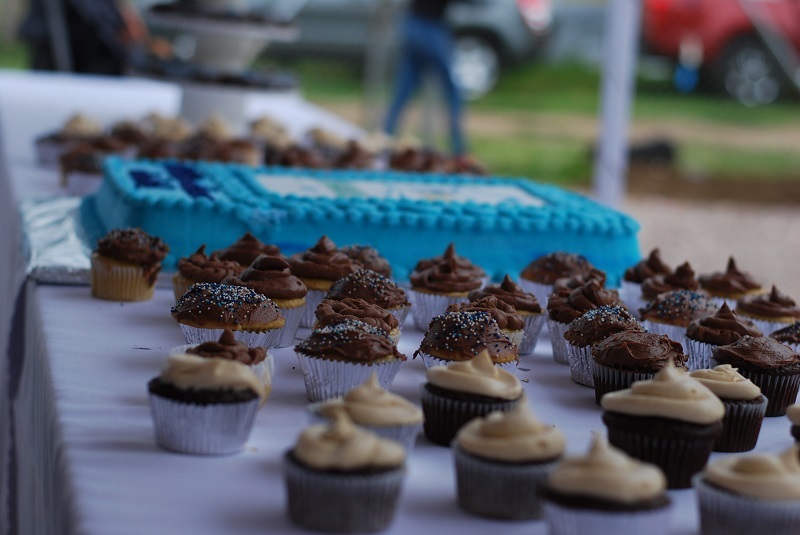 After our delicious meal of roasted pork and the fixings, our day was completed by a full setup of cake and cupcakes prepared by our missionary friends.